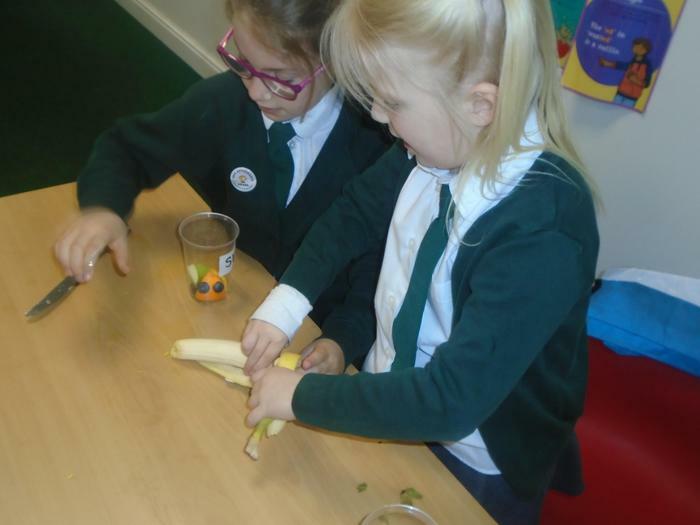 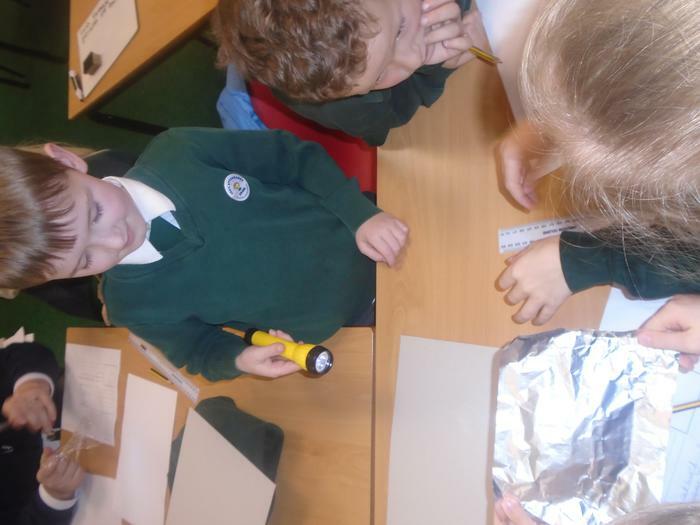 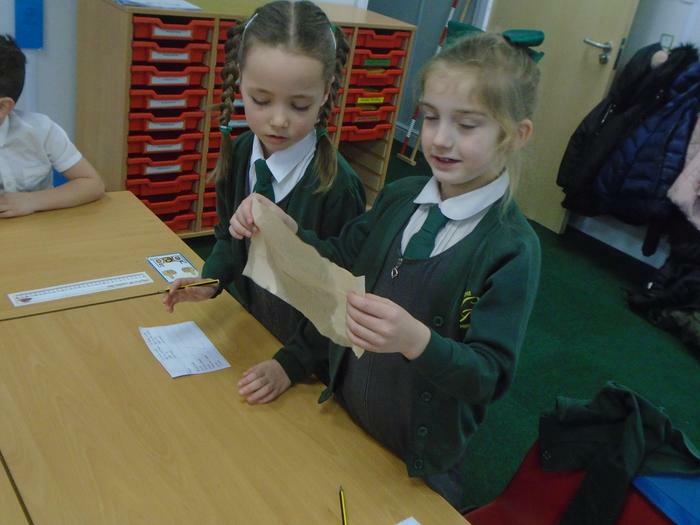 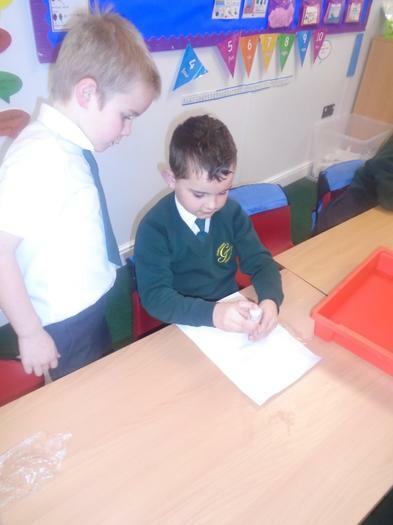 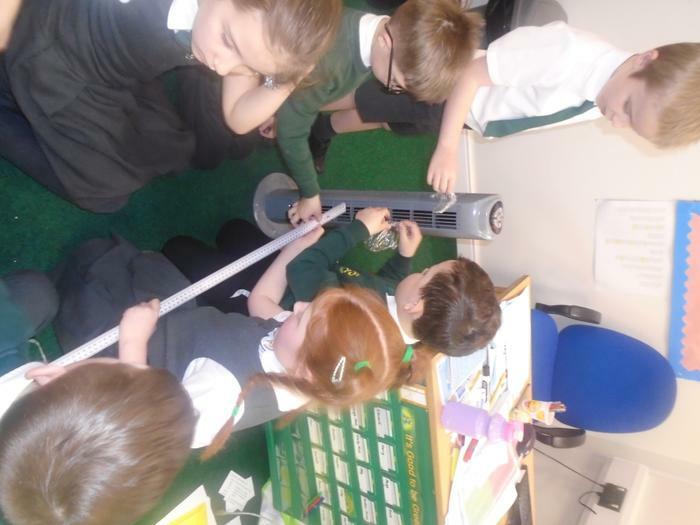 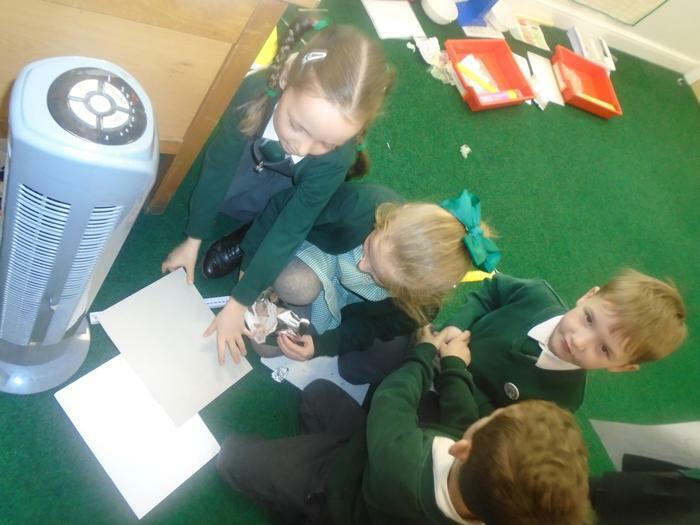 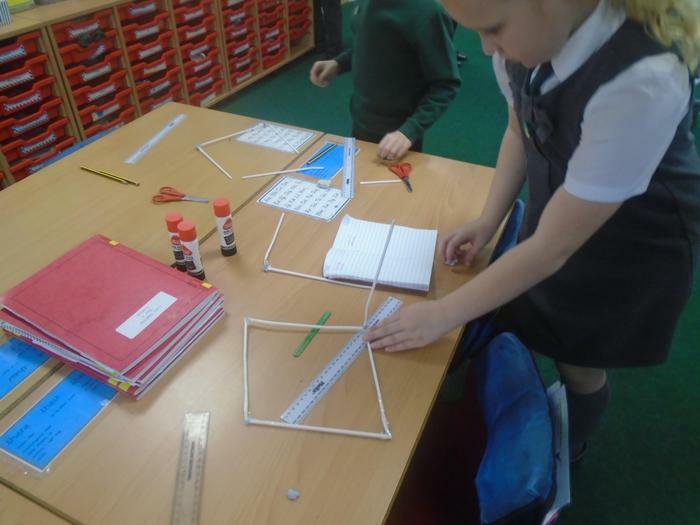 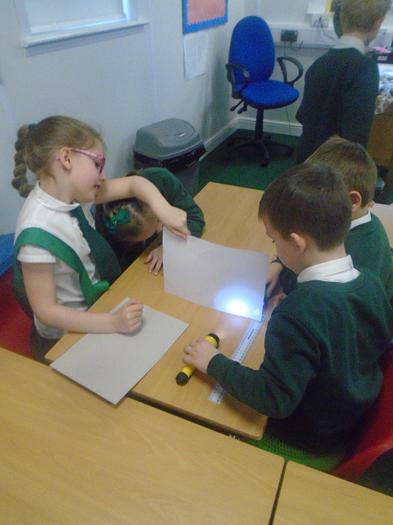 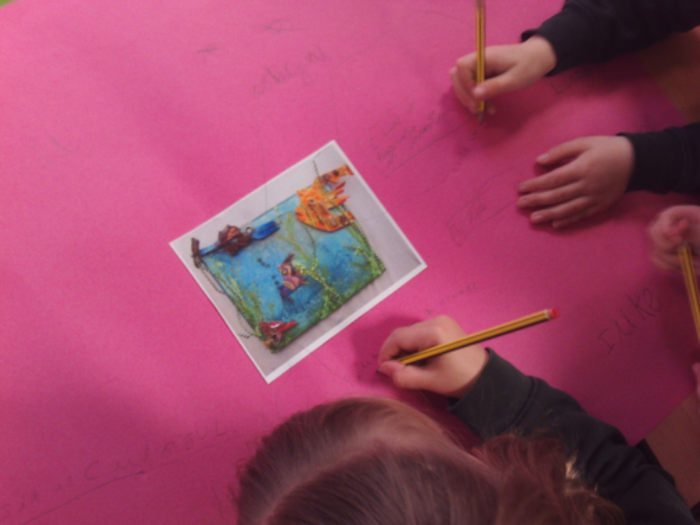 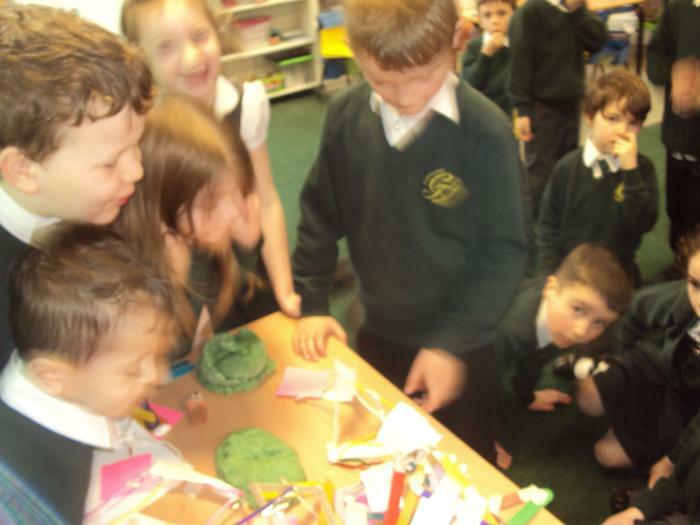 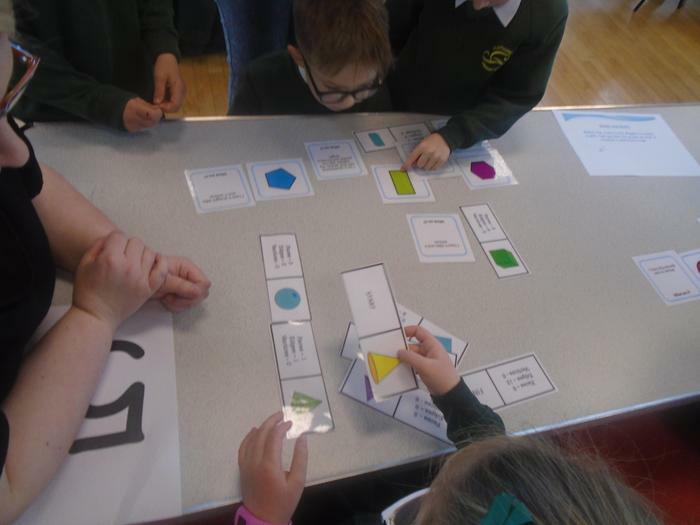 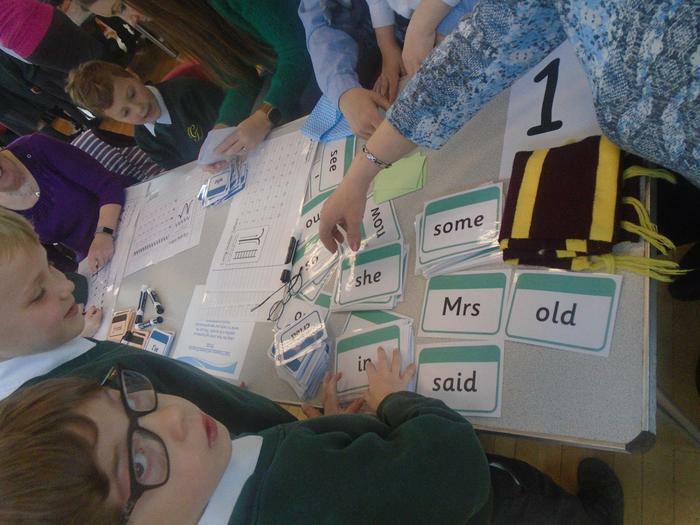 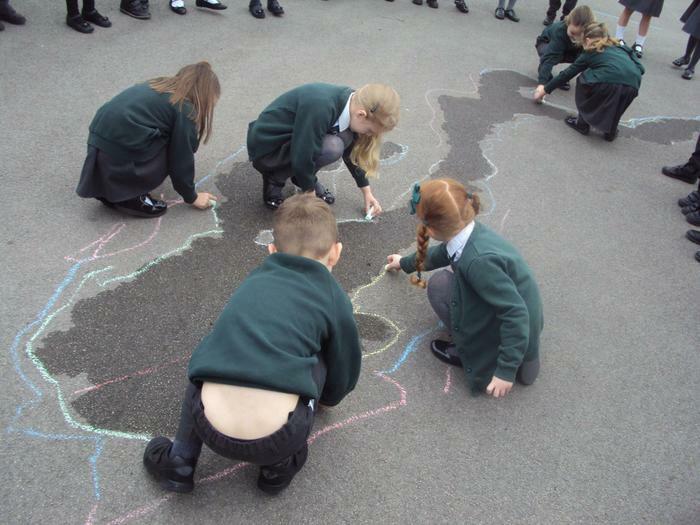 In Year 1 we have been investigating materials and change in state. 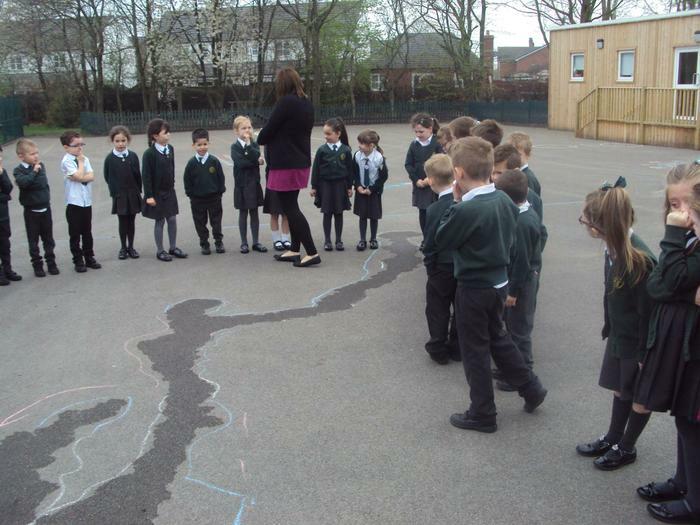 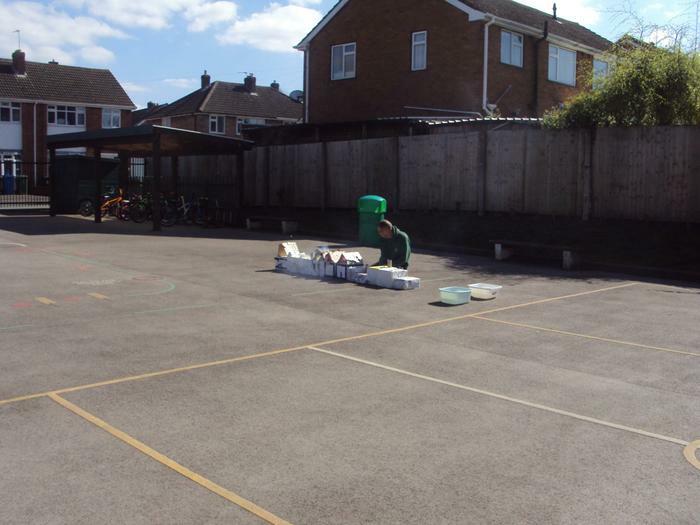 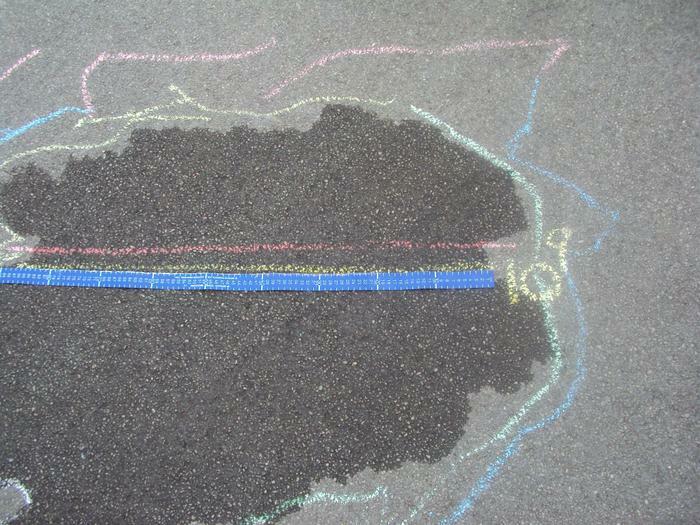 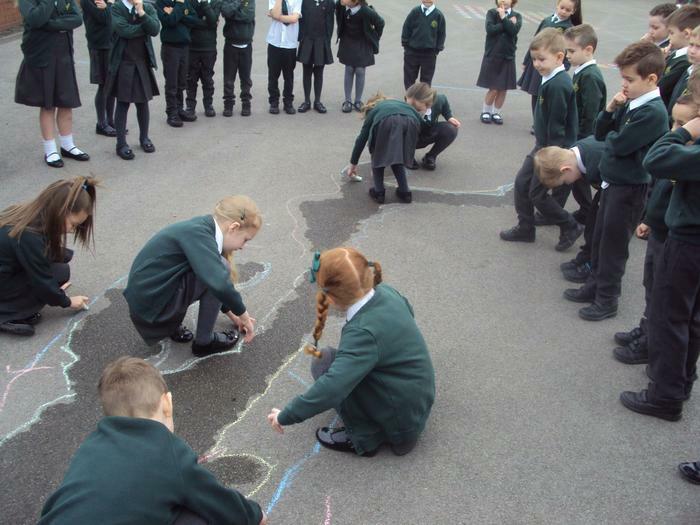 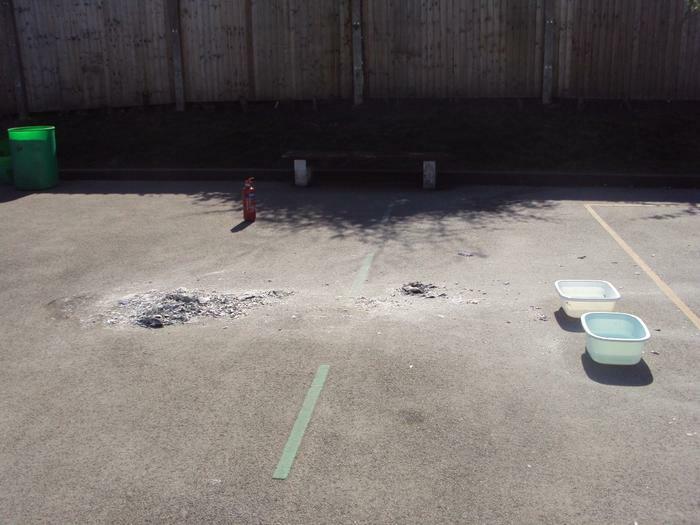 On Monday we investigated how a puddle on the playground evaporated. 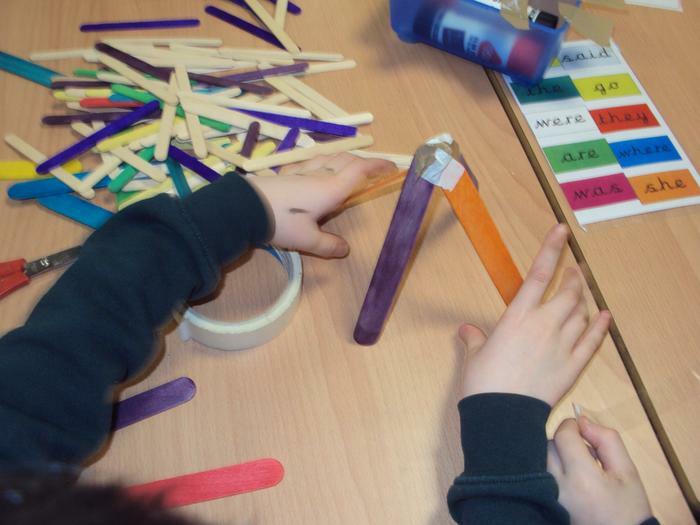 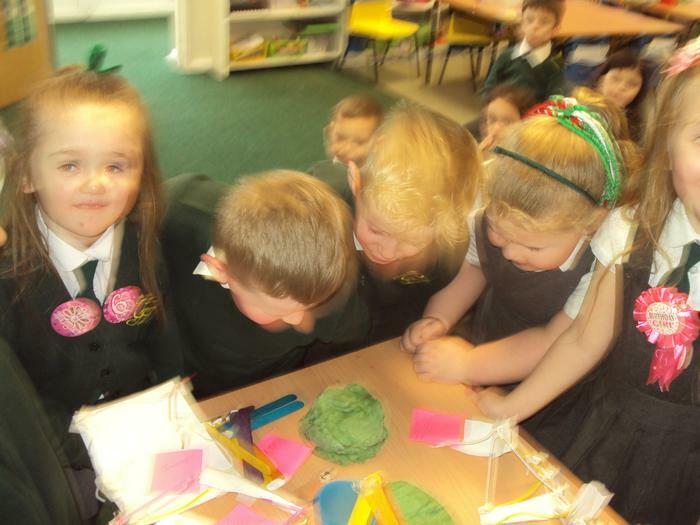 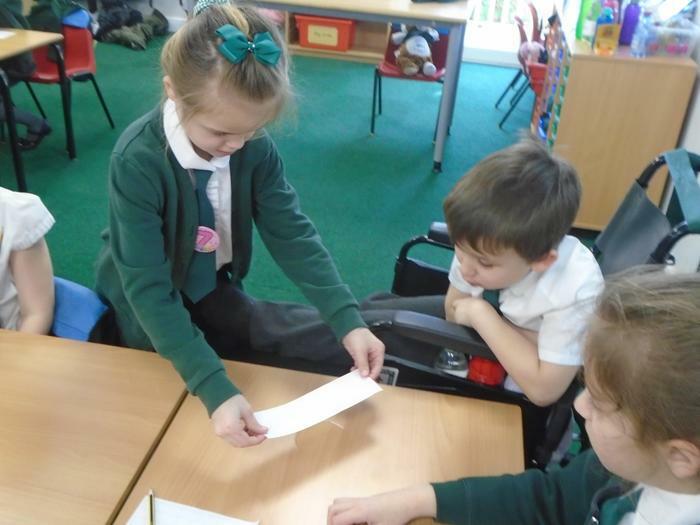 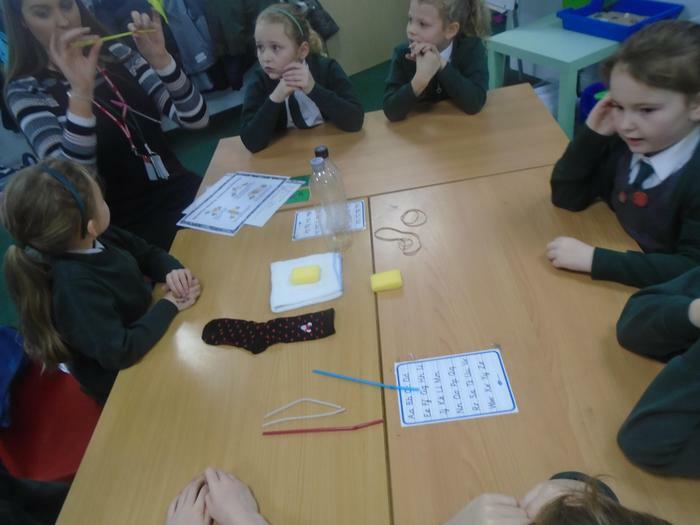 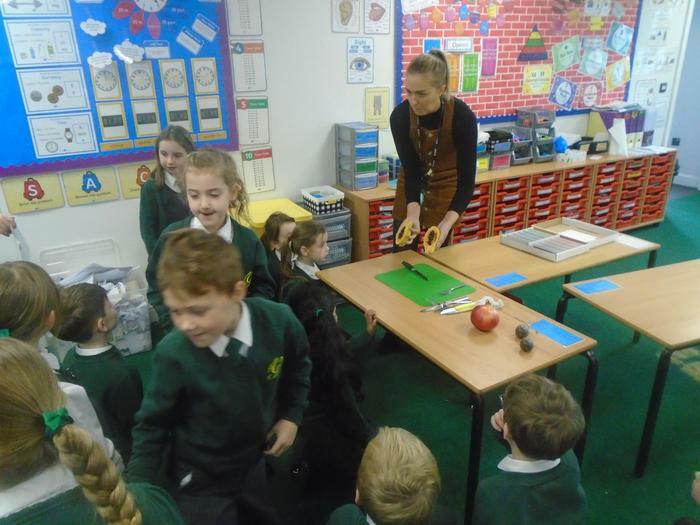 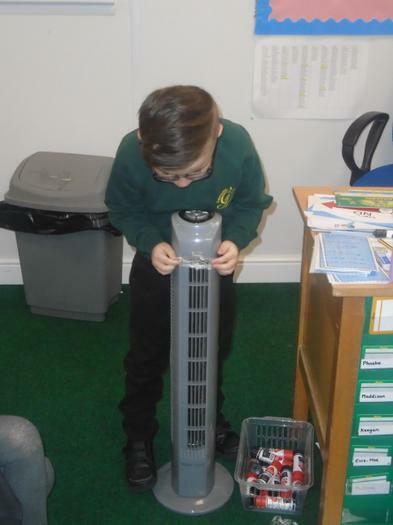 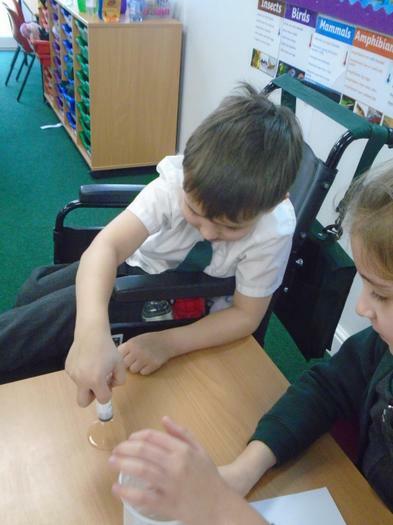 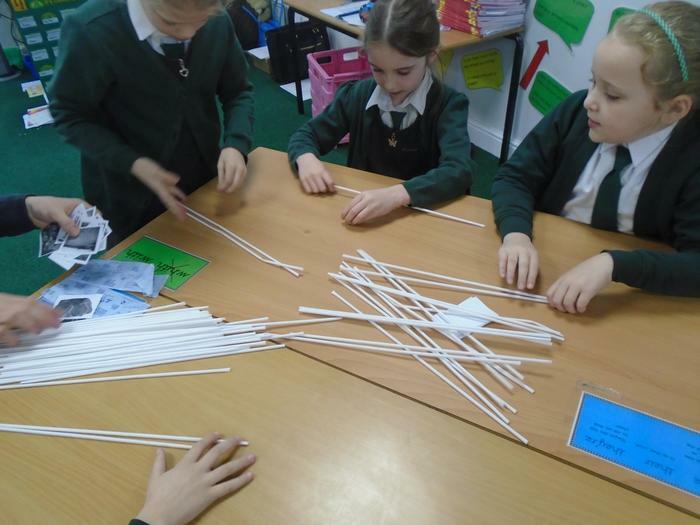 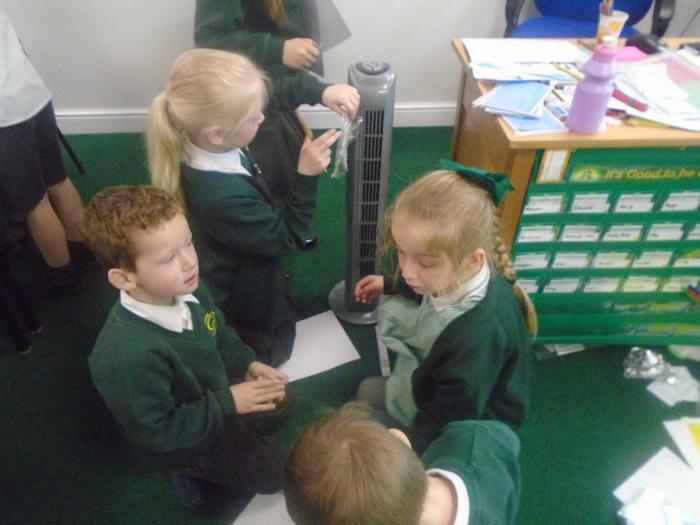 On Tuesday we explored a variety of materials to see which one would be suitable for an umbrella. 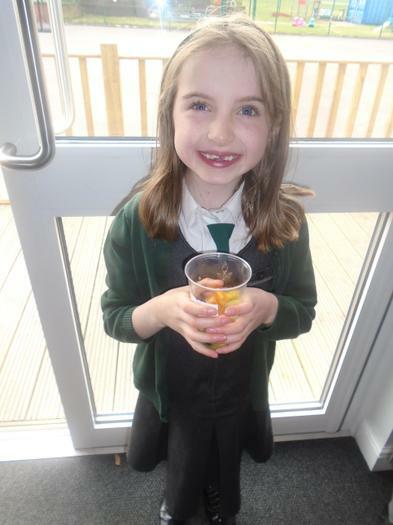 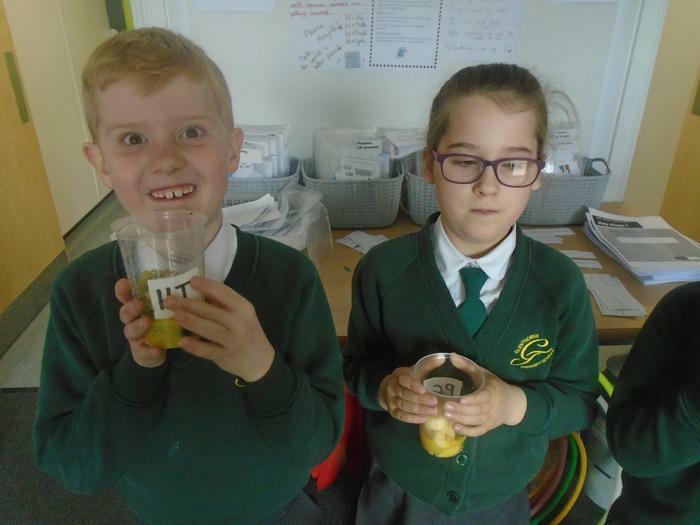 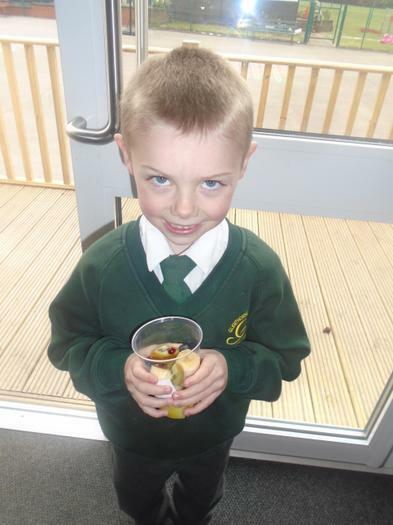 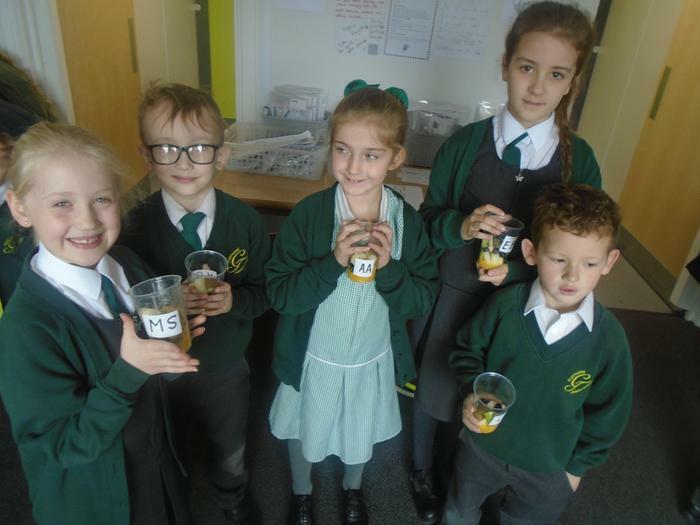 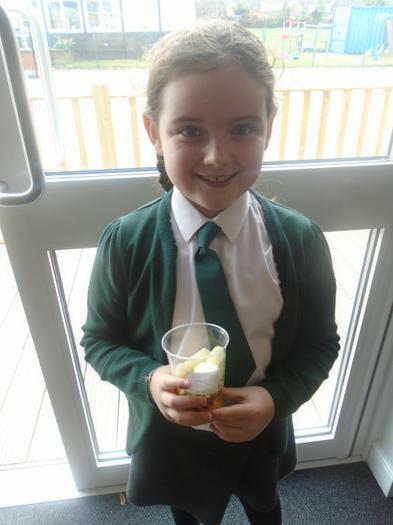 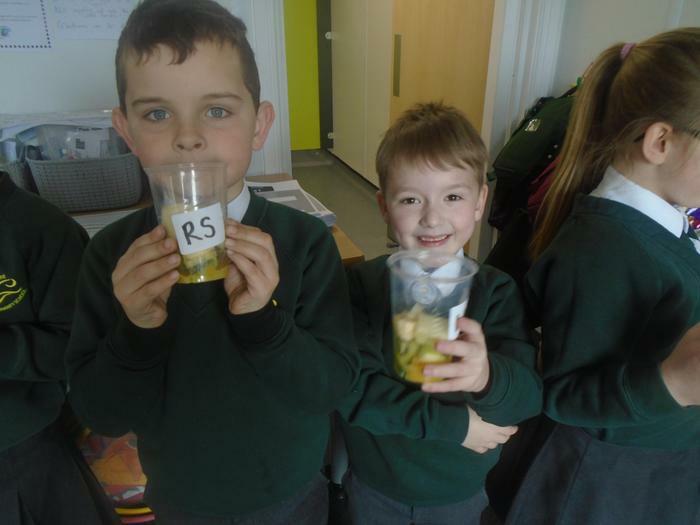 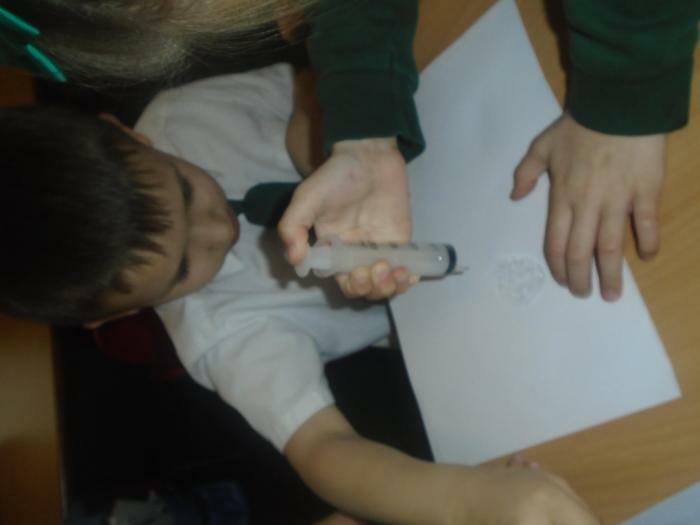 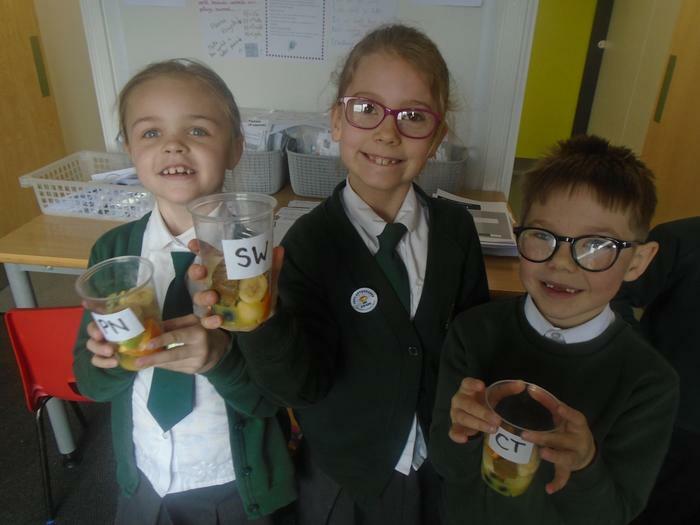 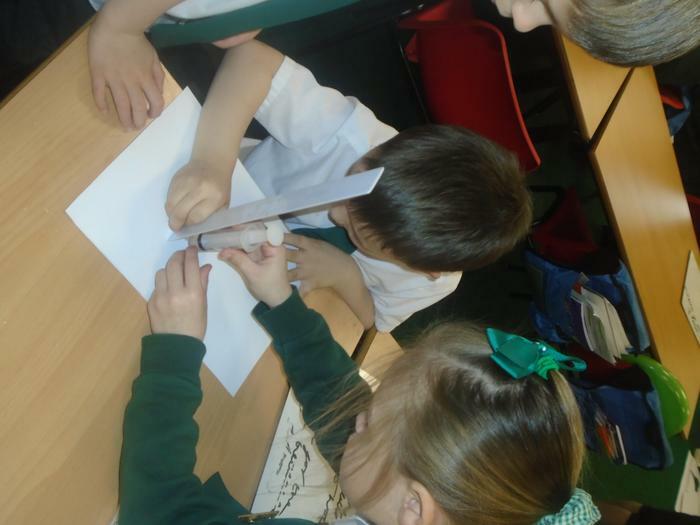 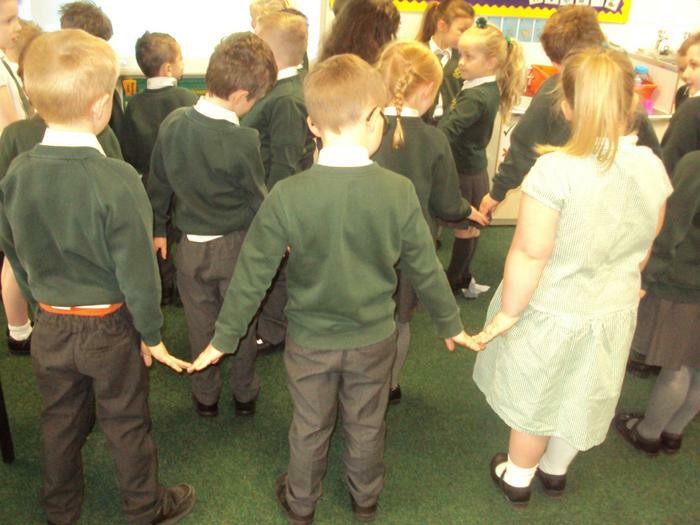 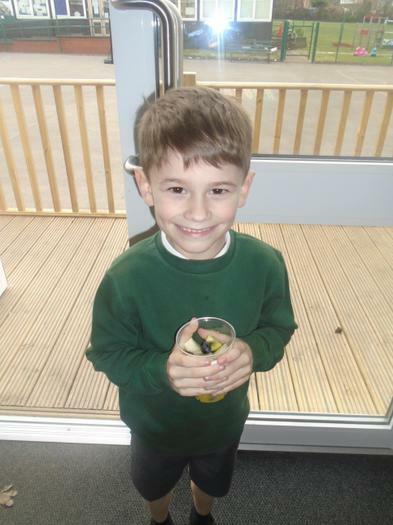 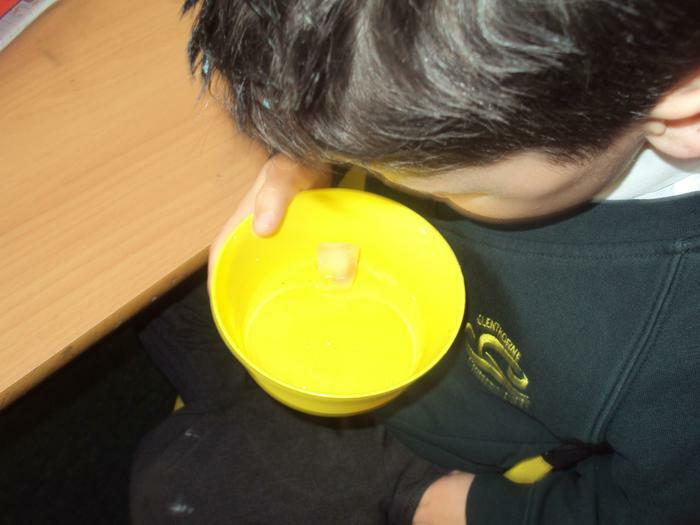 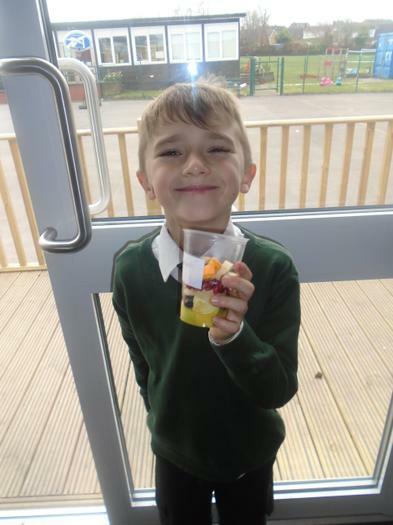 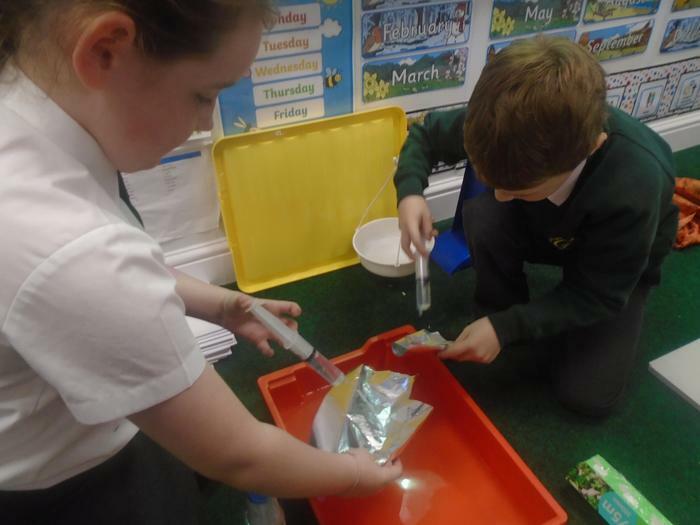 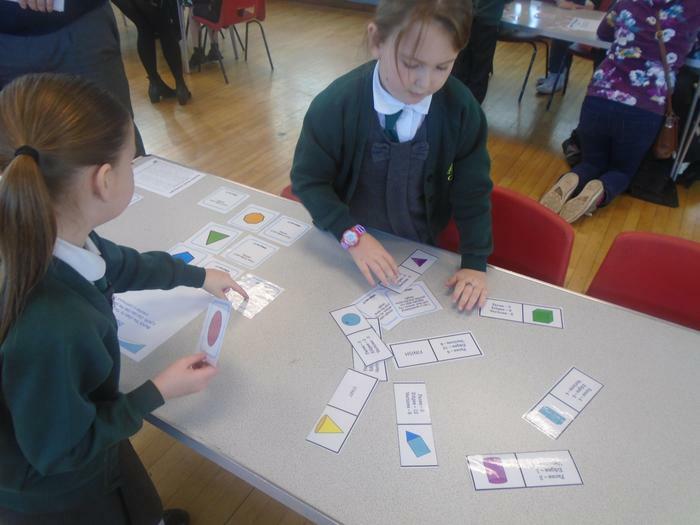 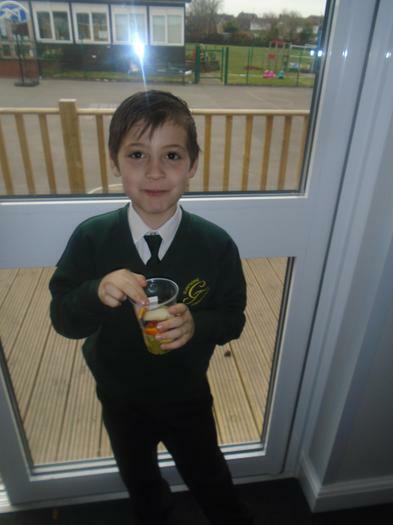 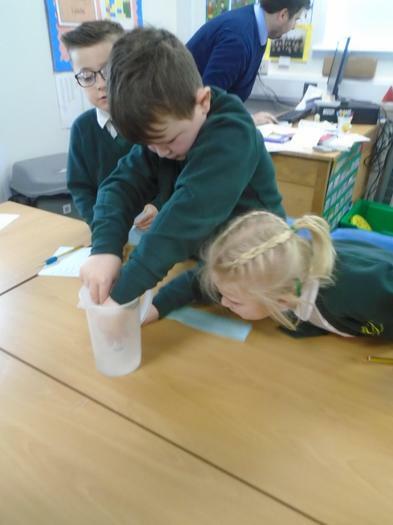 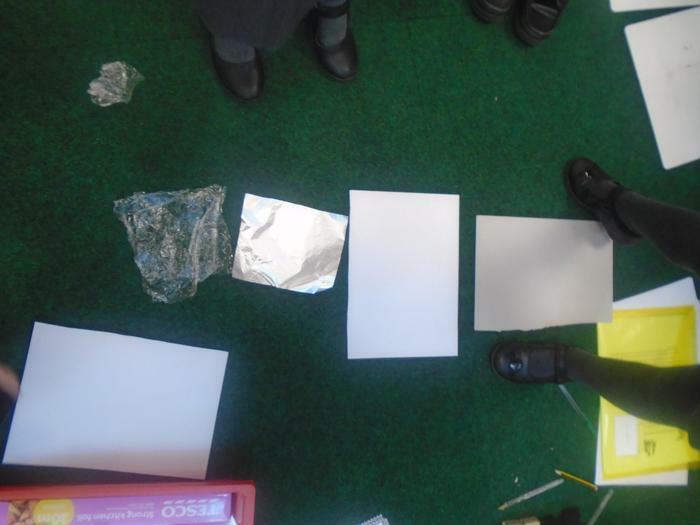 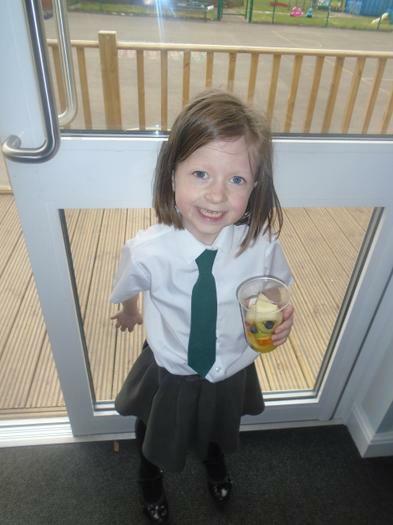 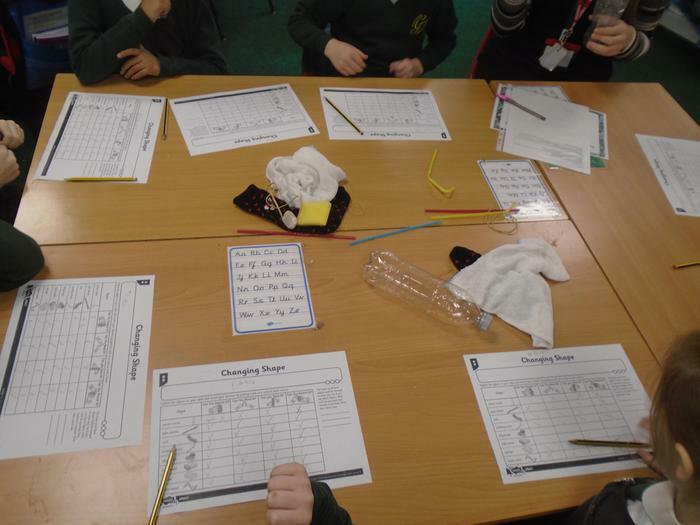 On Wednesday we became solids, liquids and gases investigating how ice melts. 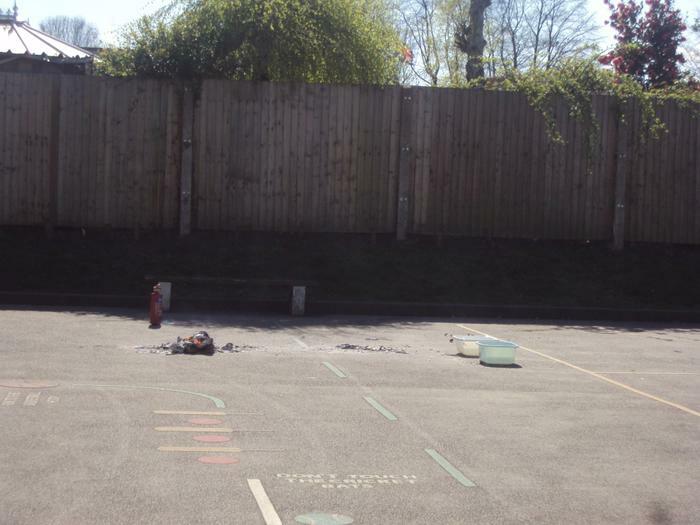 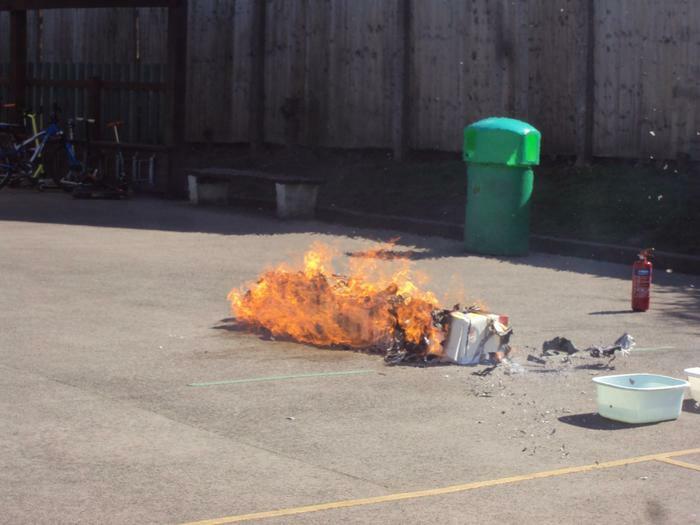 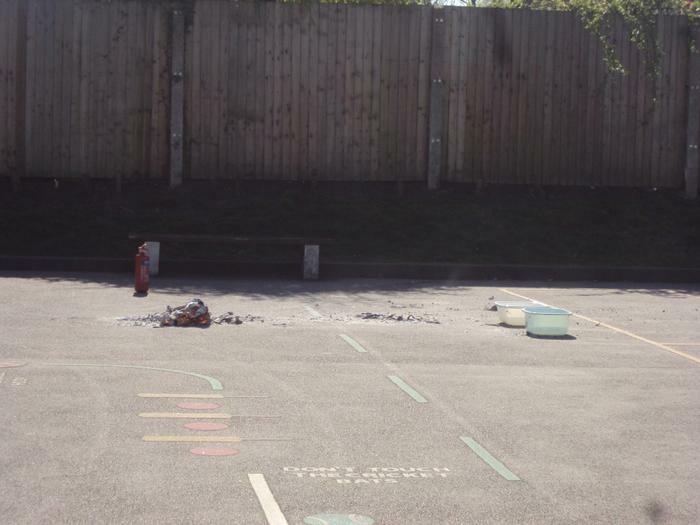 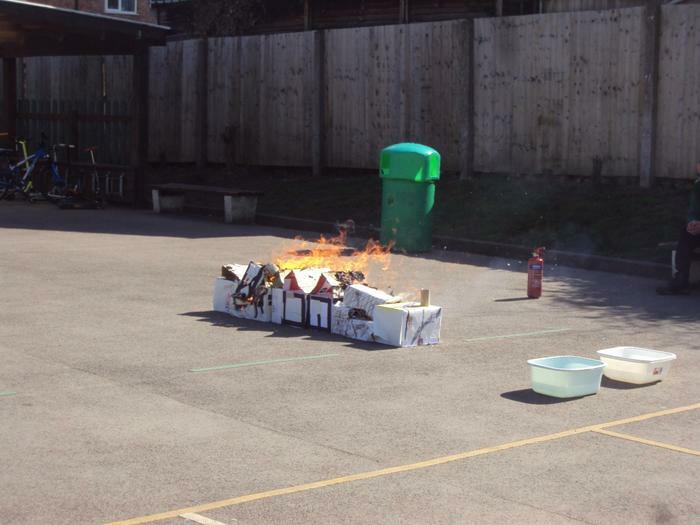 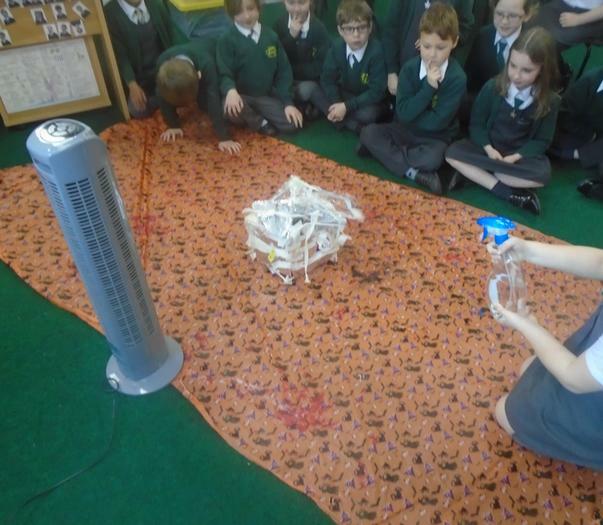 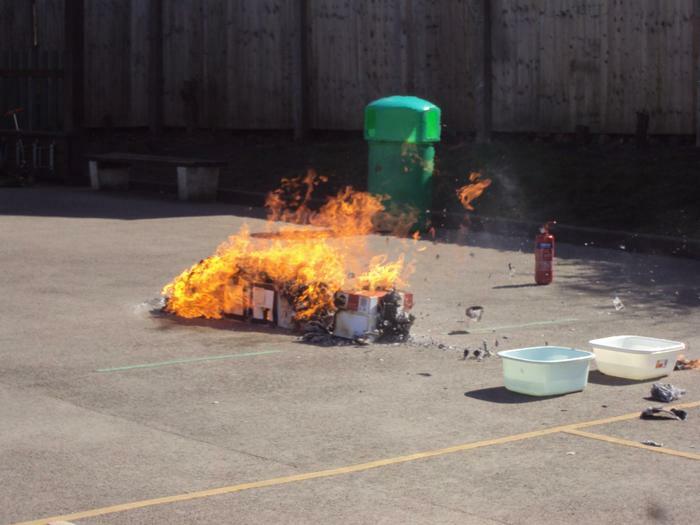 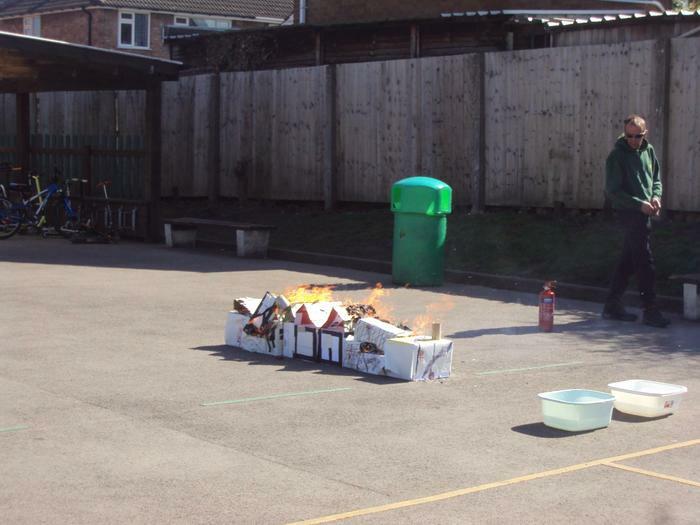 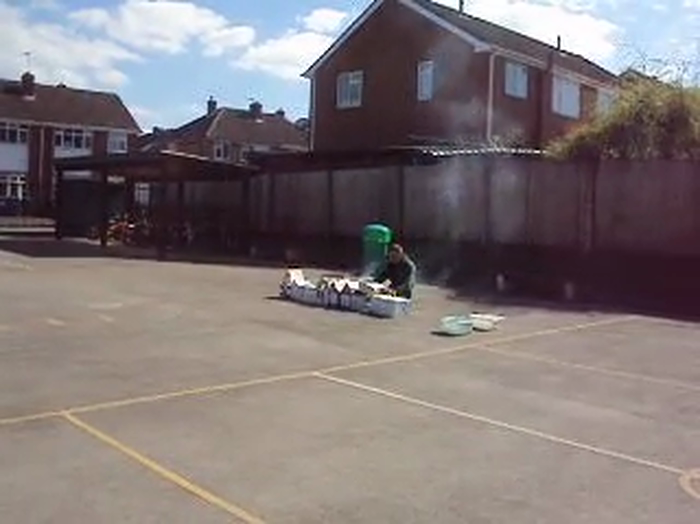 Year 1 recreated the Great Fire of London by burning their Tudor houses. 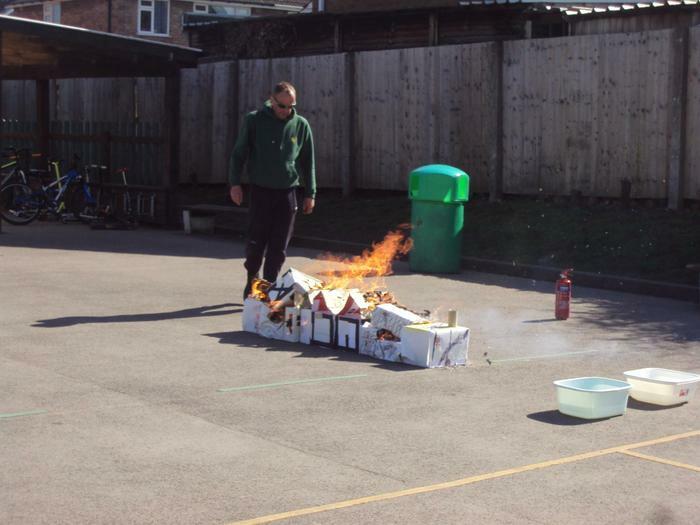 Mr Martin helped to burn the houses safely and extinguish the fire. 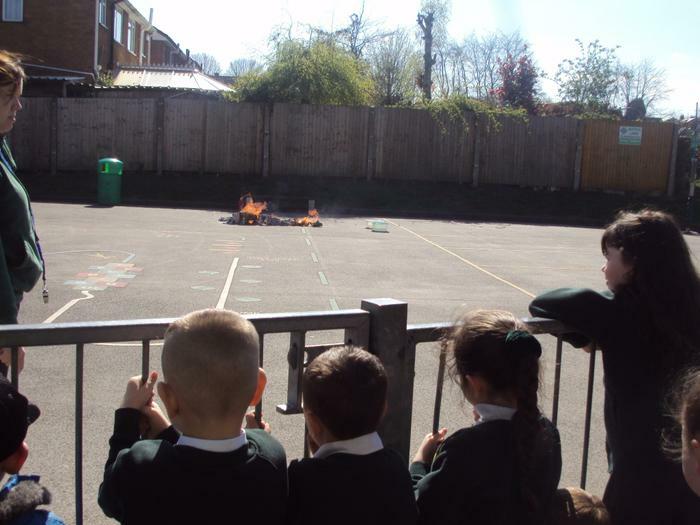 The children enjoyed watching their houses burn. 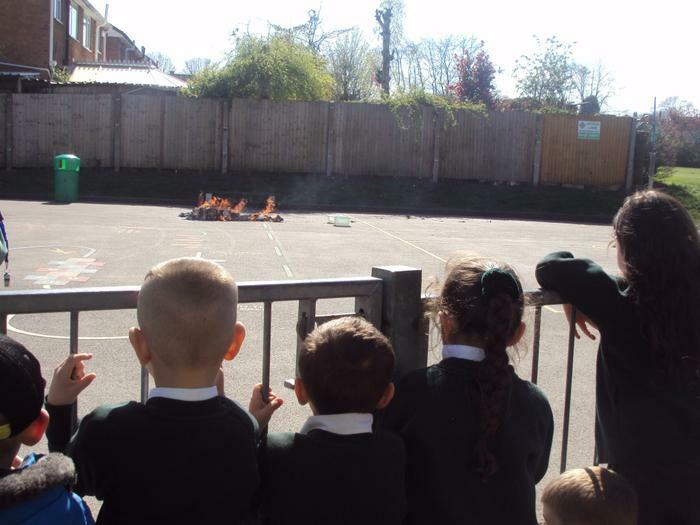 They compared our fire with the real one and discussed how our fire was much safer. 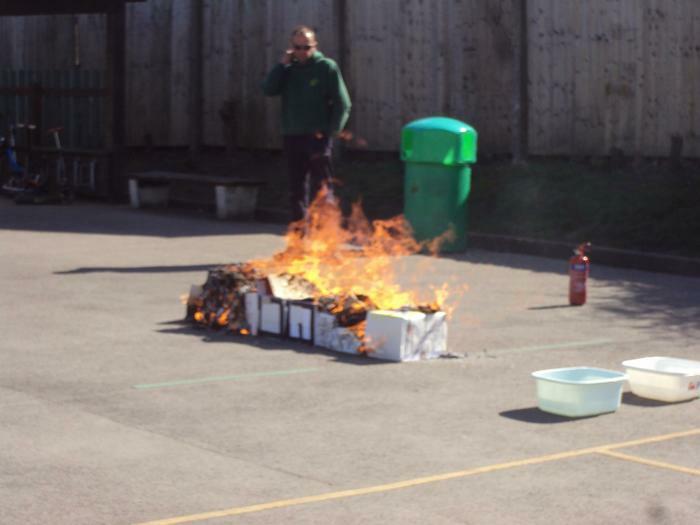 The Great Fire of Glenthorne! 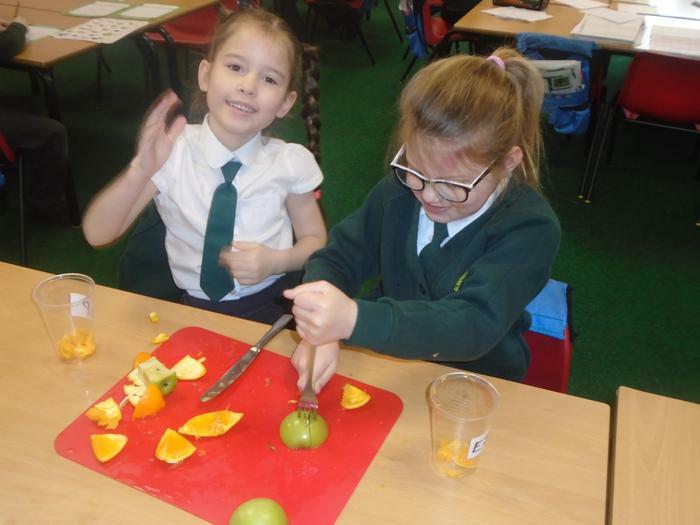 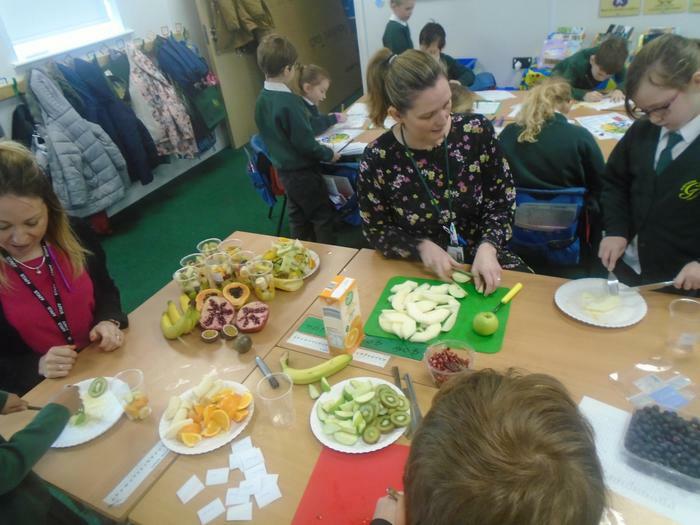 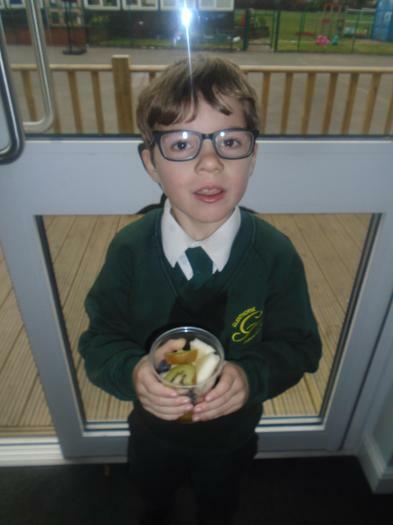 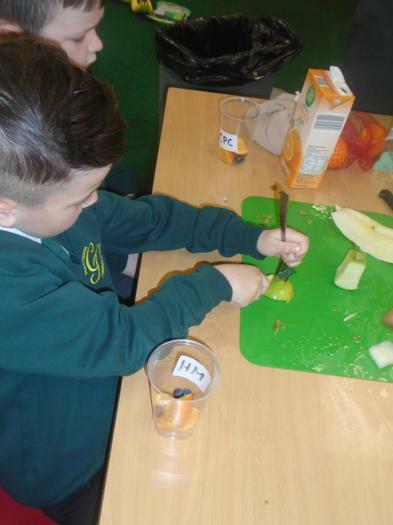 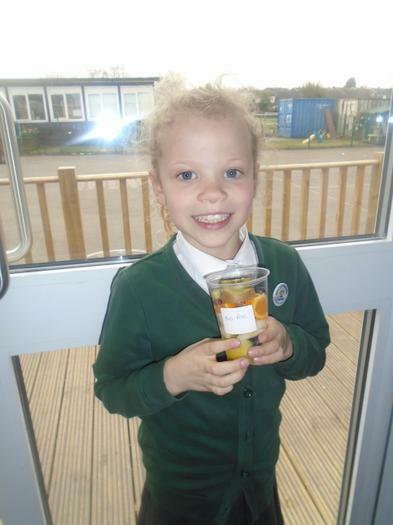 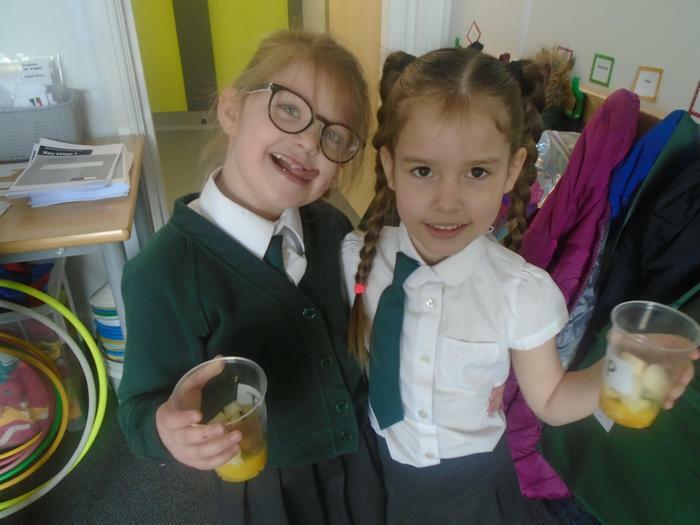 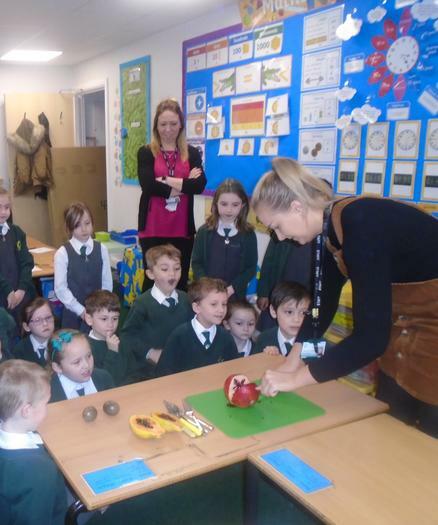 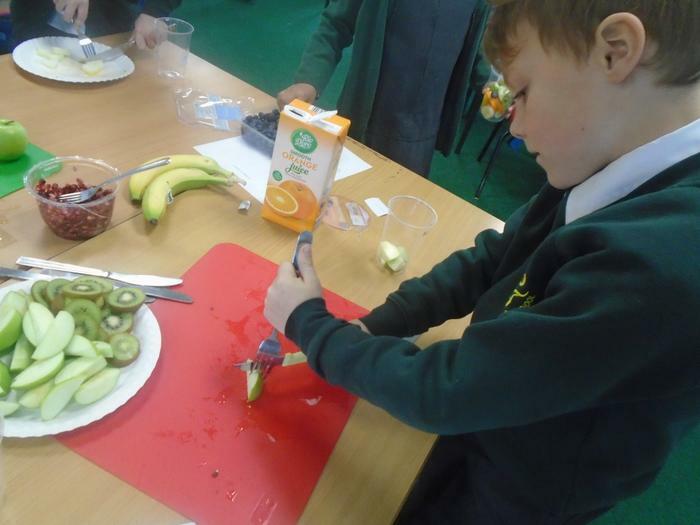 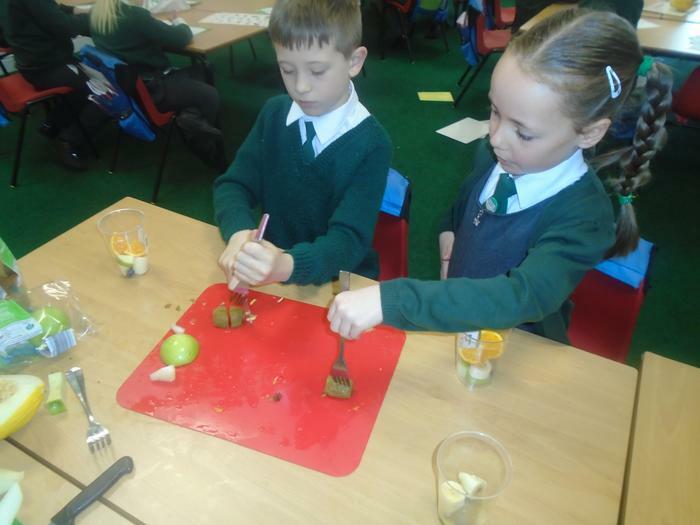 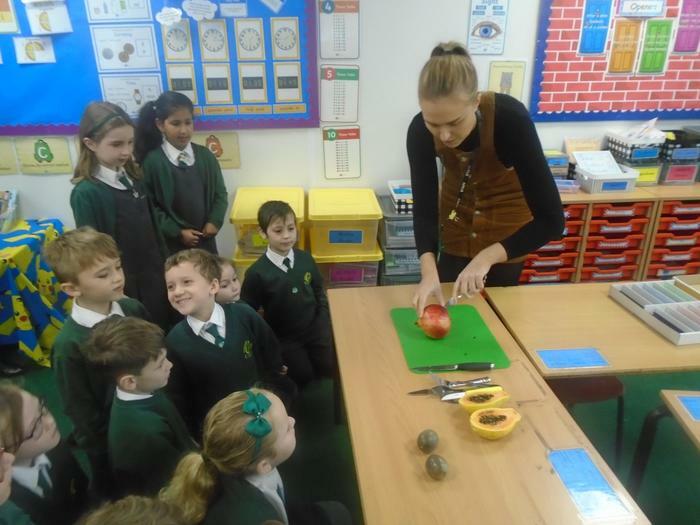 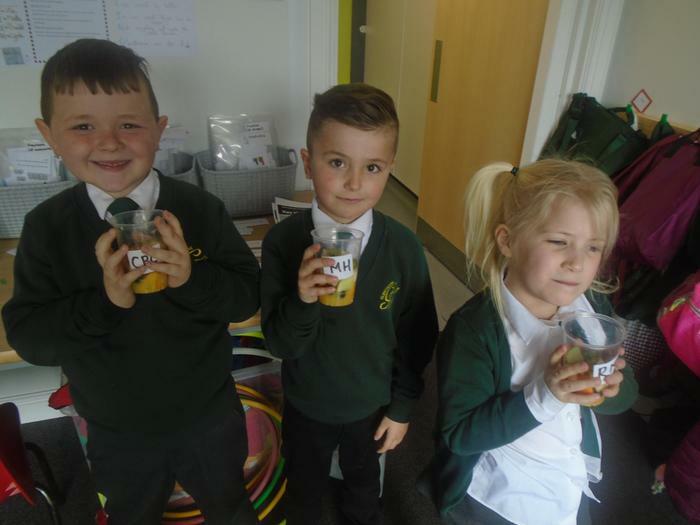 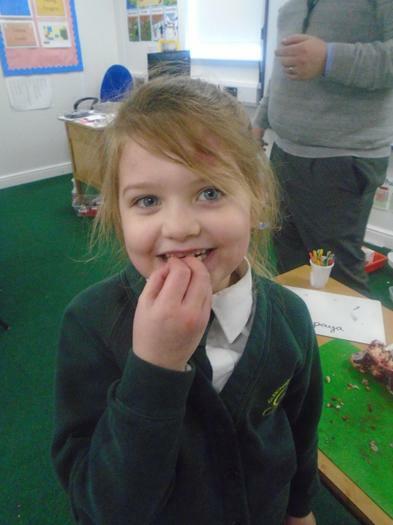 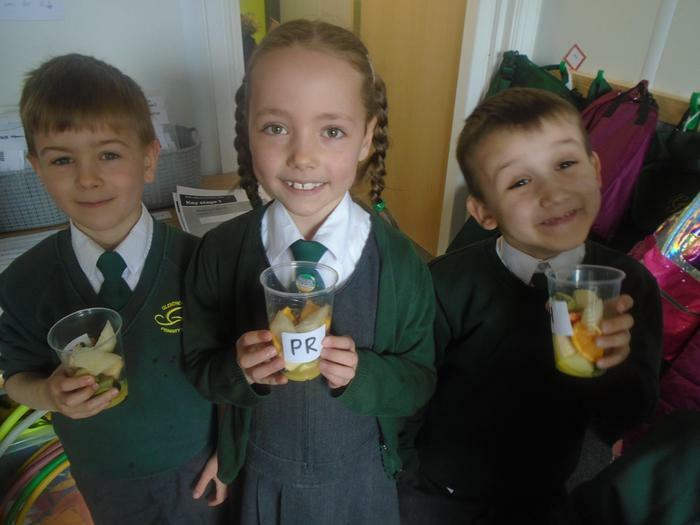 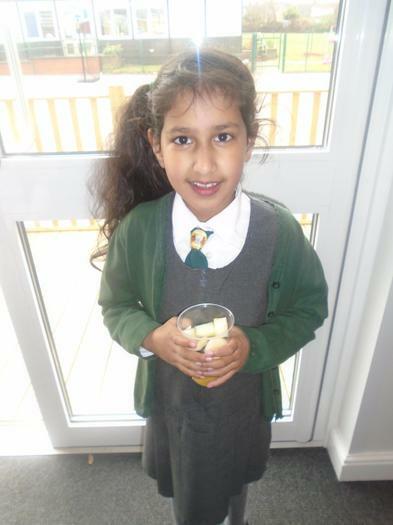 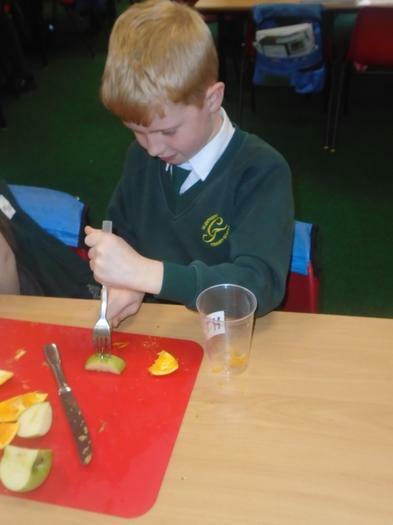 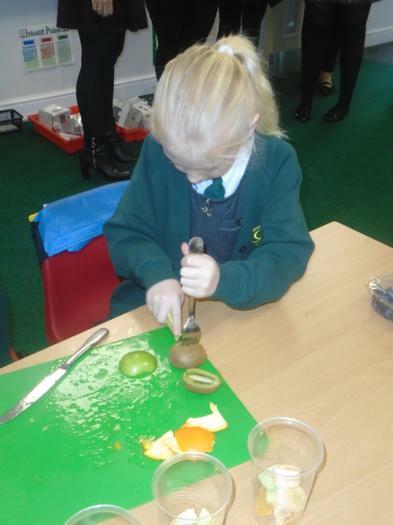 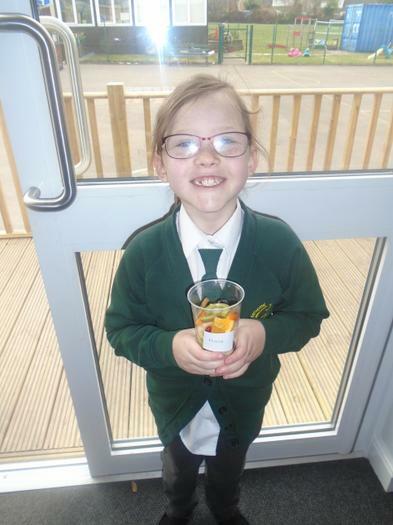 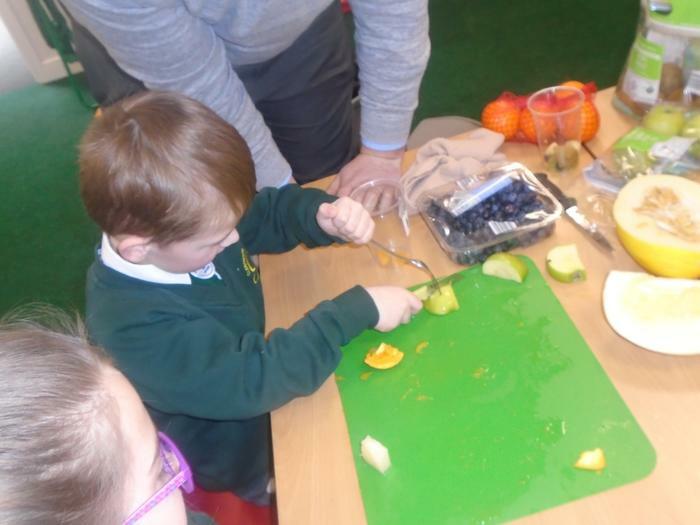 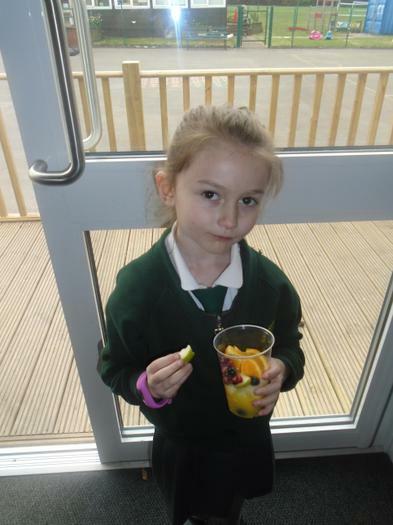 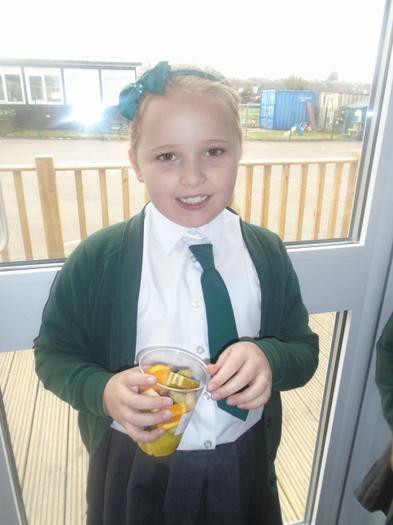 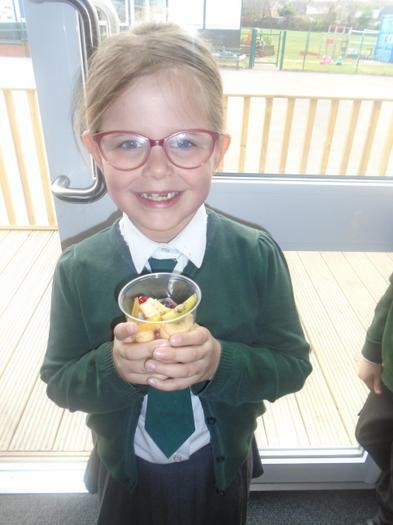 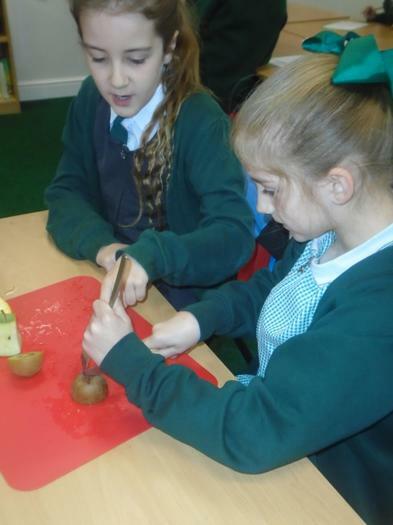 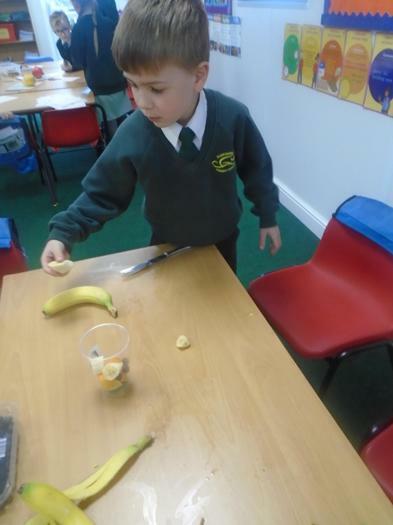 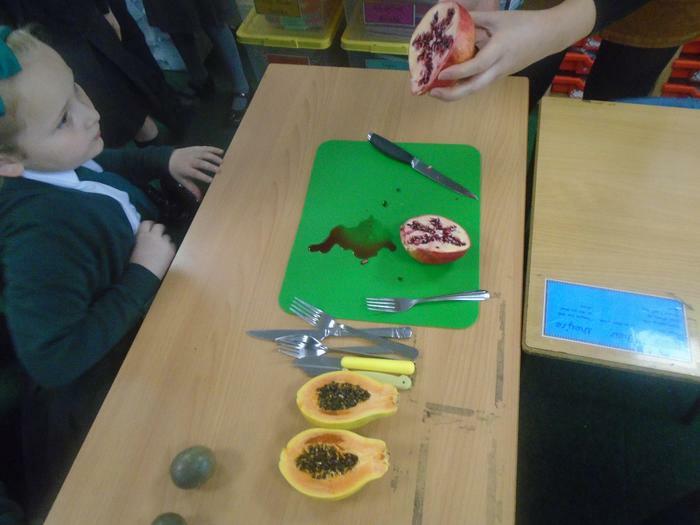 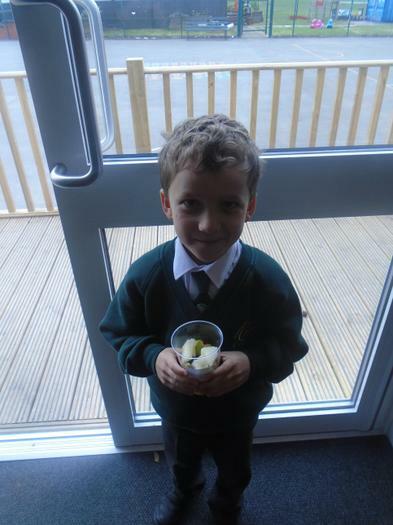 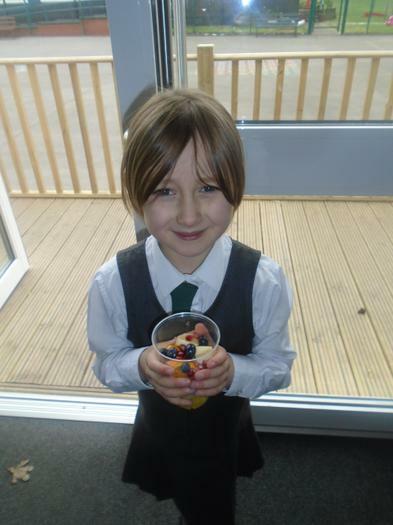 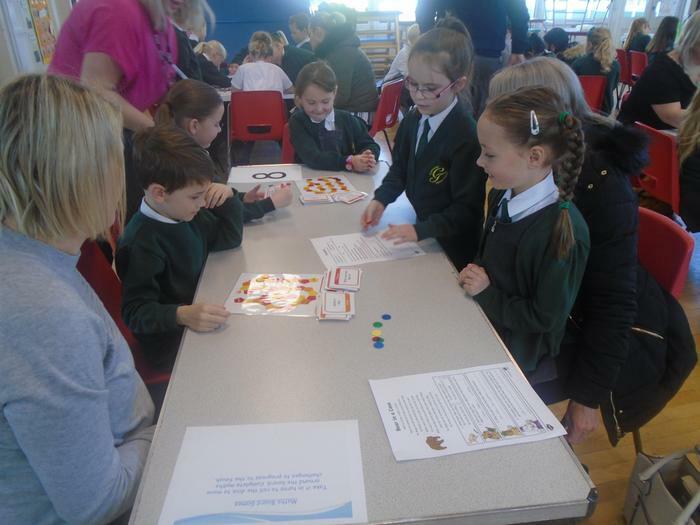 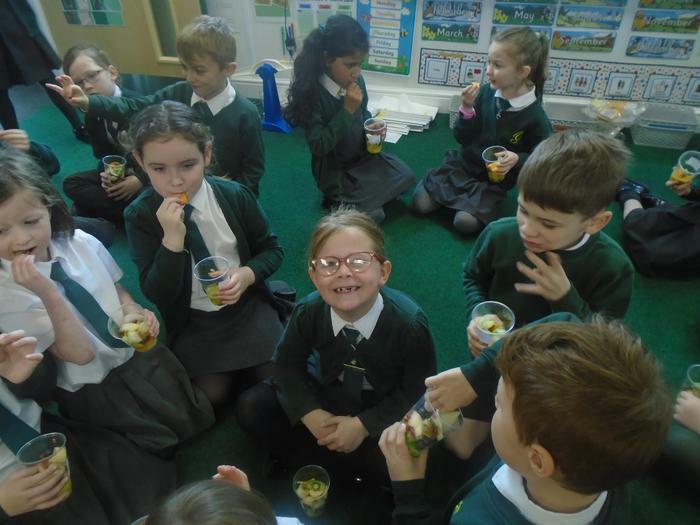 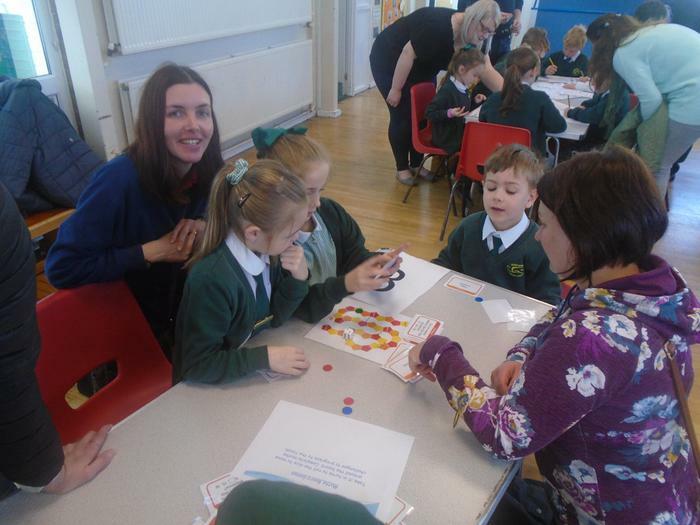 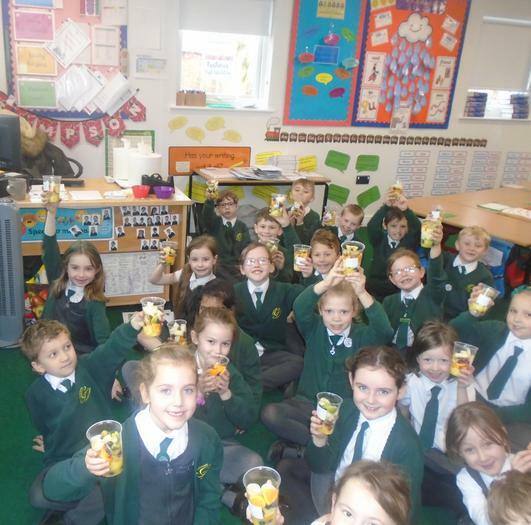 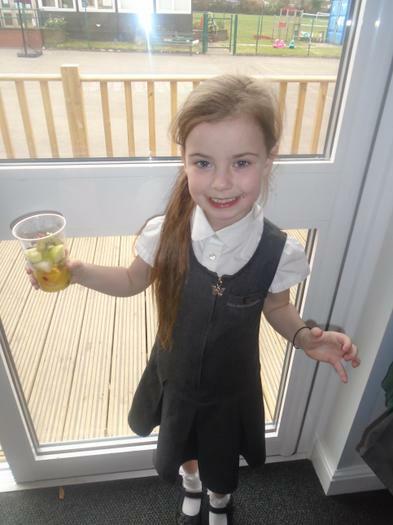 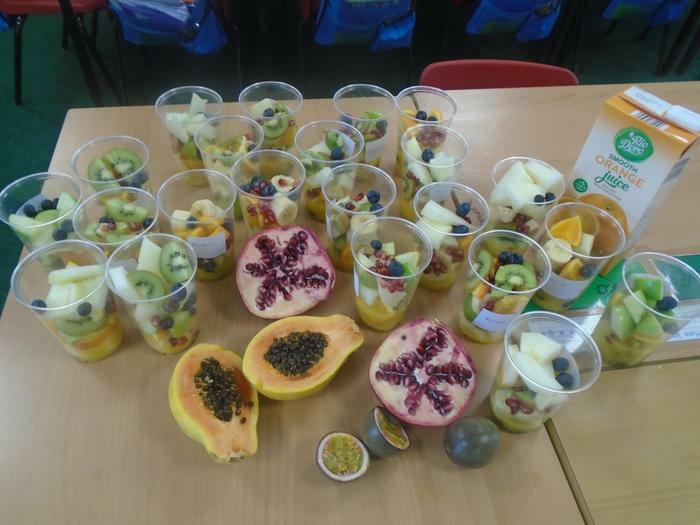 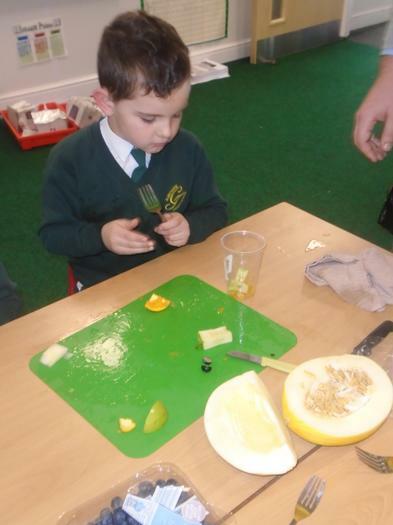 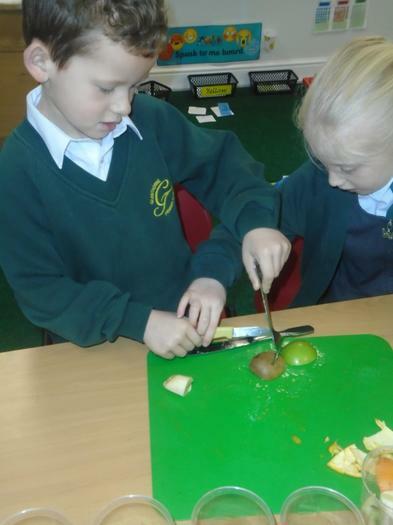 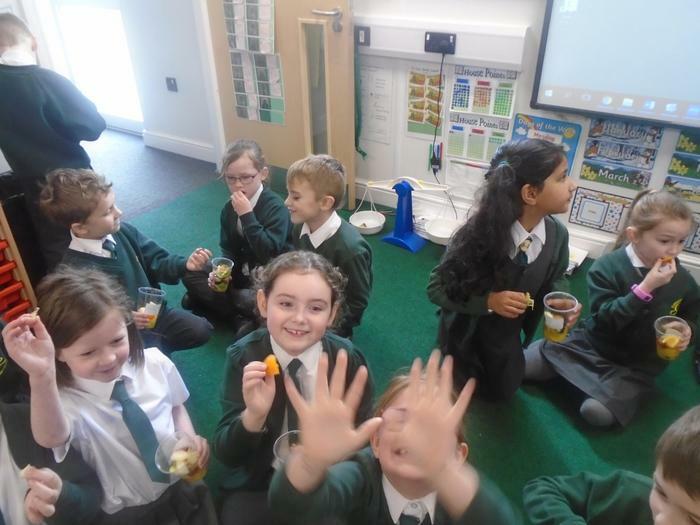 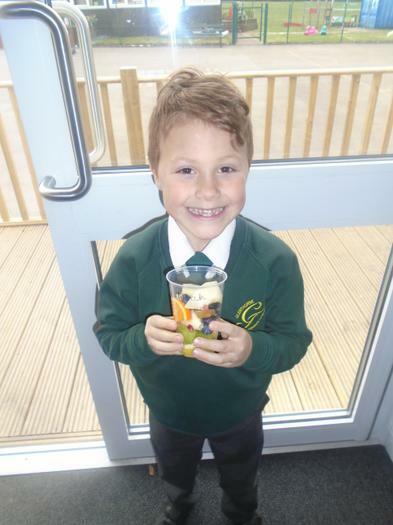 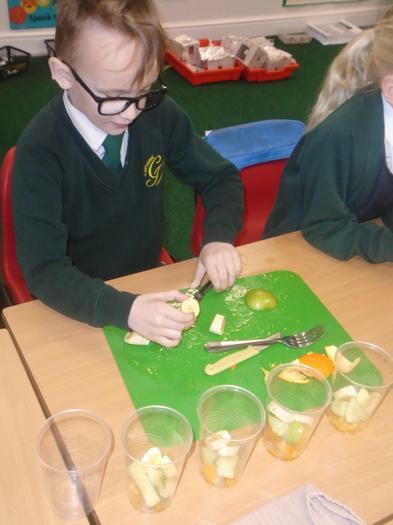 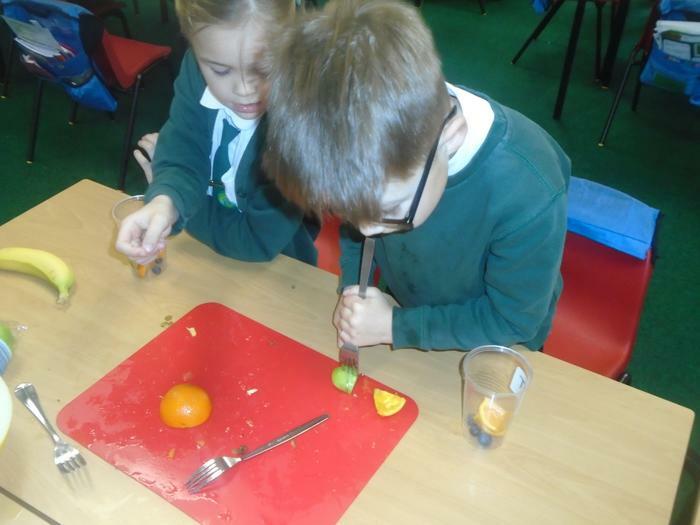 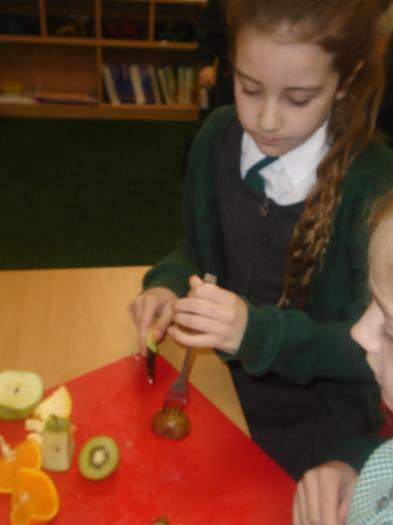 We had lots of fun creating our delicious fruit salads. 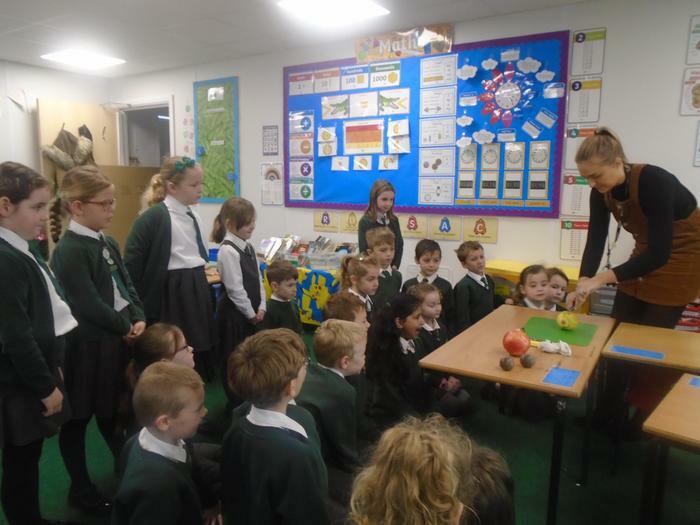 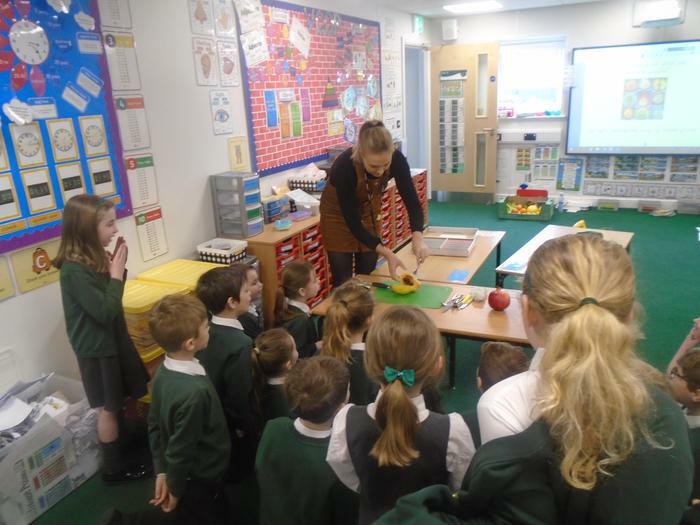 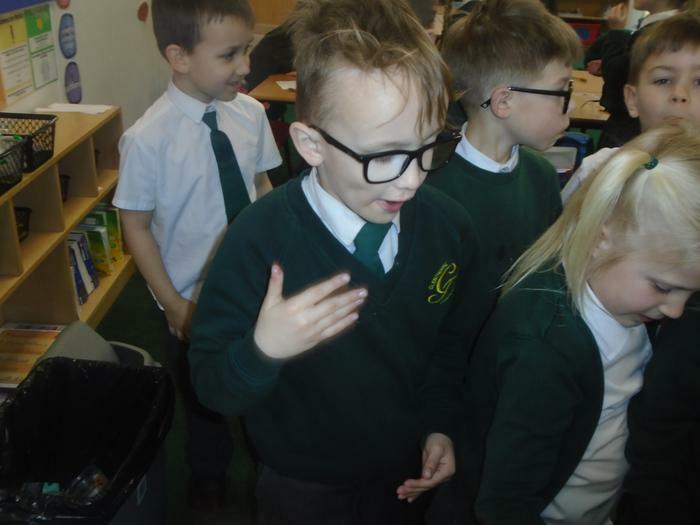 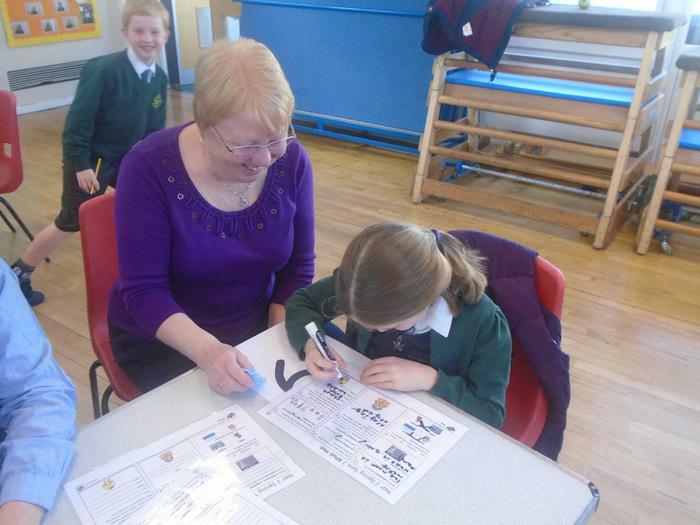 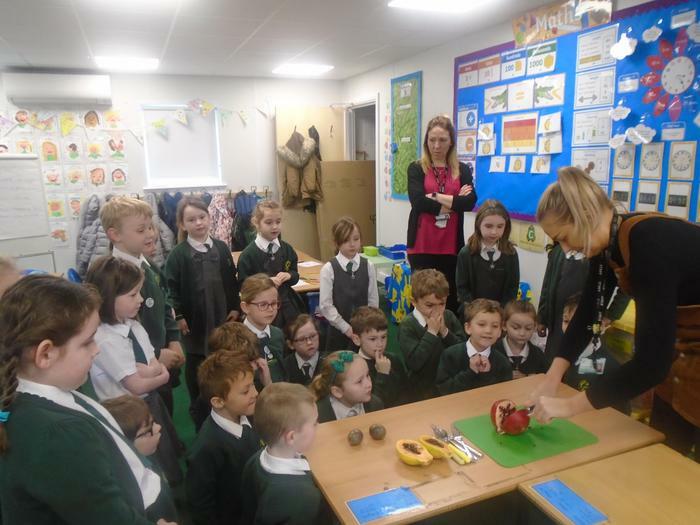 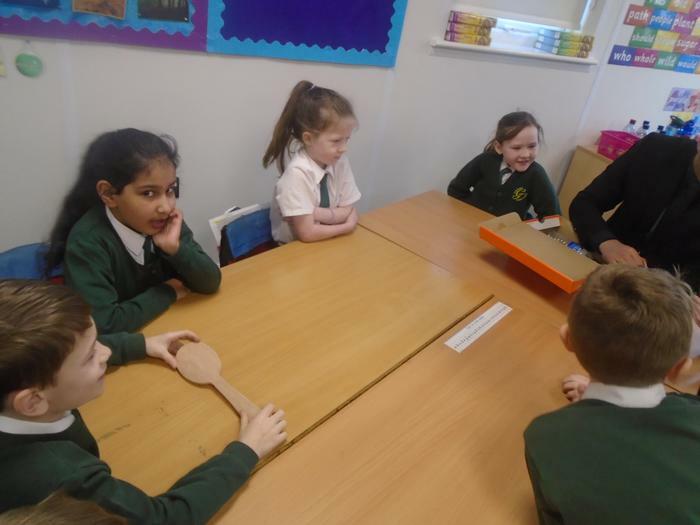 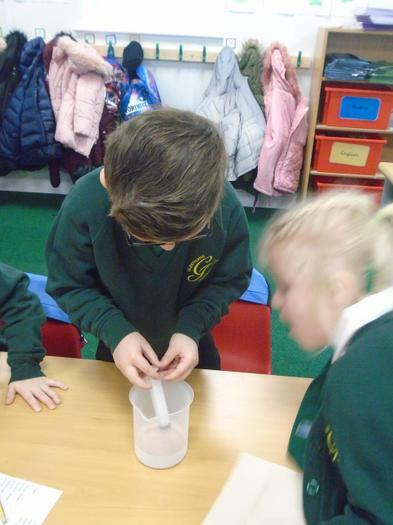 We learnt all about how to use equipment safely and the importance of good hygiene. 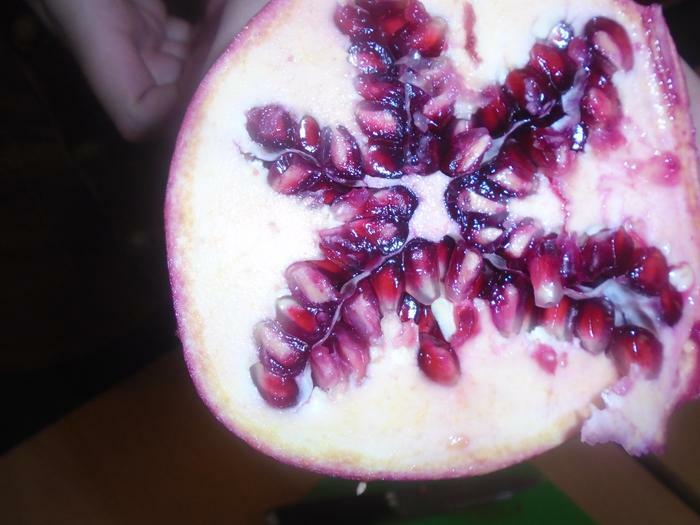 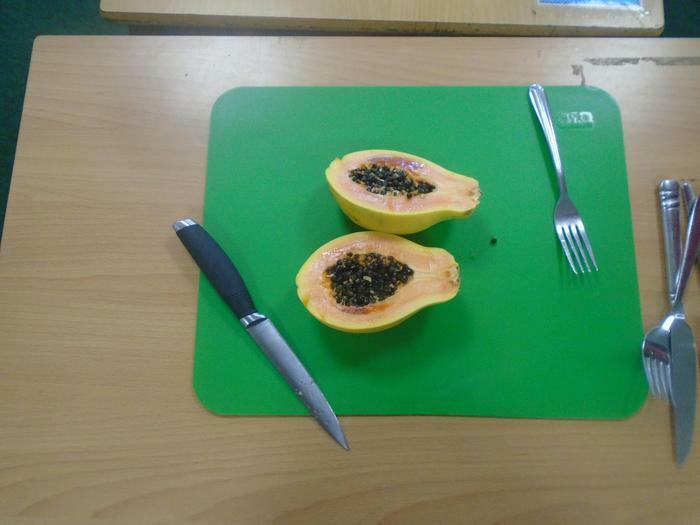 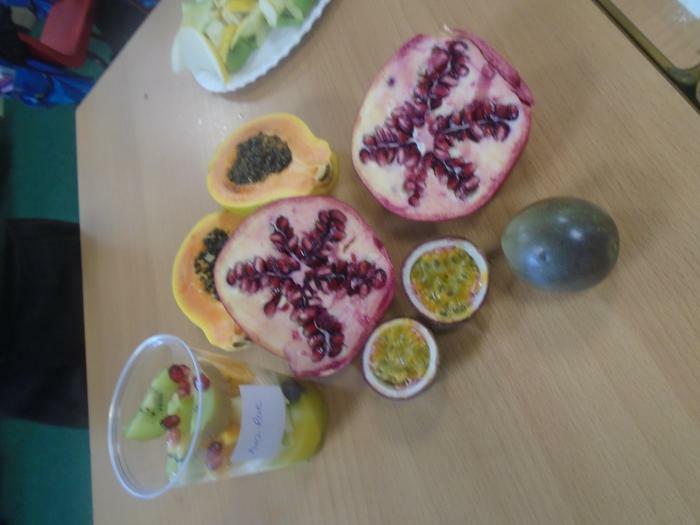 We also tried some fruits that we had never seen before - they took us by surprise! 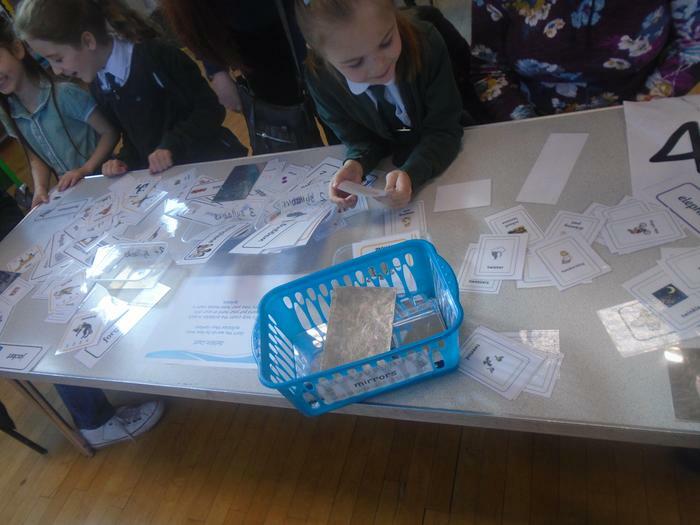 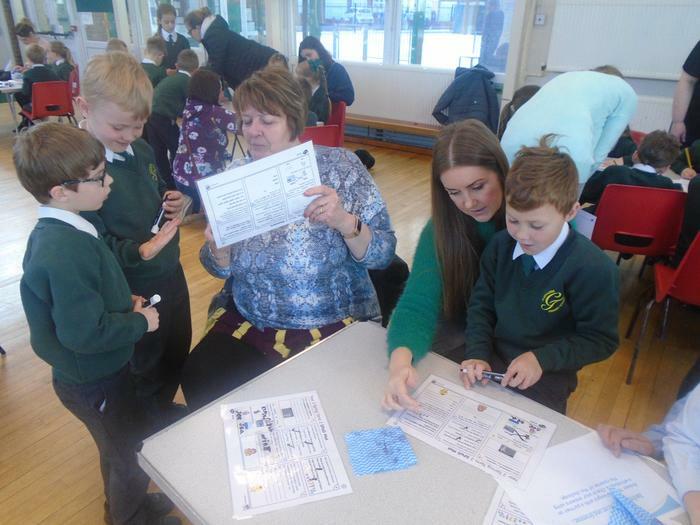 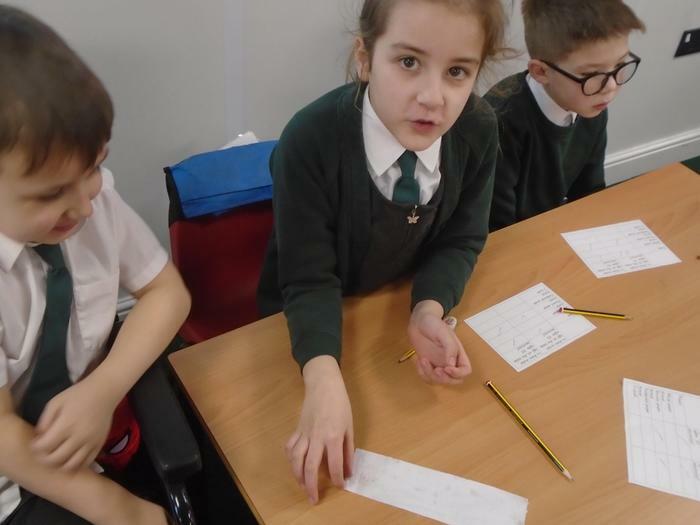 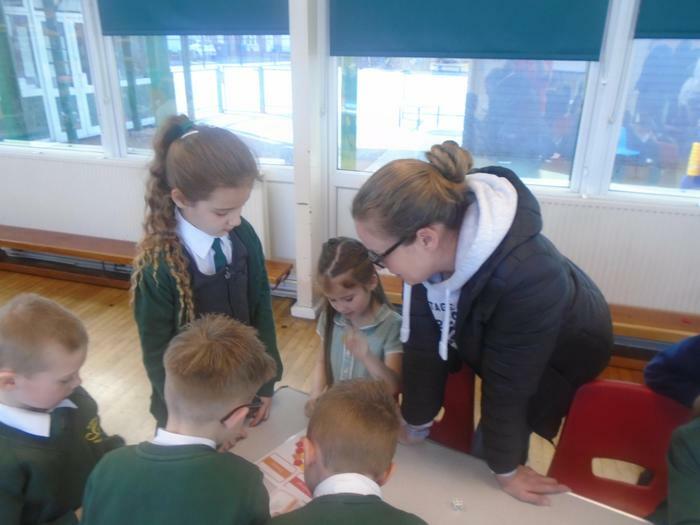 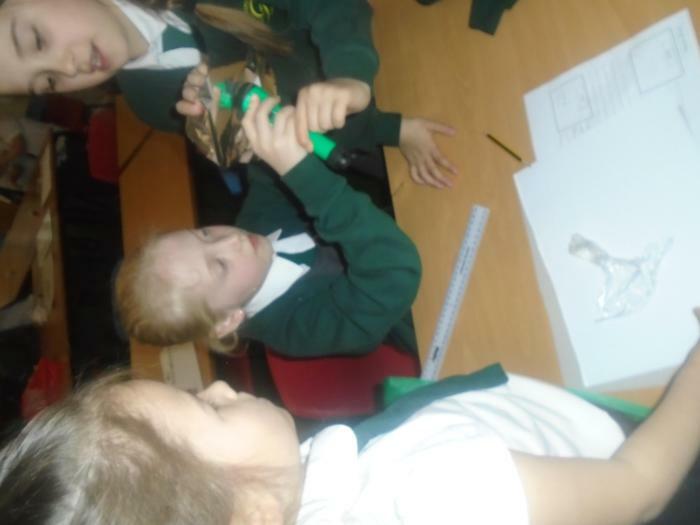 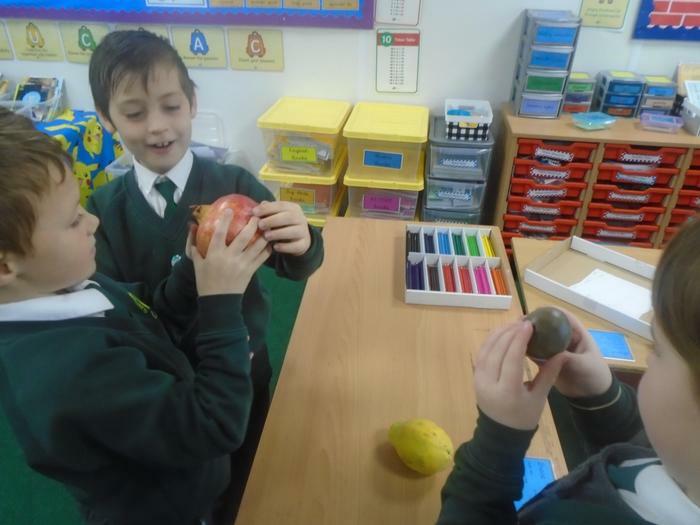 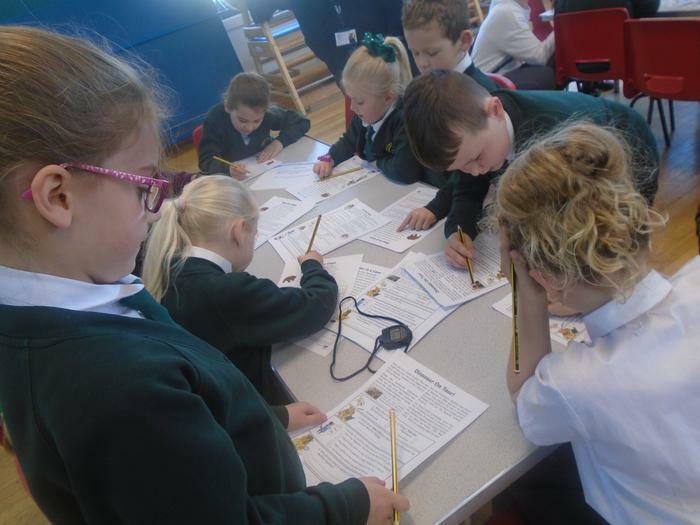 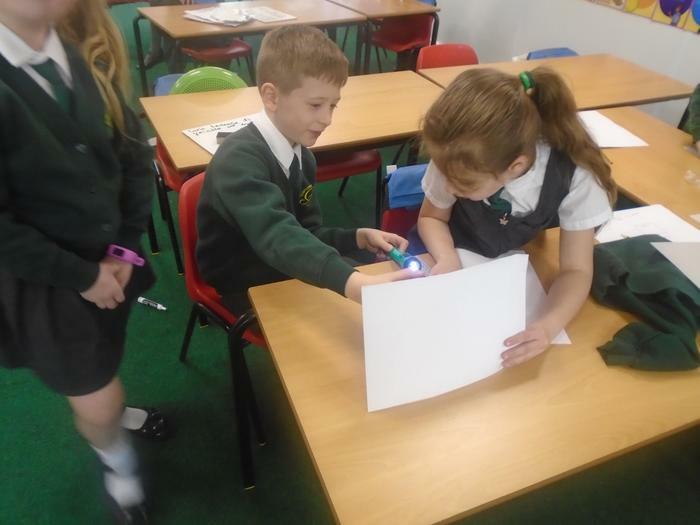 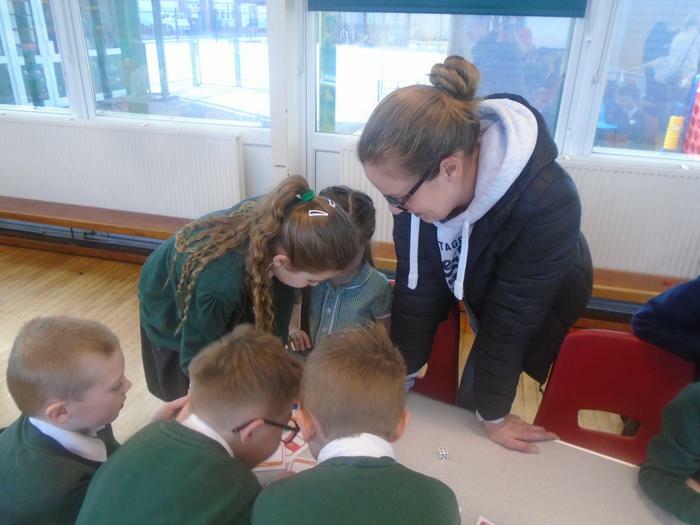 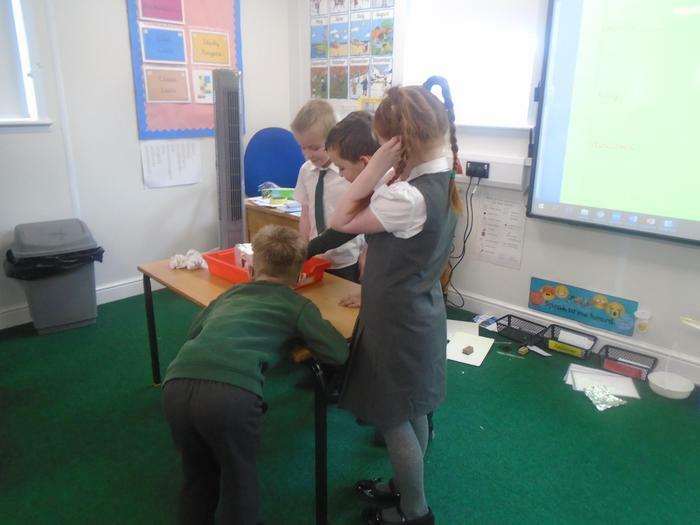 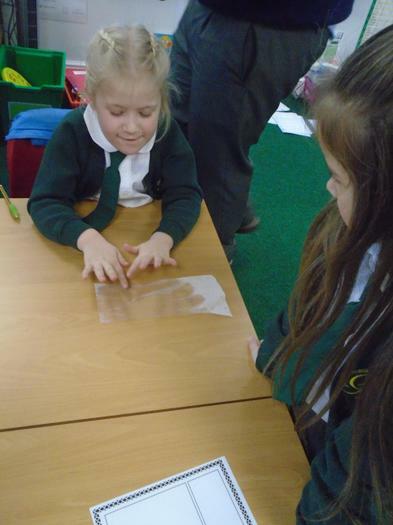 We have continued investigating materials during our Science Day. 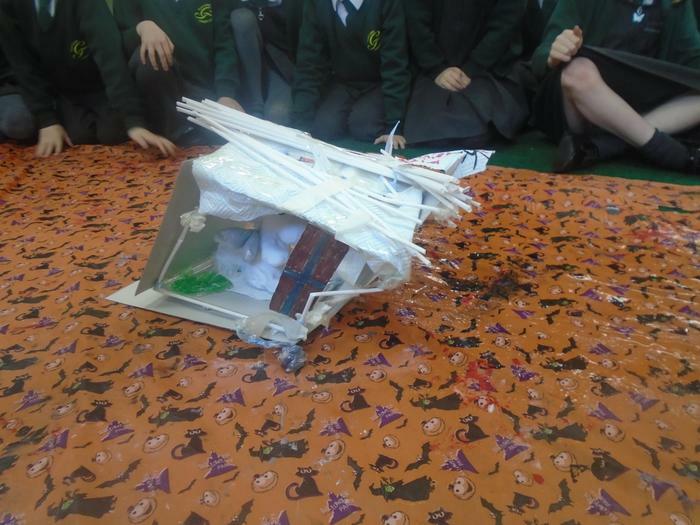 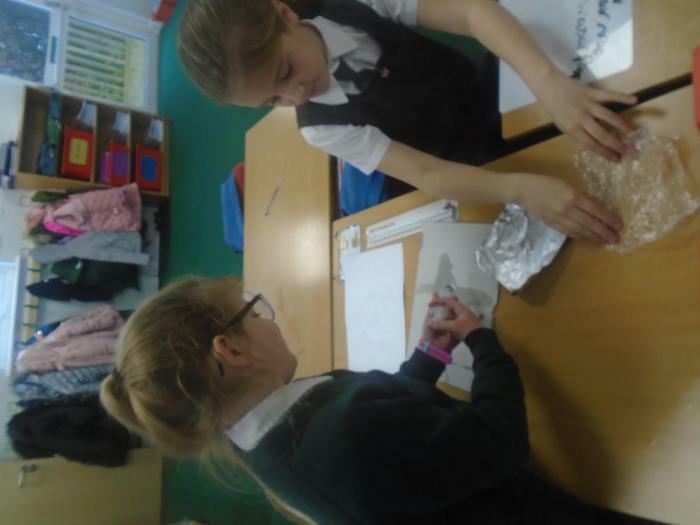 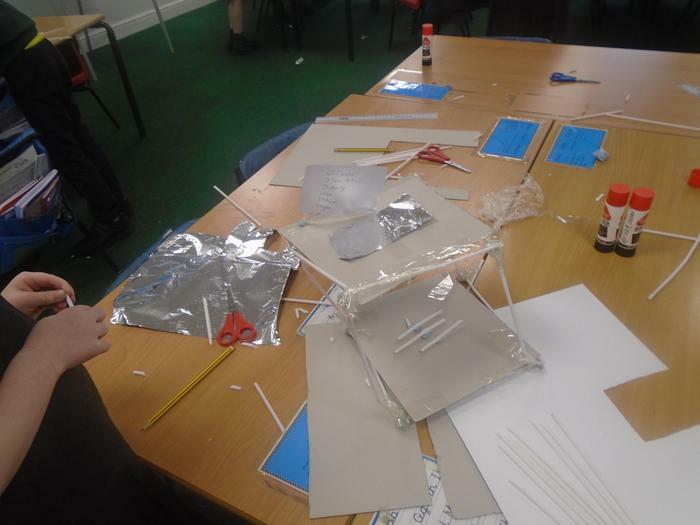 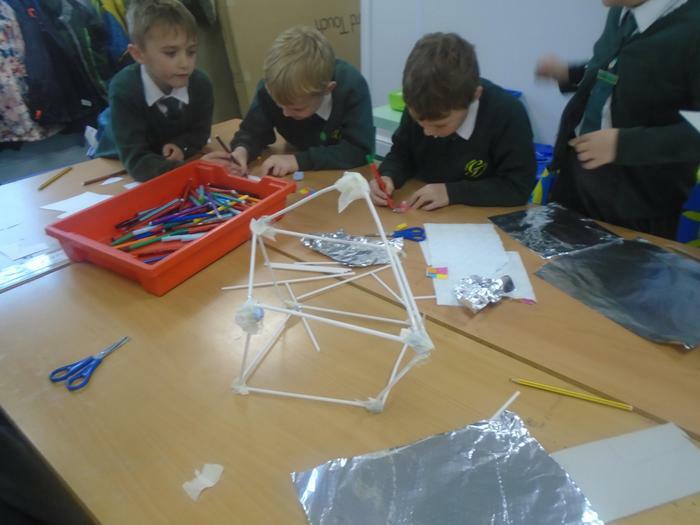 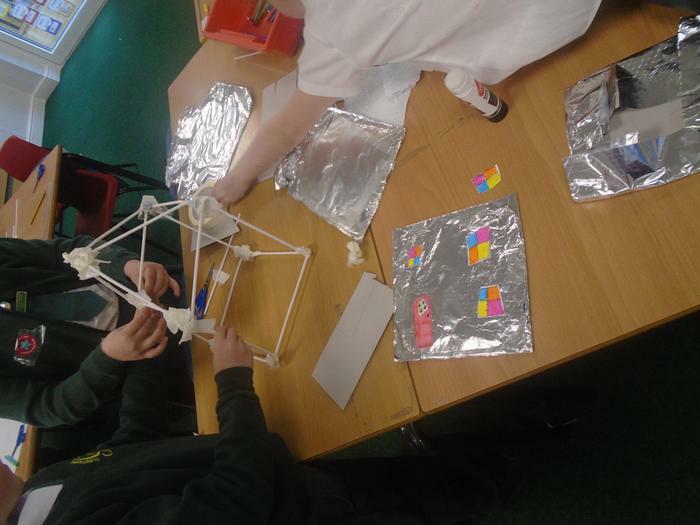 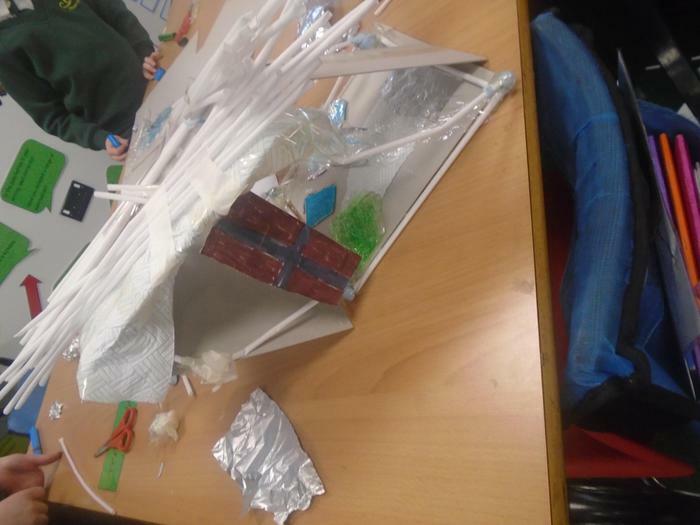 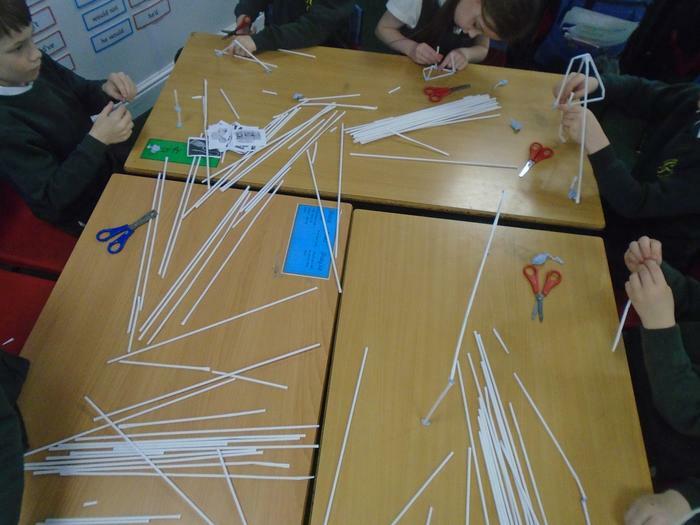 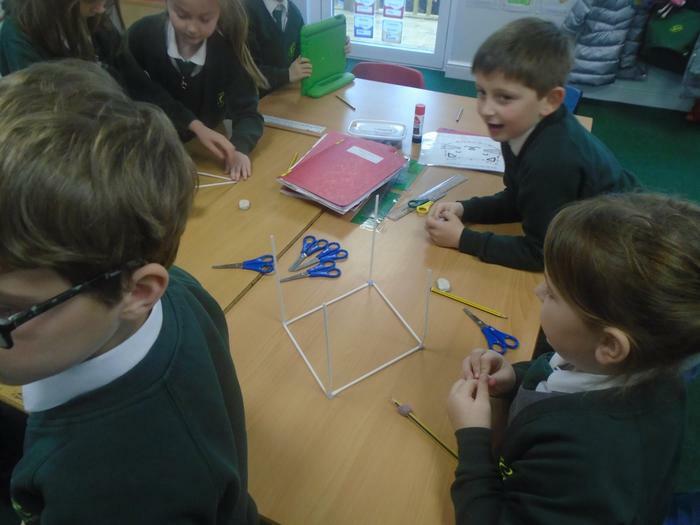 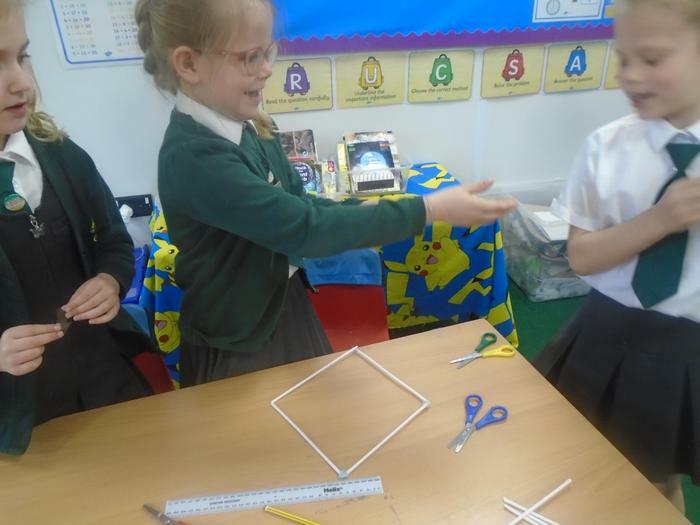 We investigated the properties of different materials and used our knowledge to build a shelter that could survive a storm! 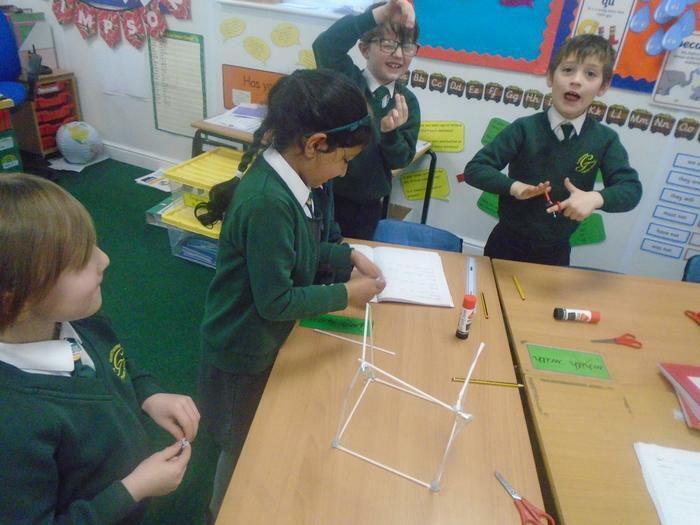 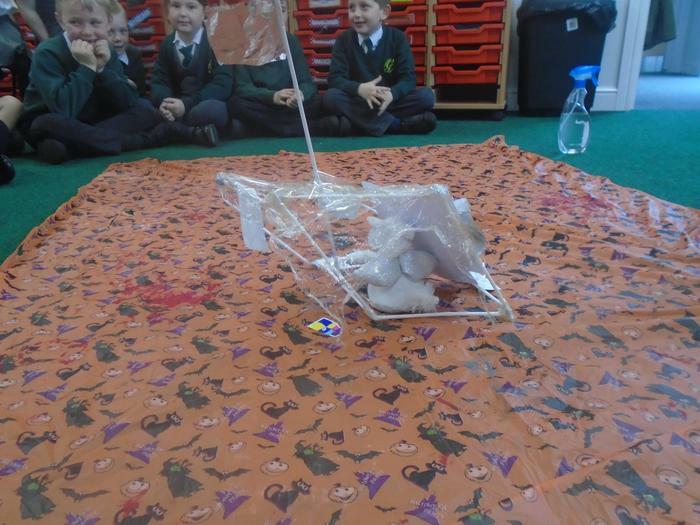 We had lots of fun testing our shelters against the elements. 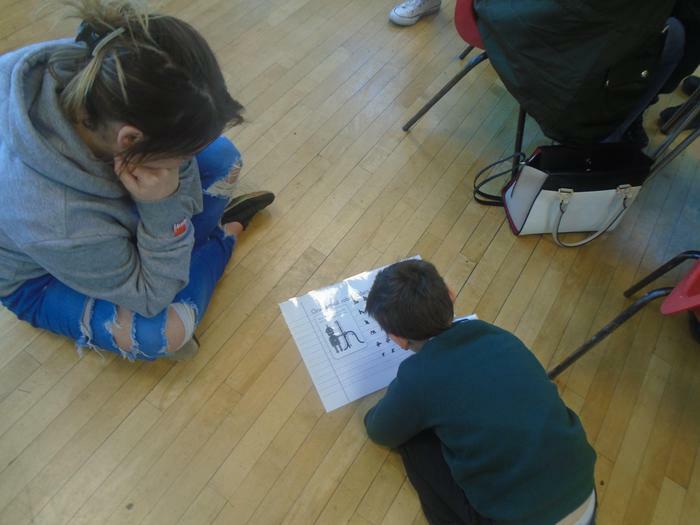 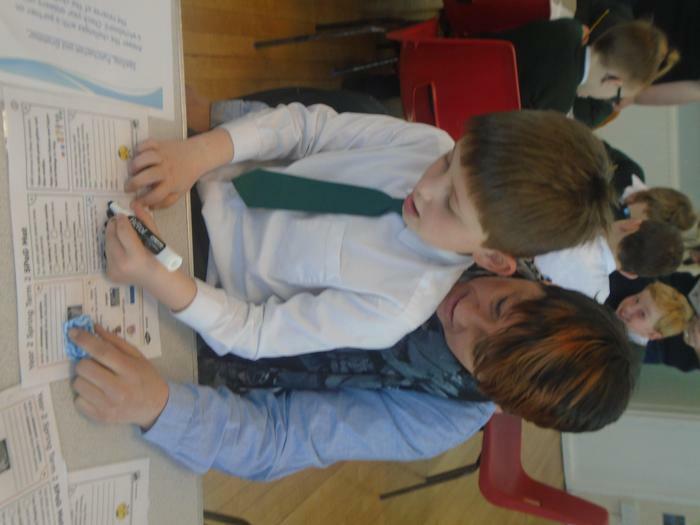 Thank you to everybody who came to our SATs revision and information workshop. 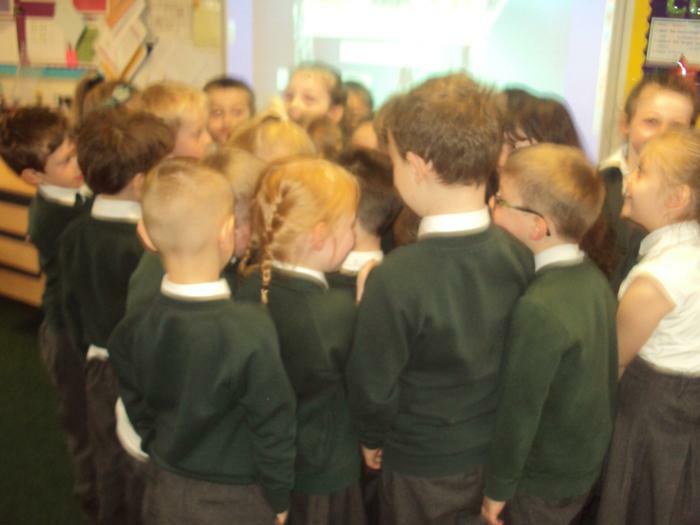 We had a great time sharing our learning with you! 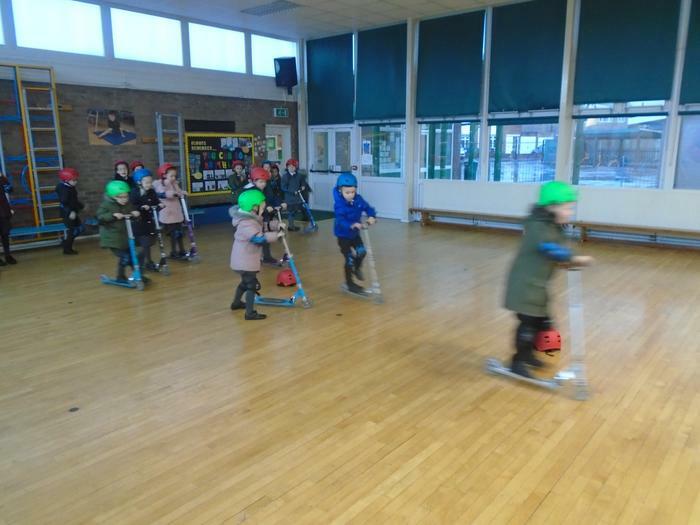 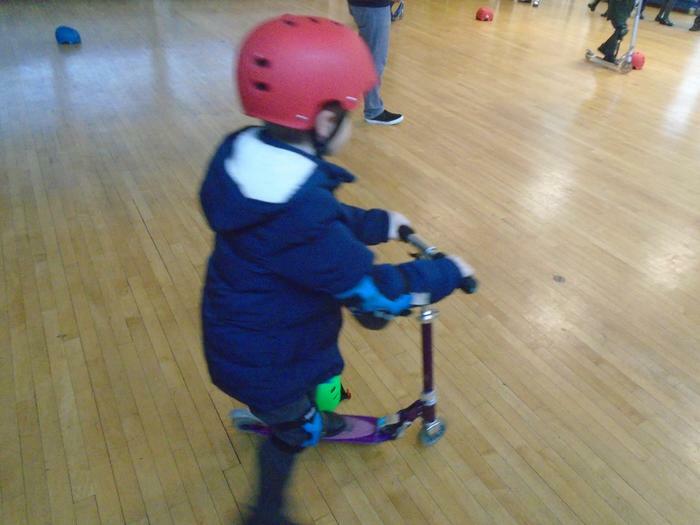 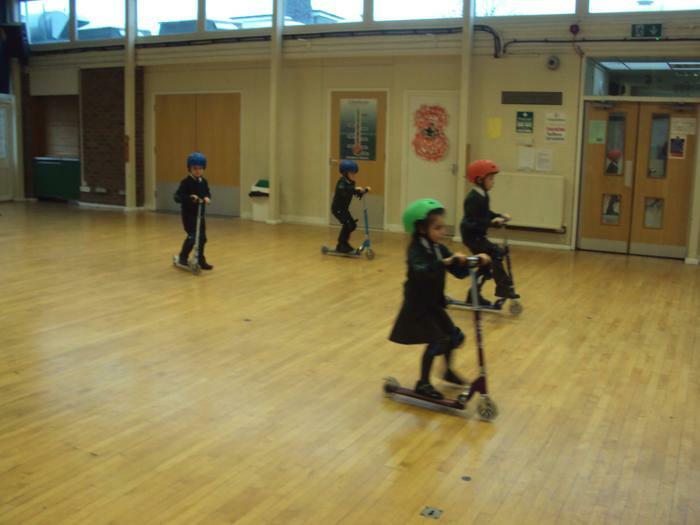 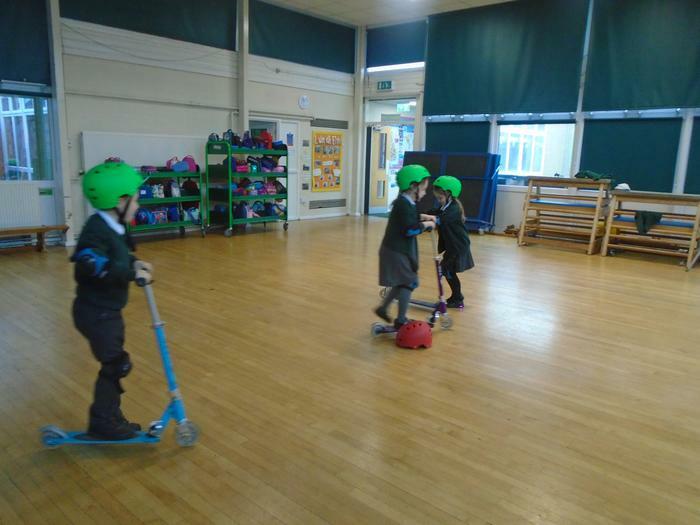 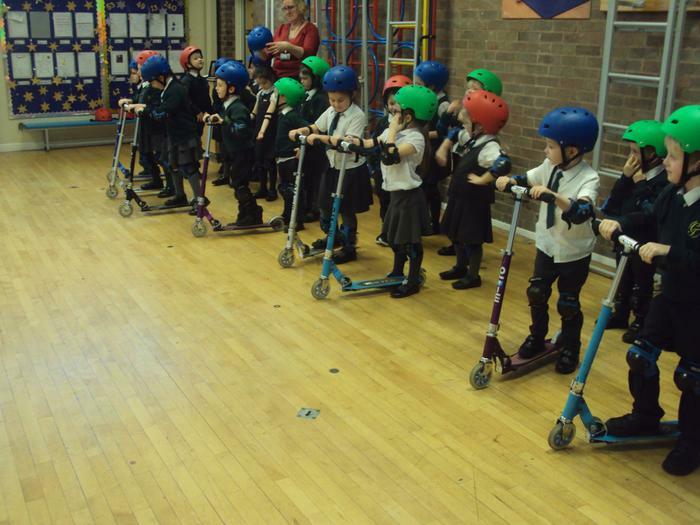 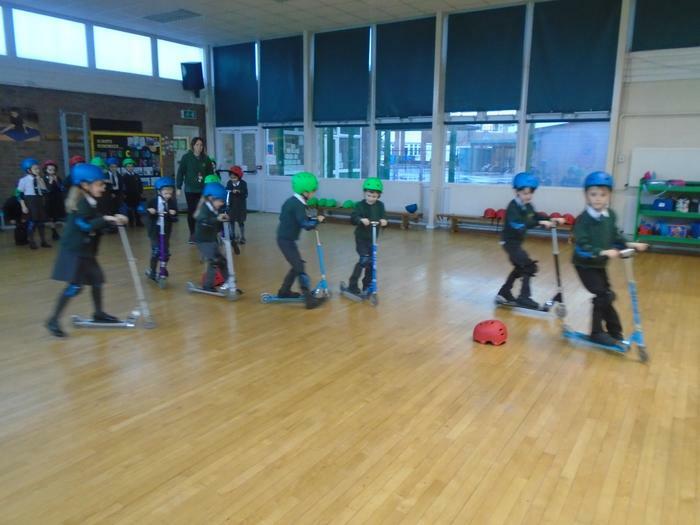 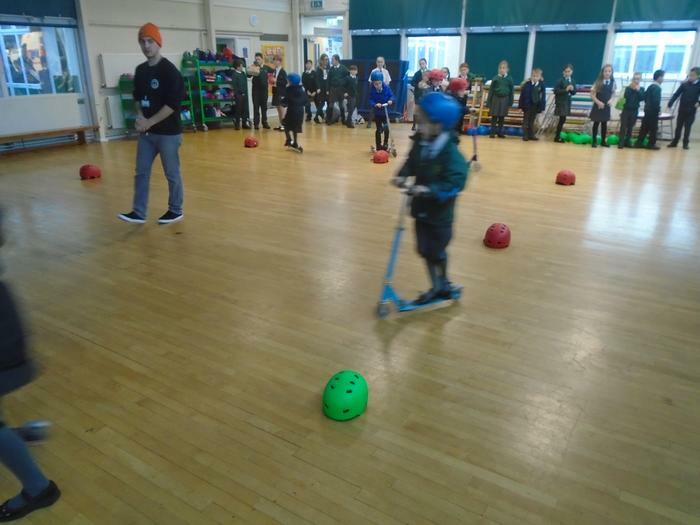 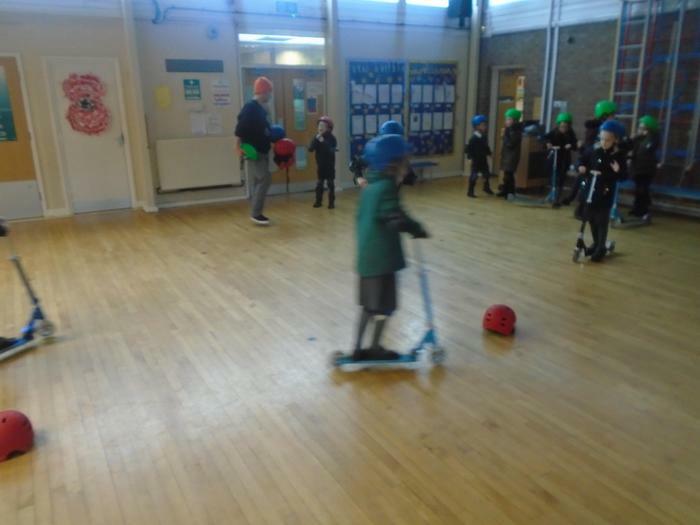 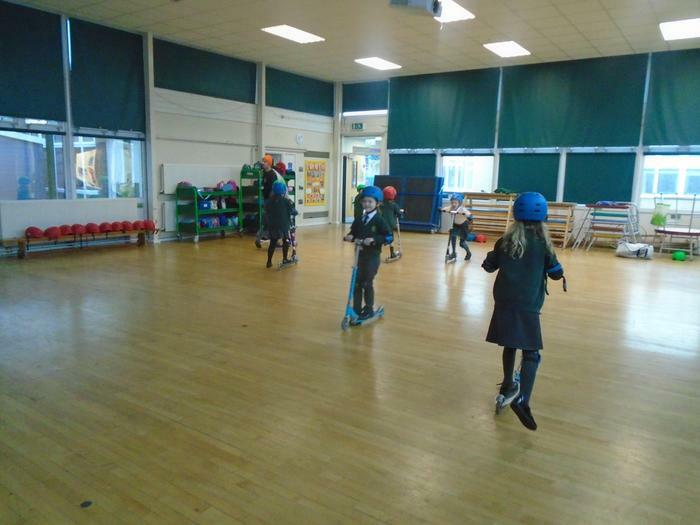 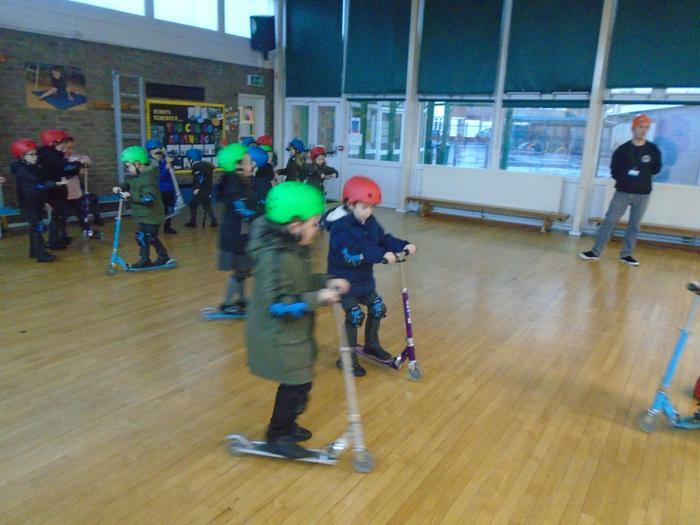 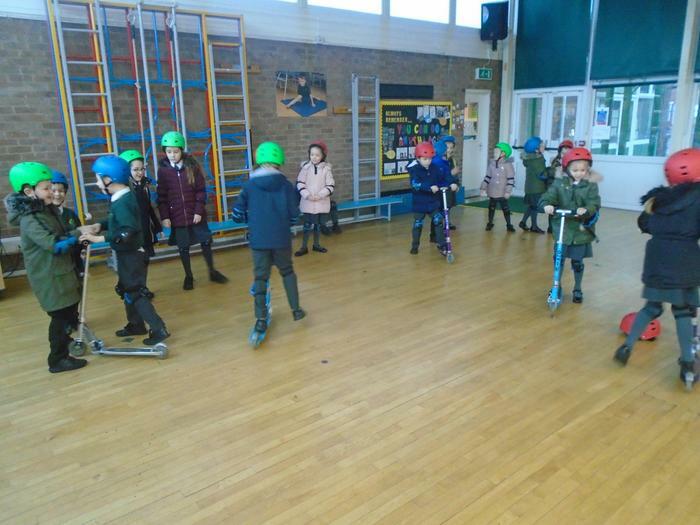 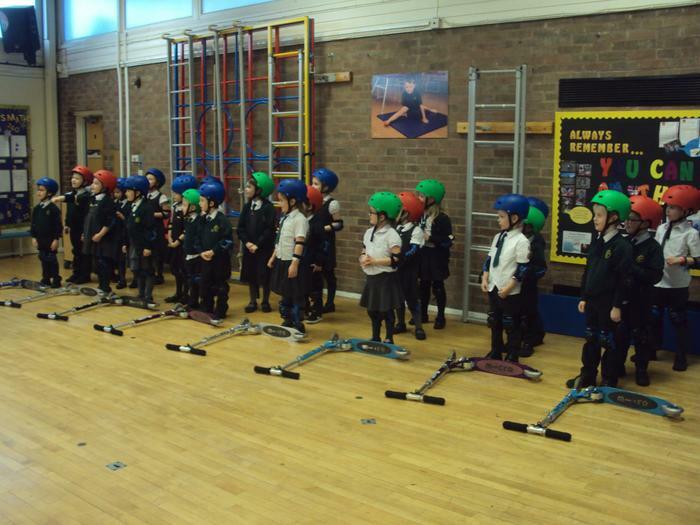 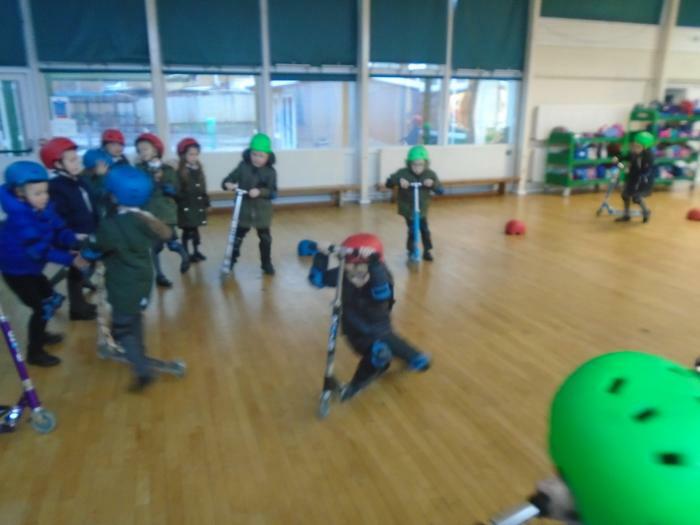 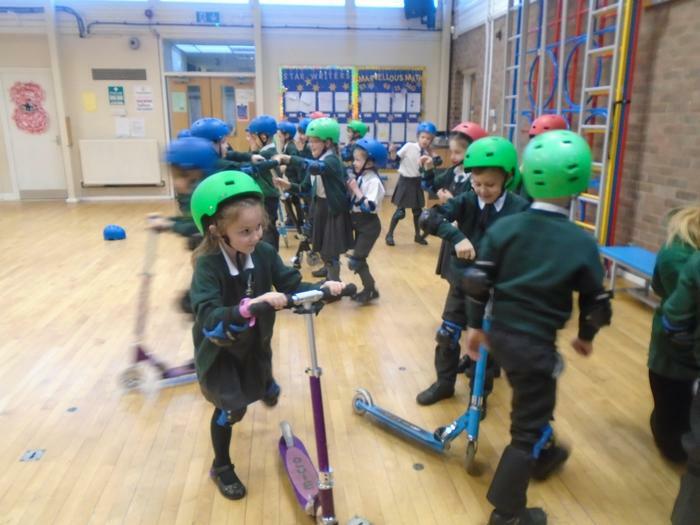 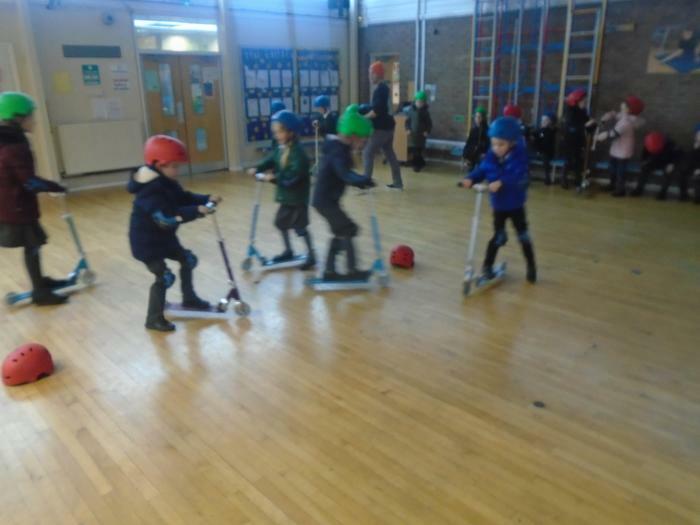 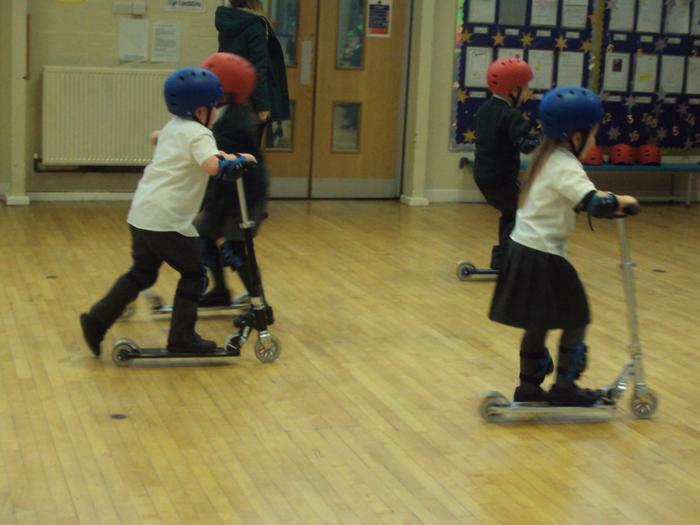 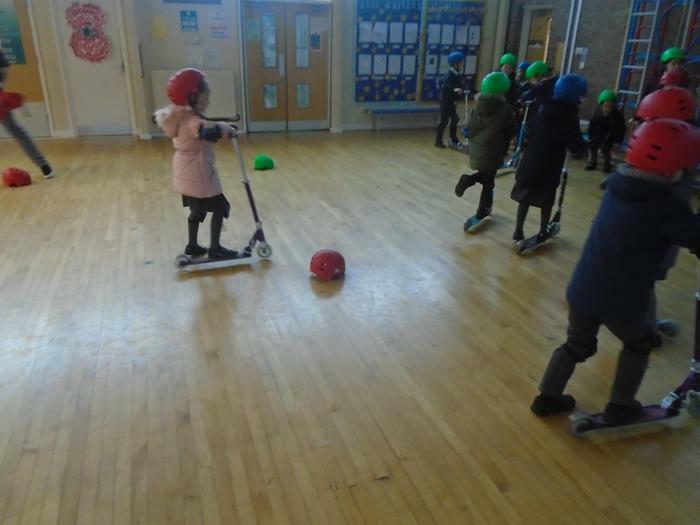 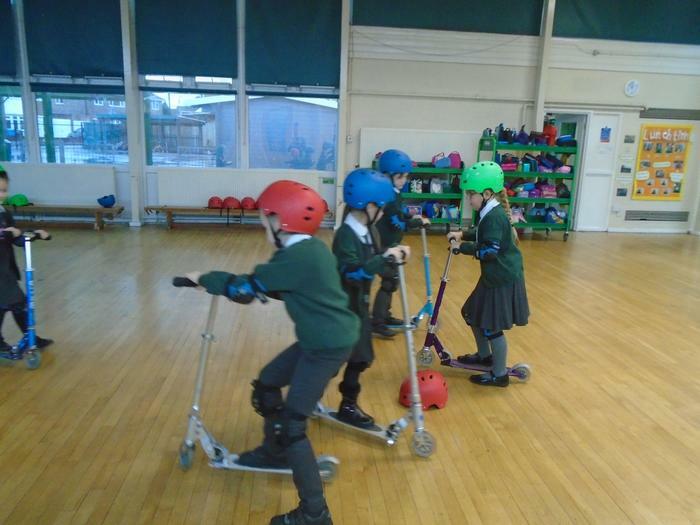 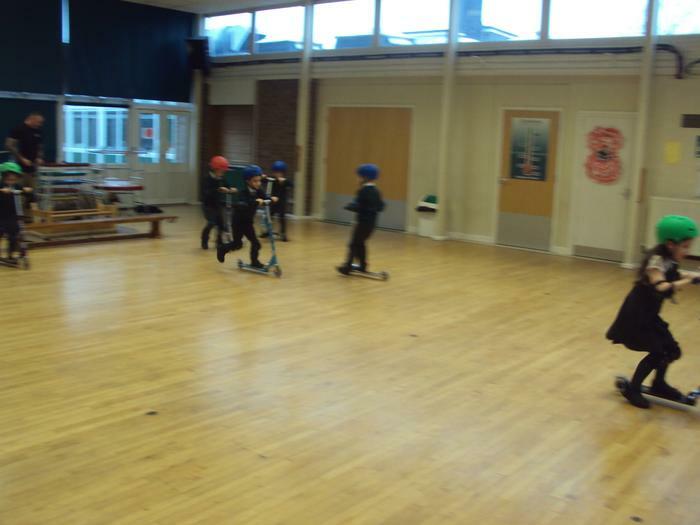 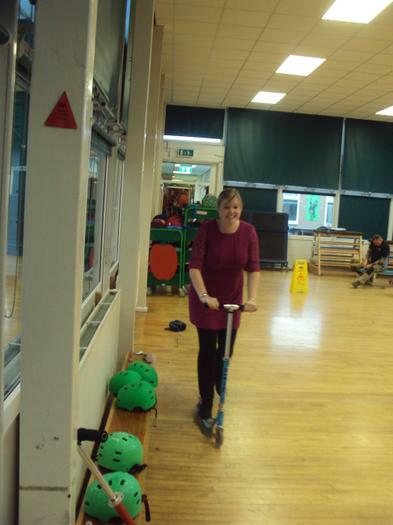 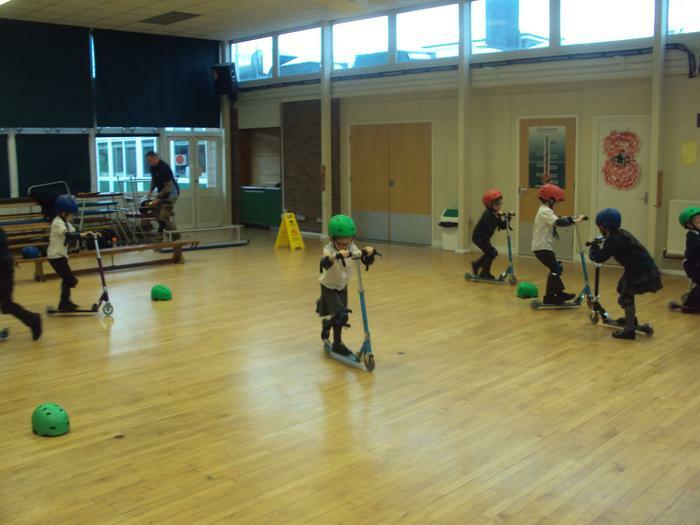 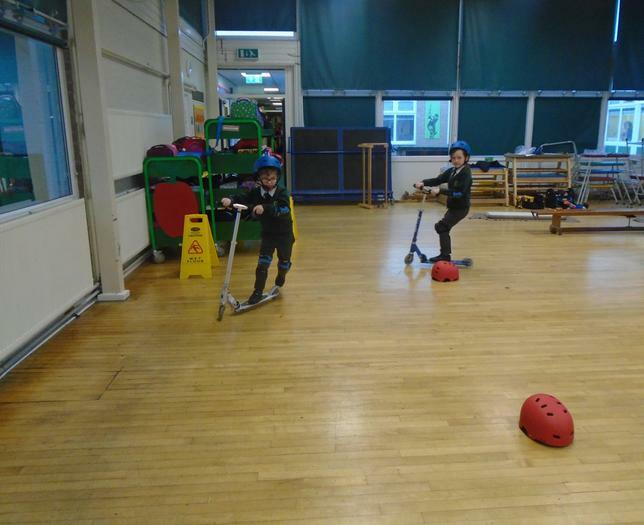 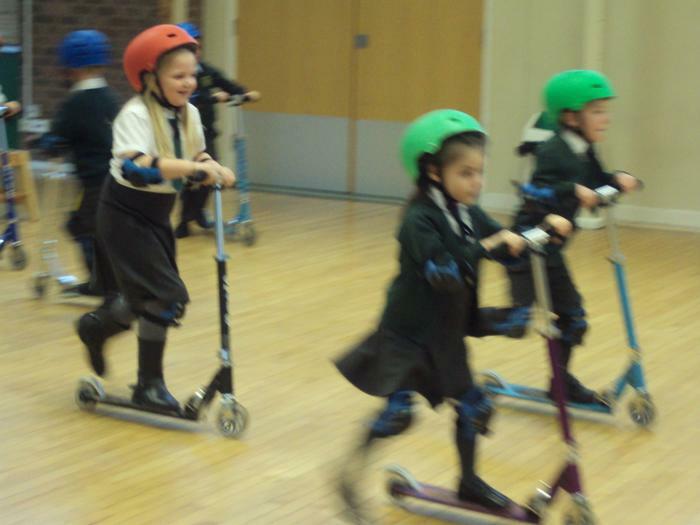 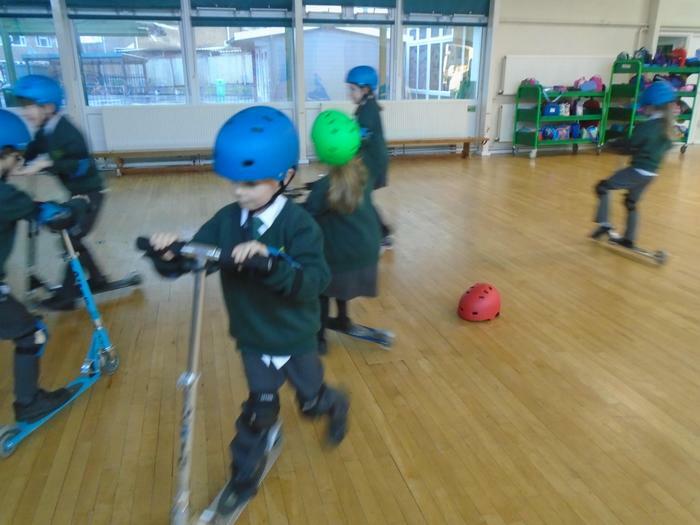 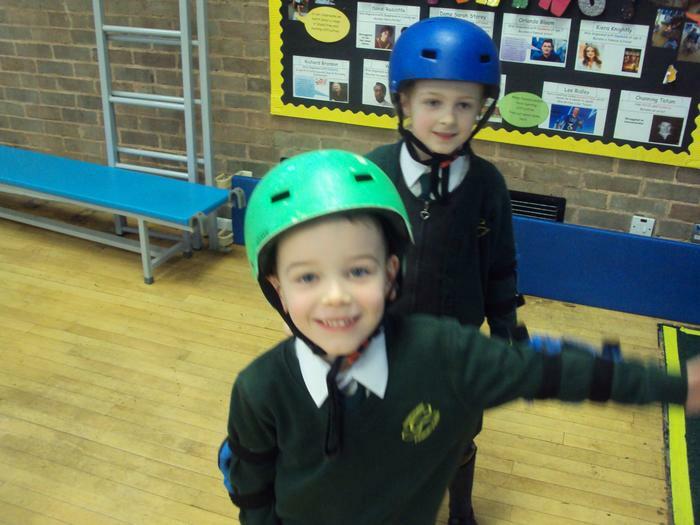 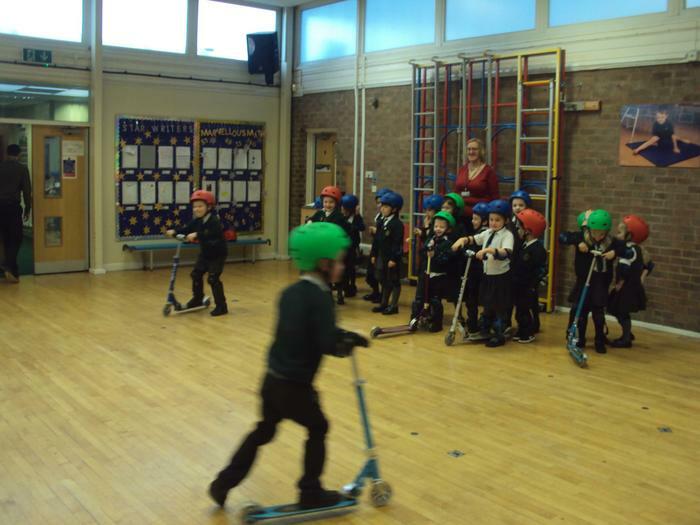 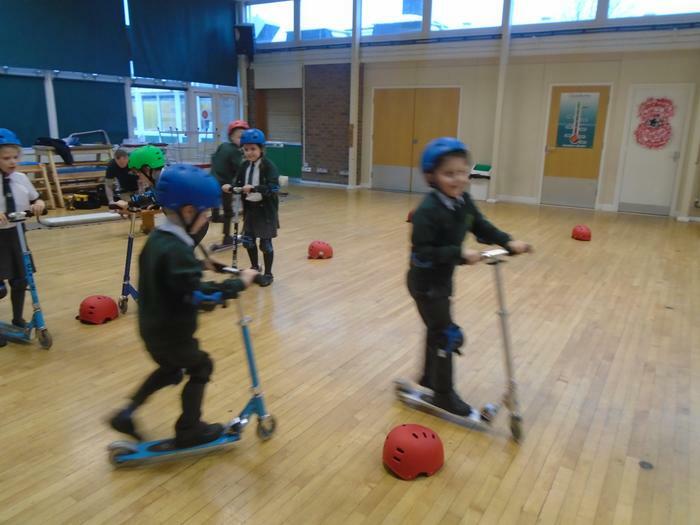 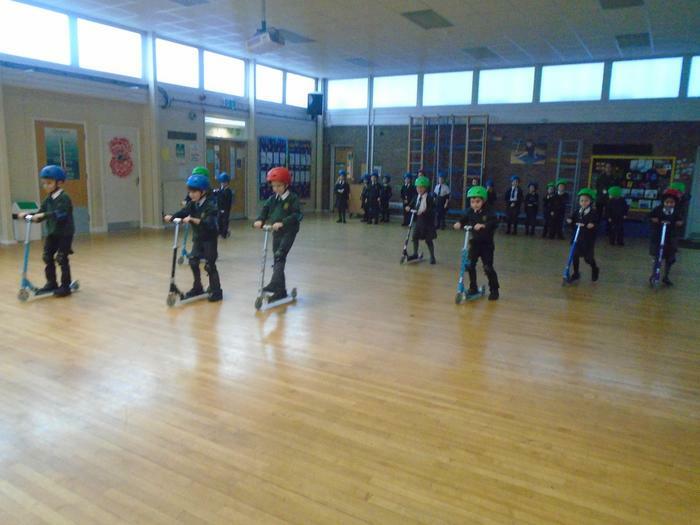 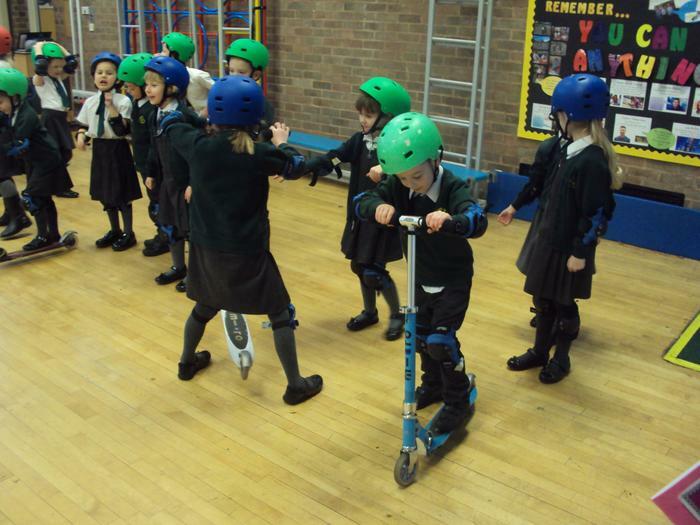 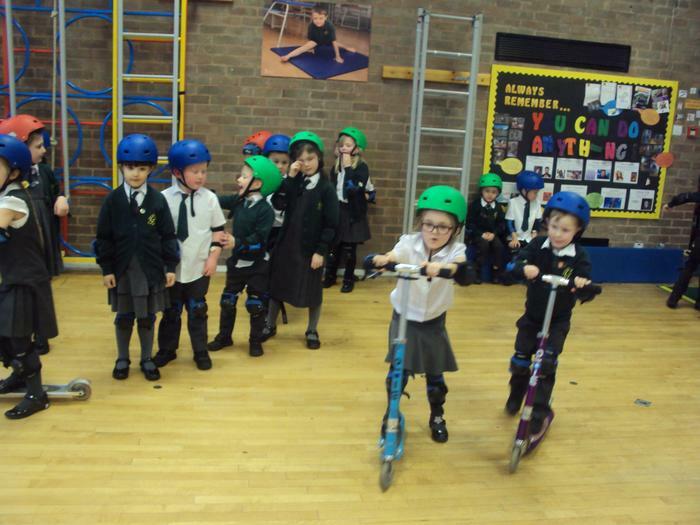 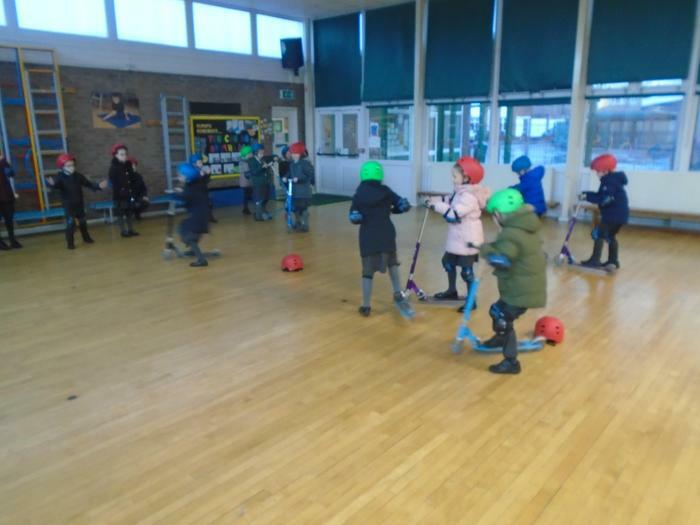 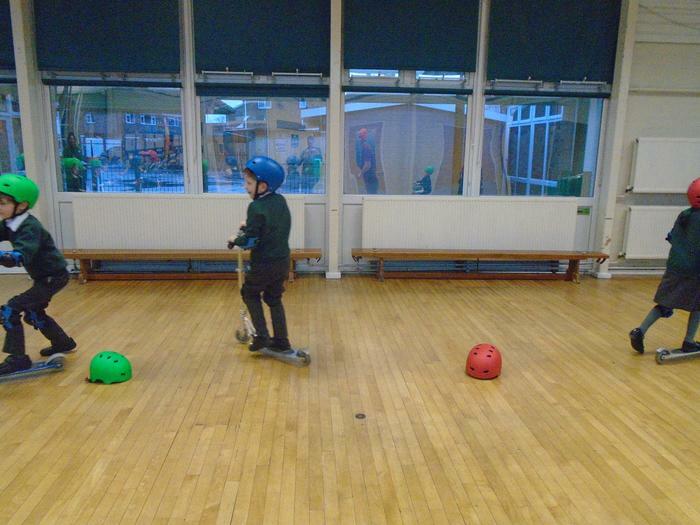 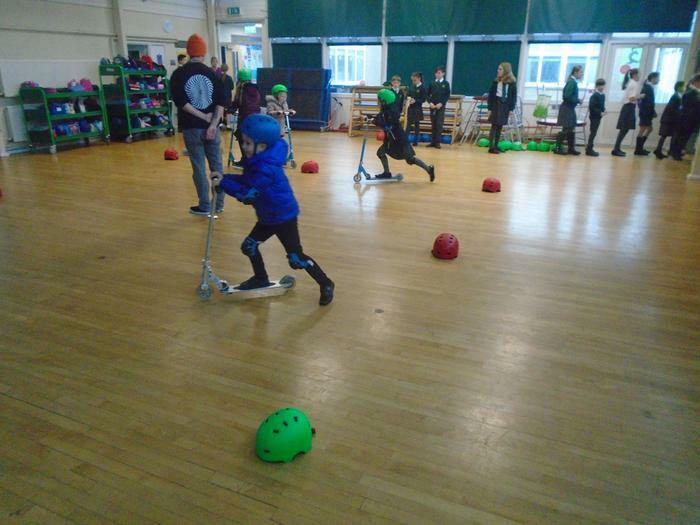 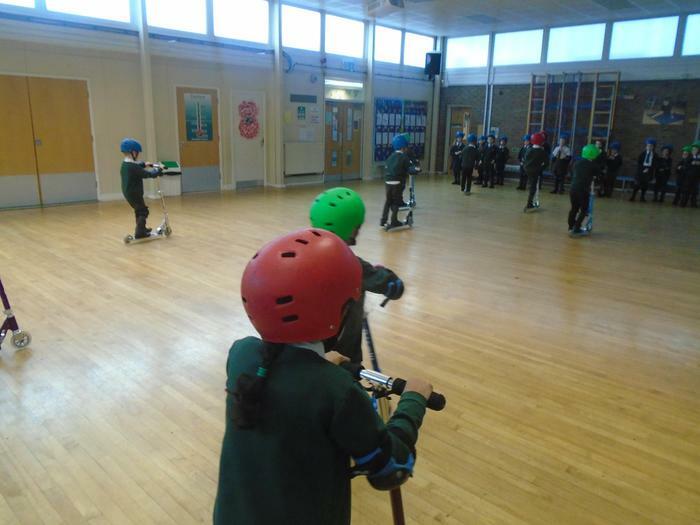 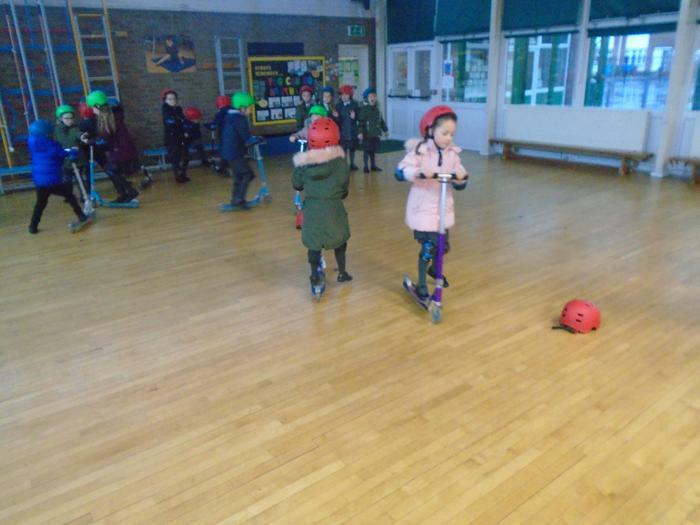 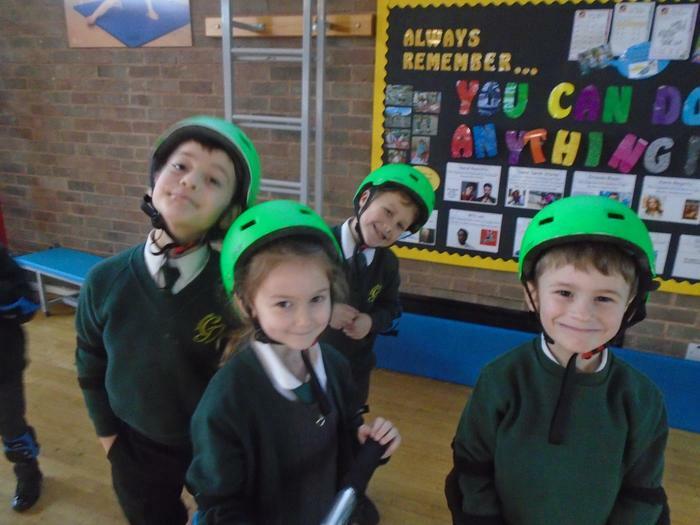 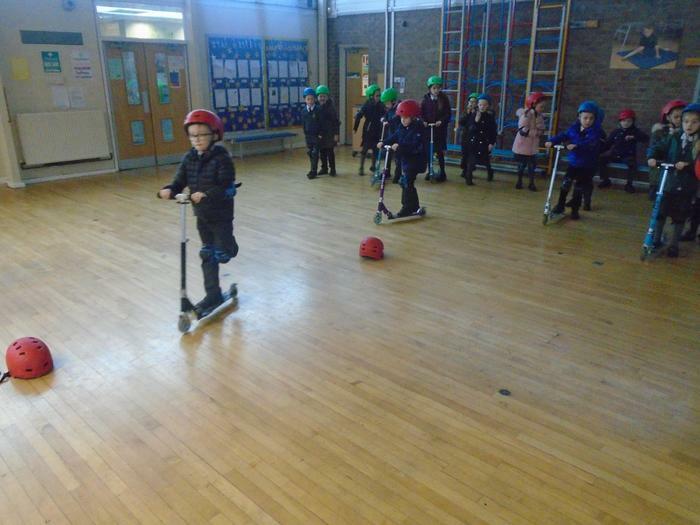 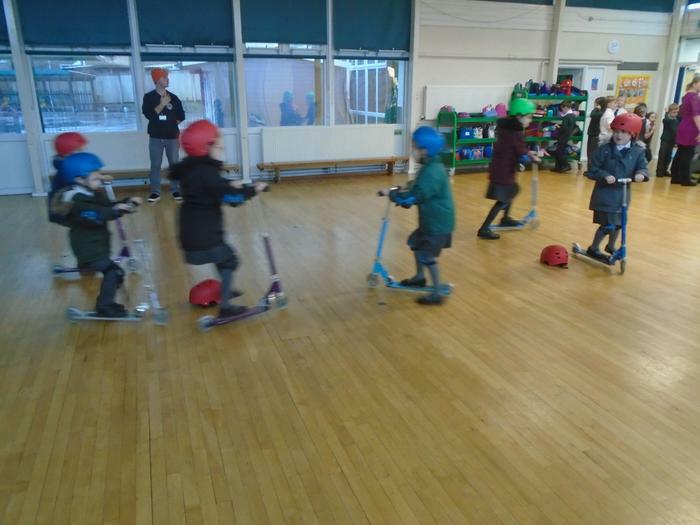 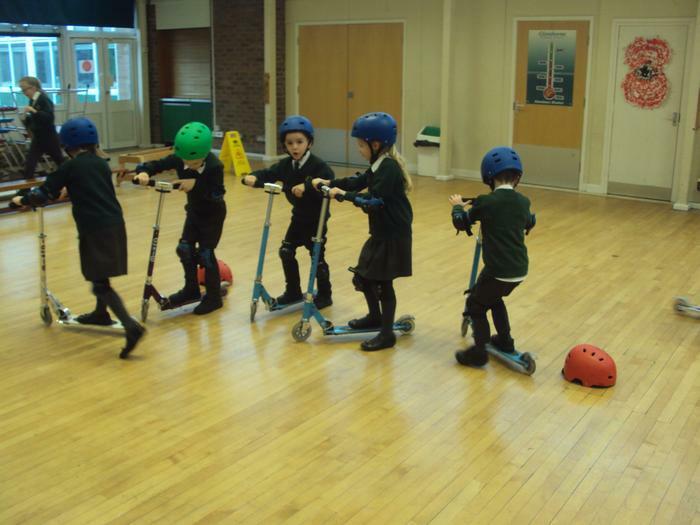 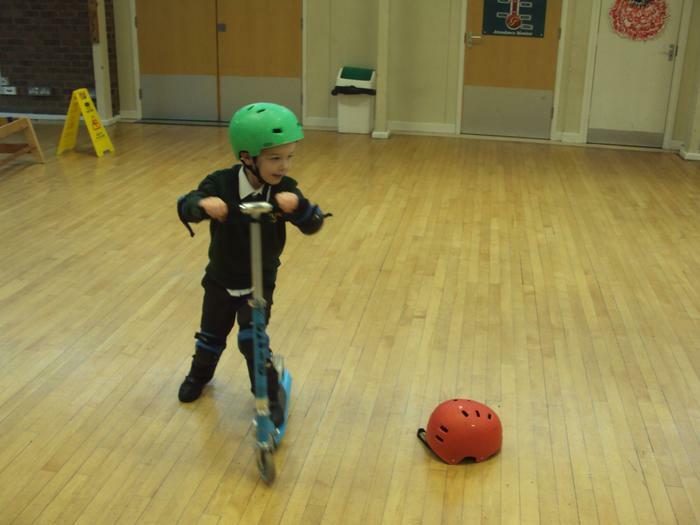 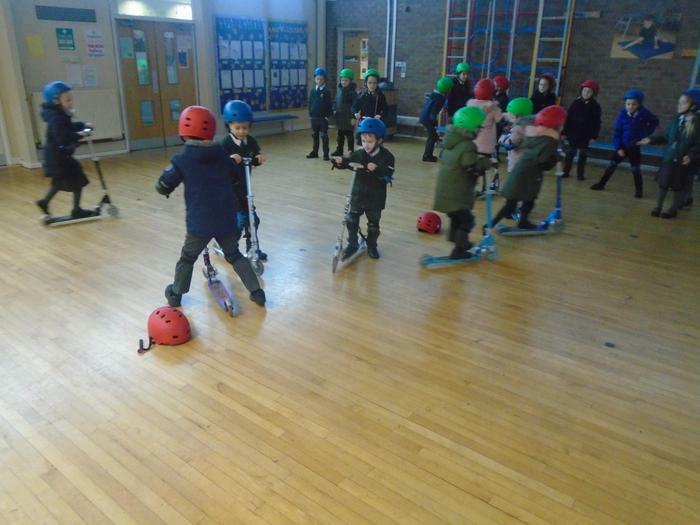 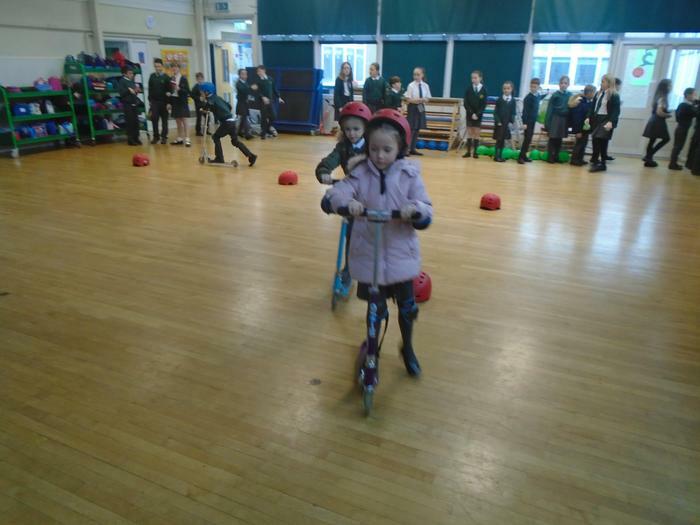 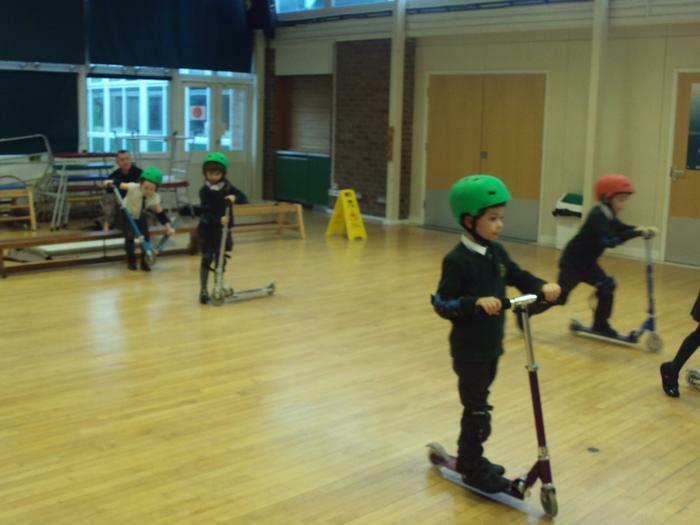 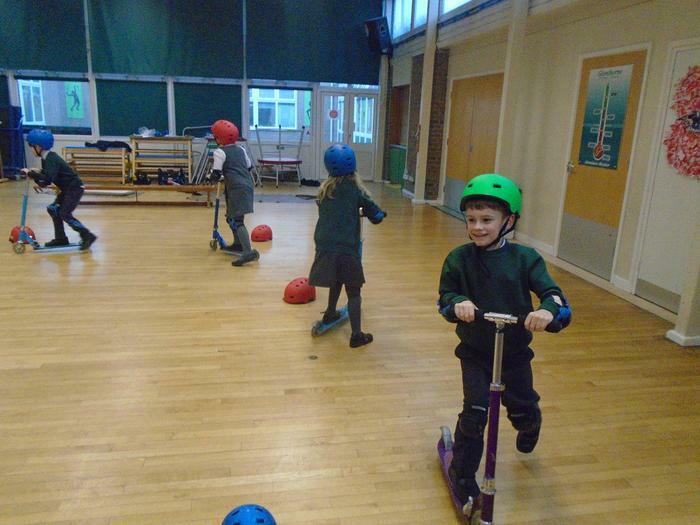 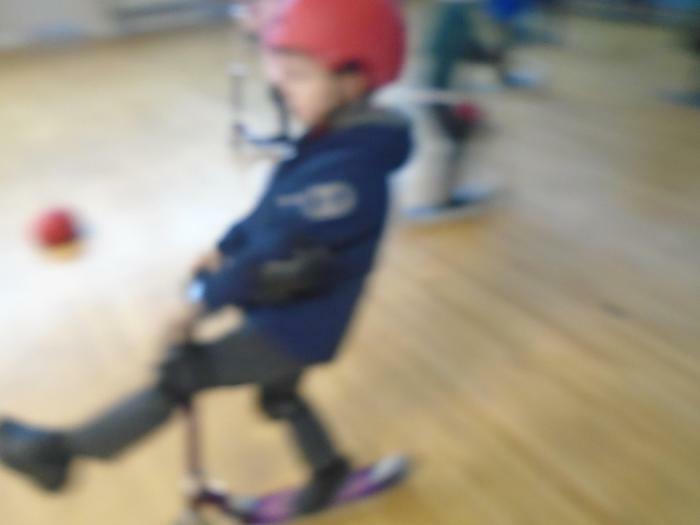 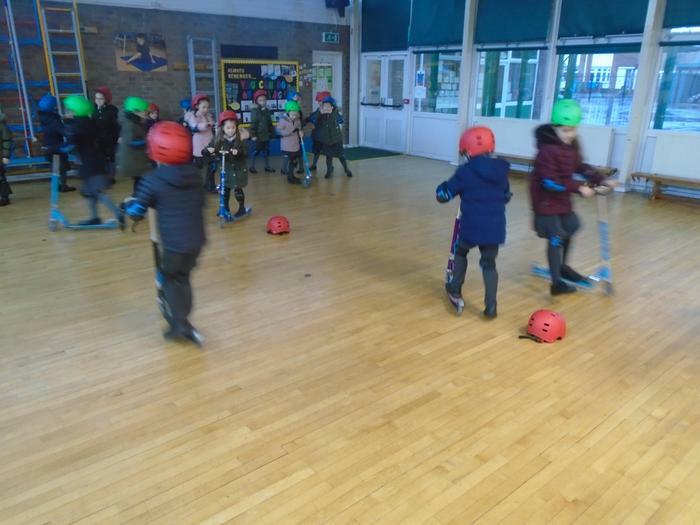 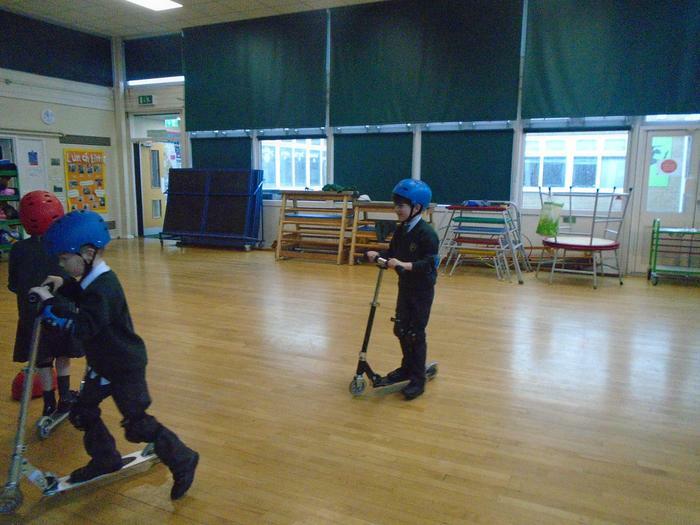 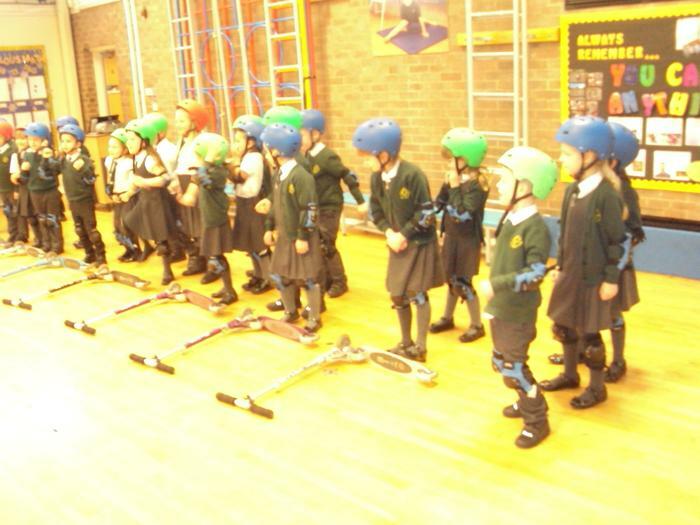 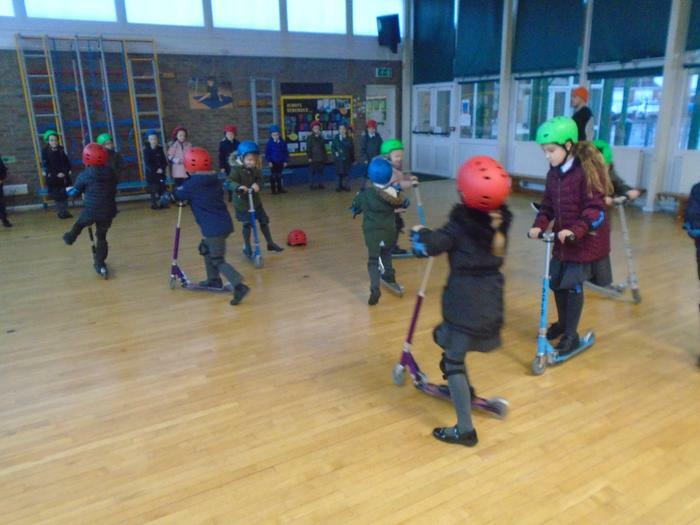 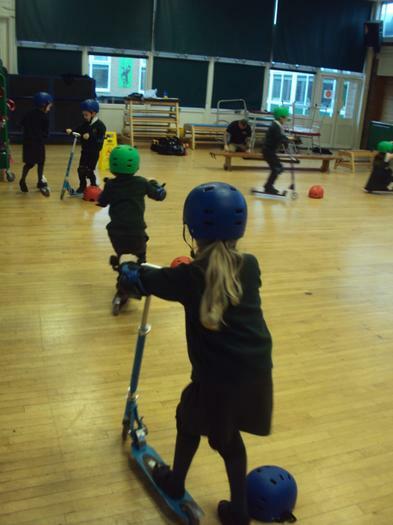 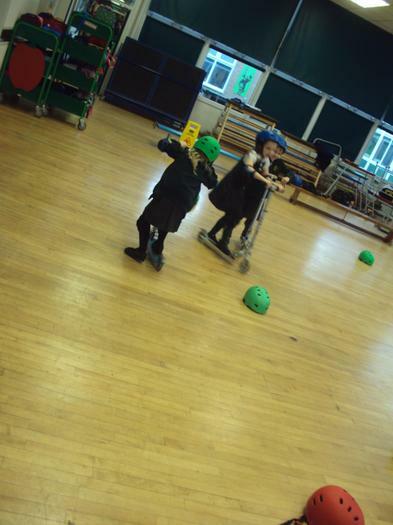 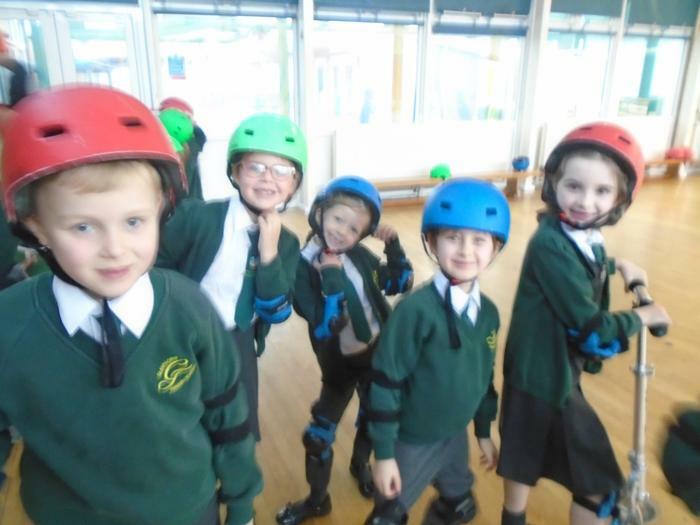 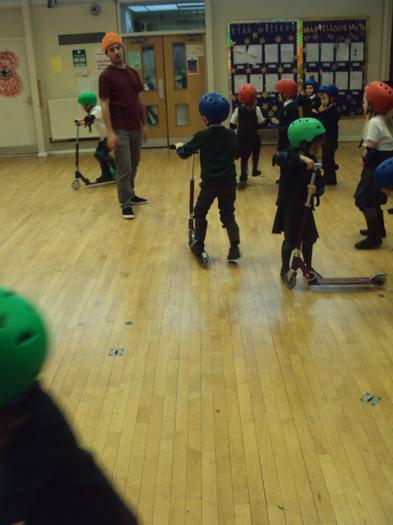 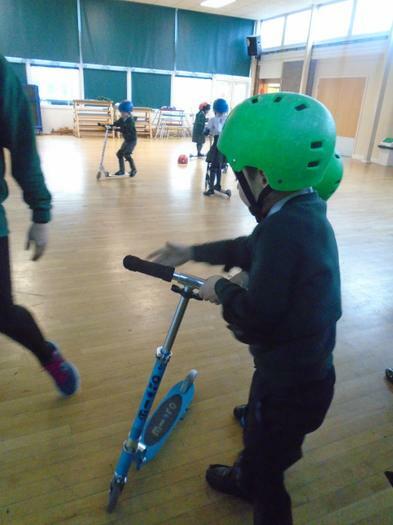 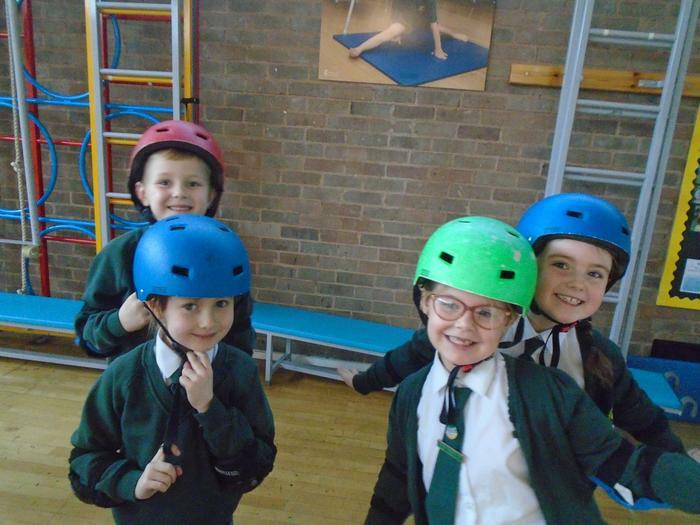 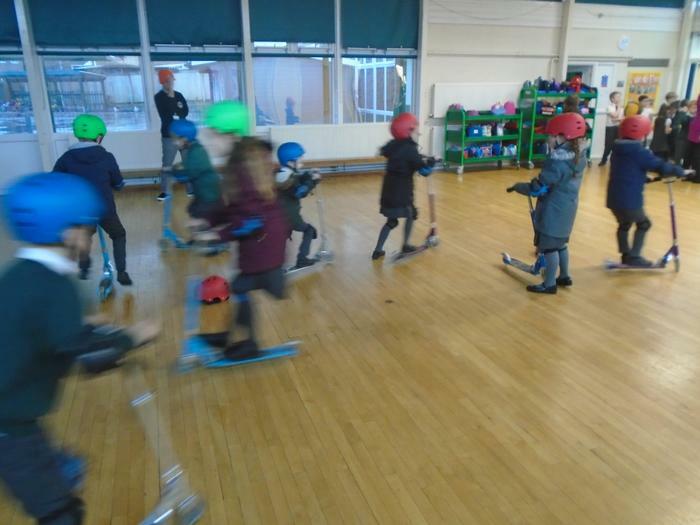 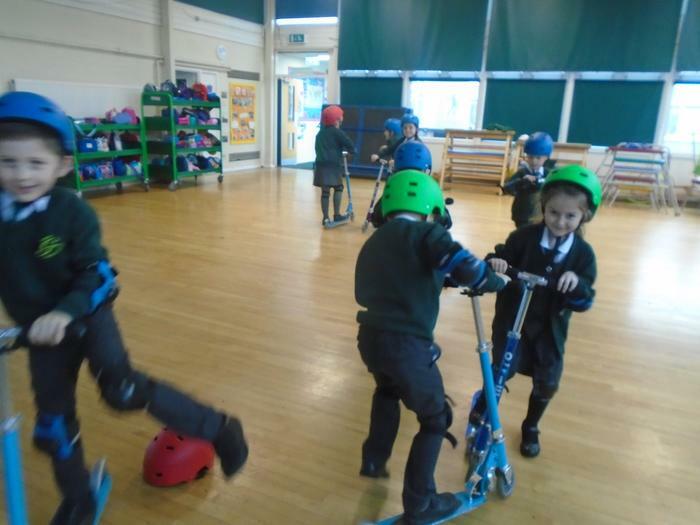 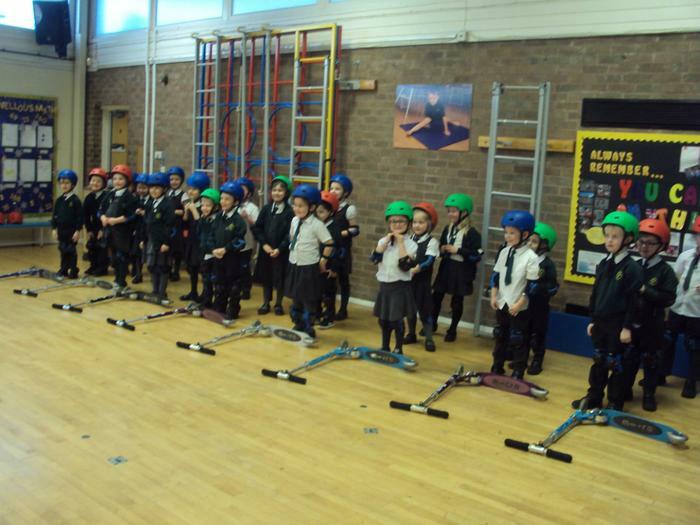 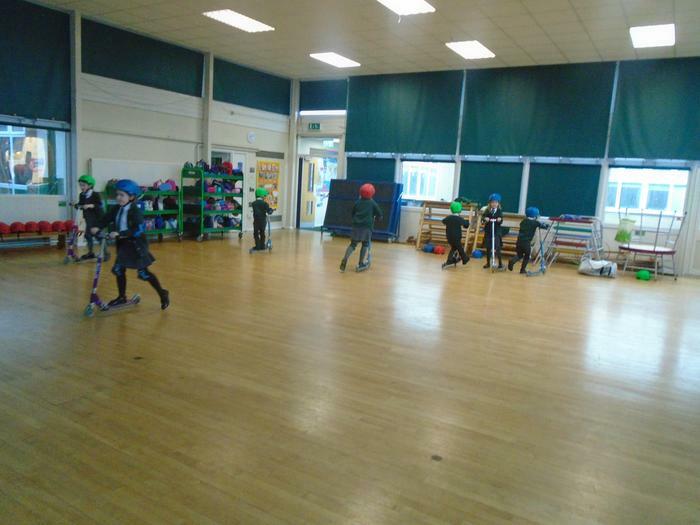 This half term we learnt how to ride our scooters safely. 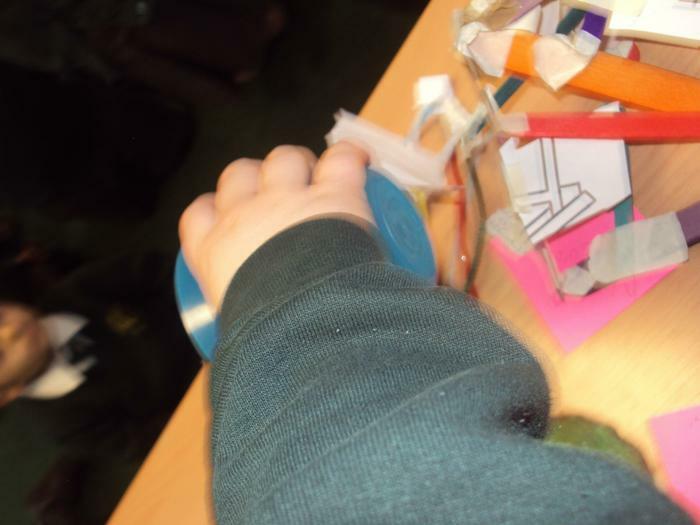 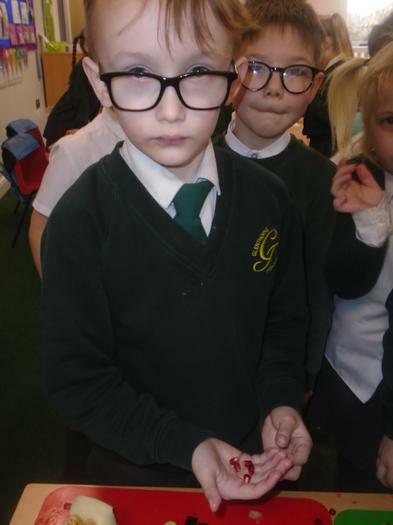 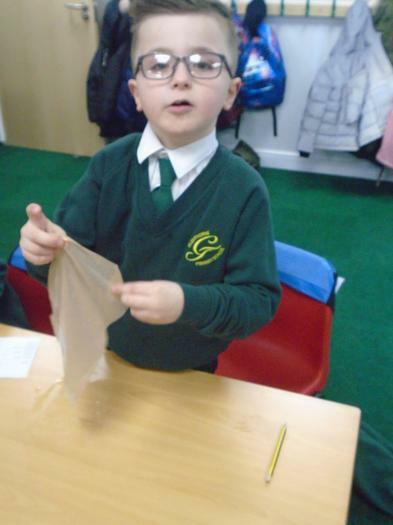 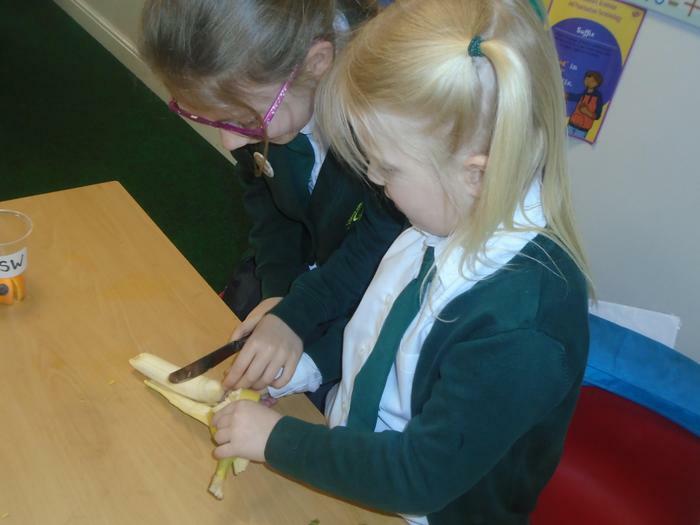 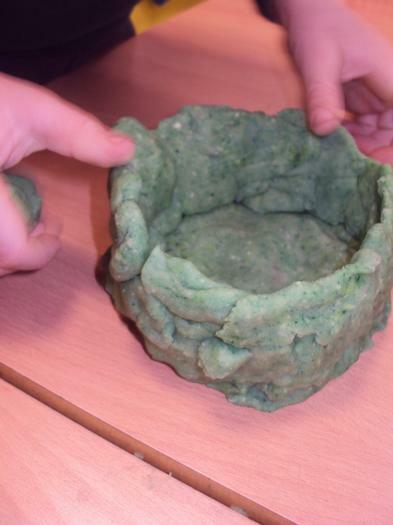 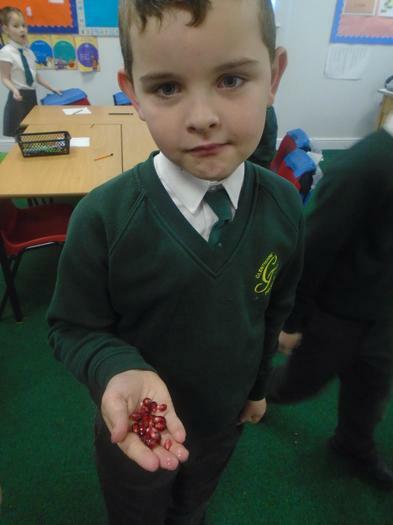 This half term we have been finding out about materials. 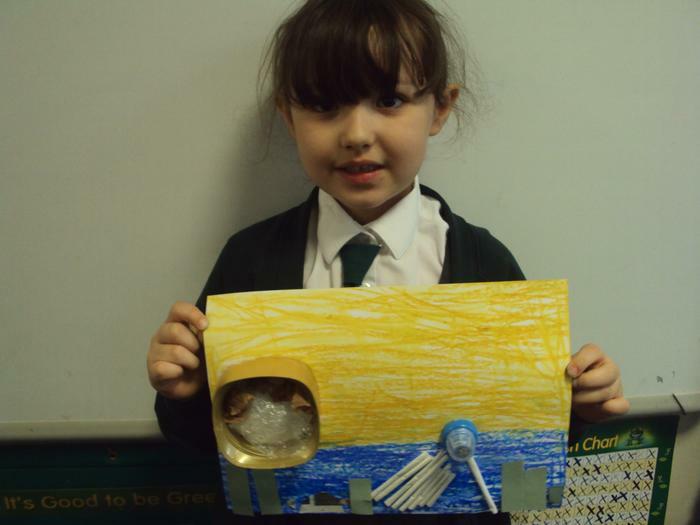 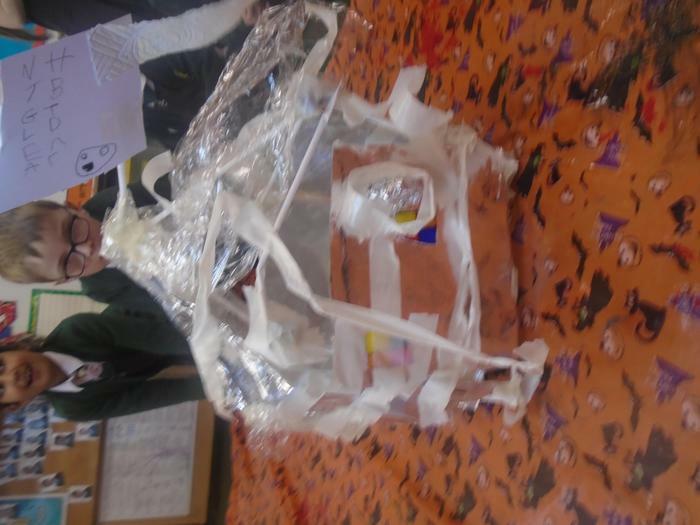 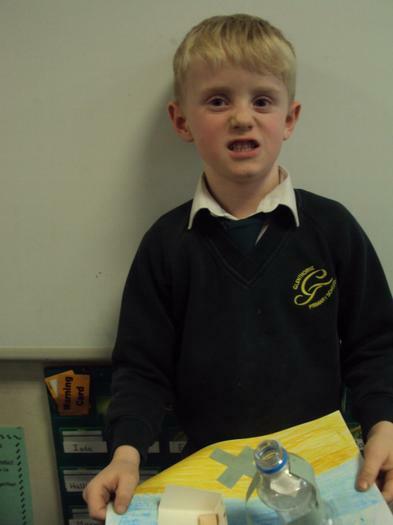 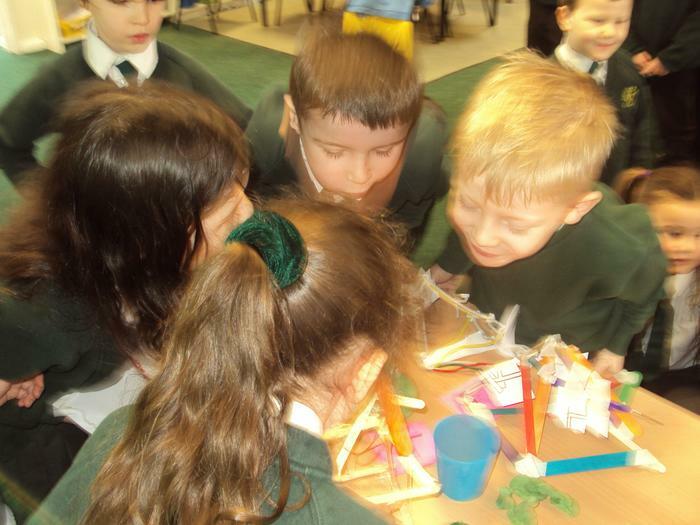 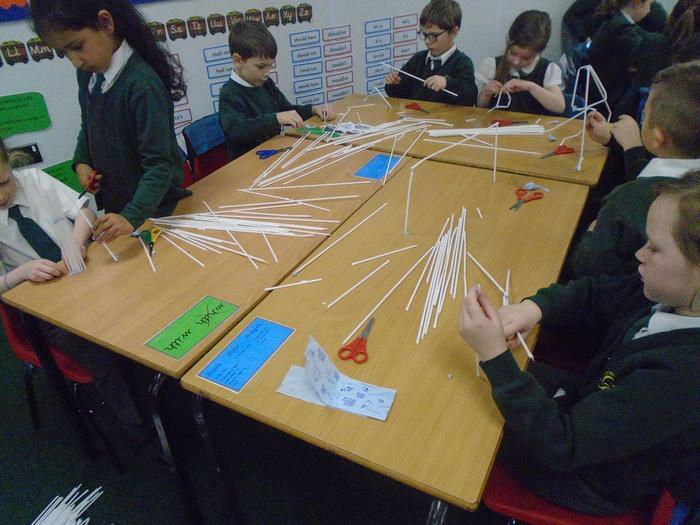 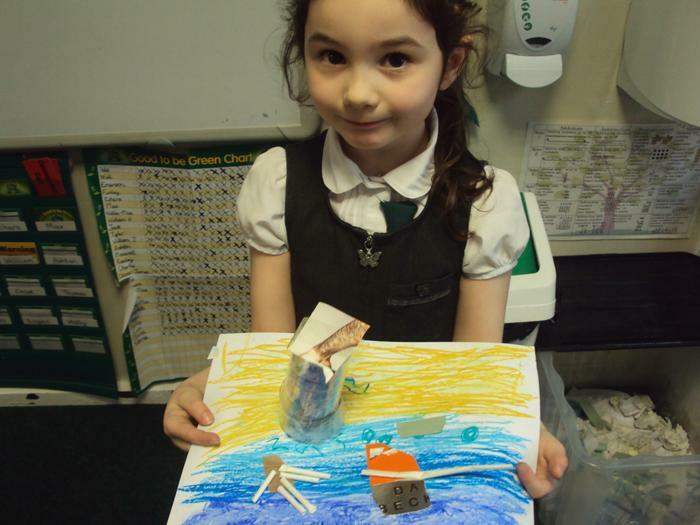 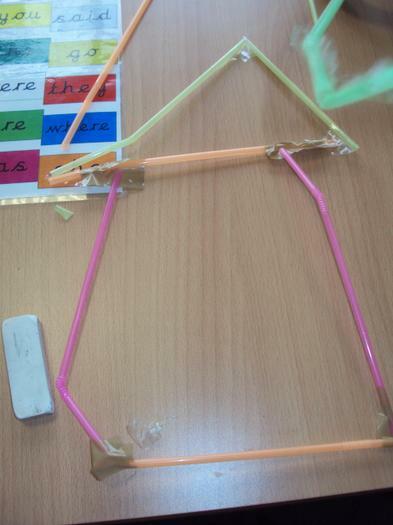 In Year 1 we helped the Three Little Pigs by designing and creating houses for their needs. 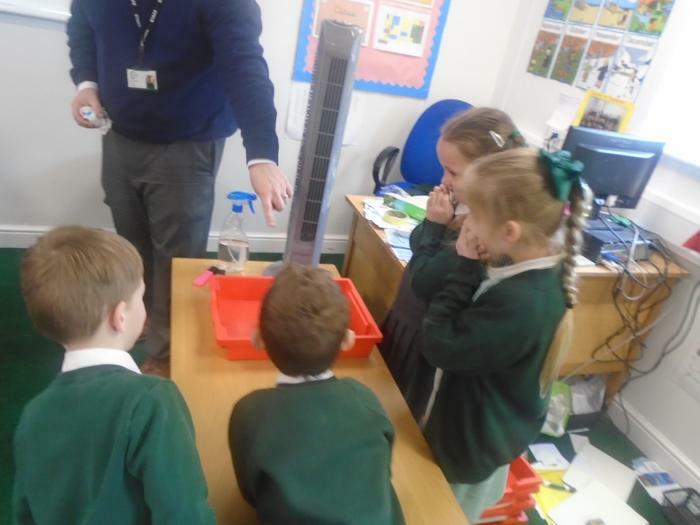 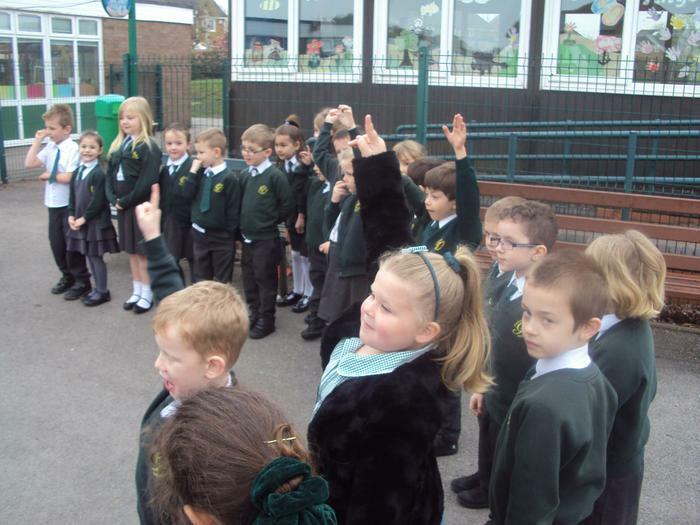 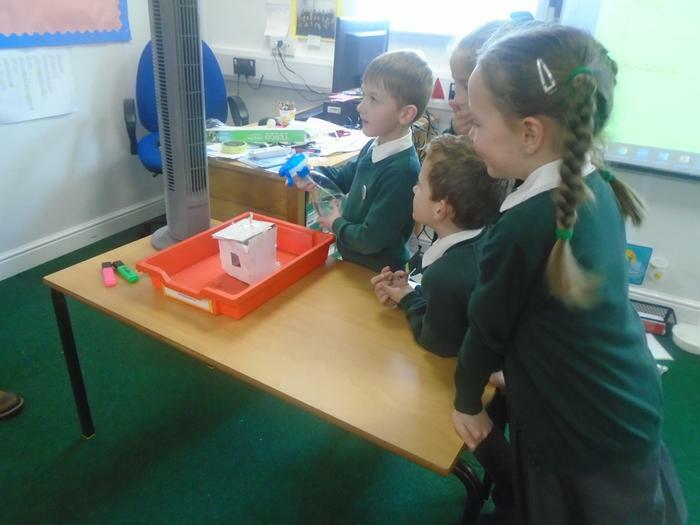 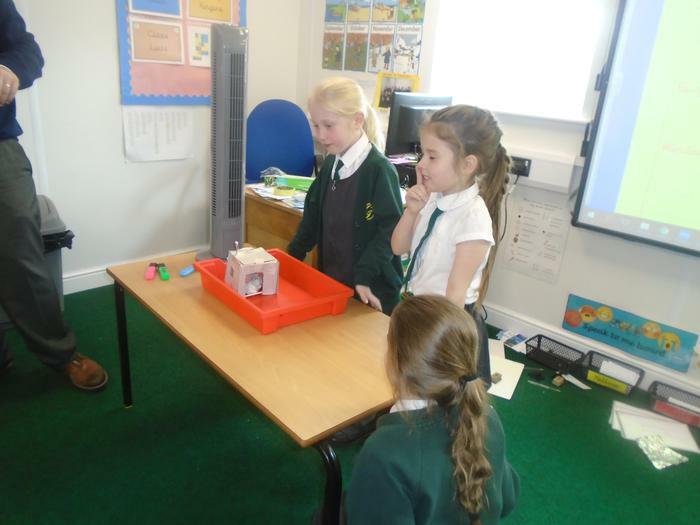 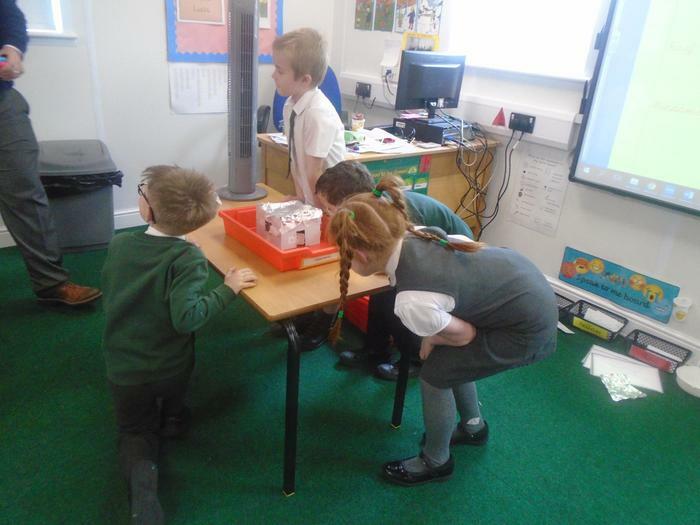 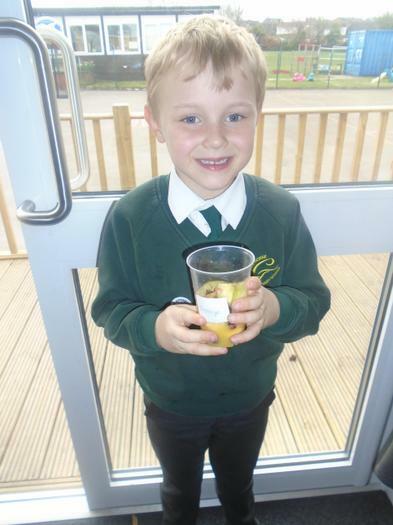 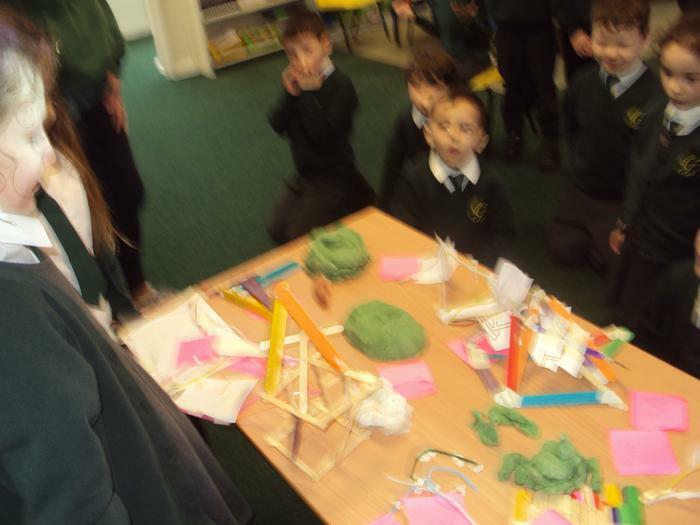 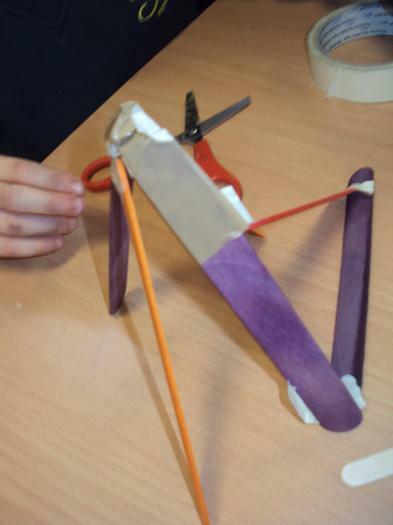 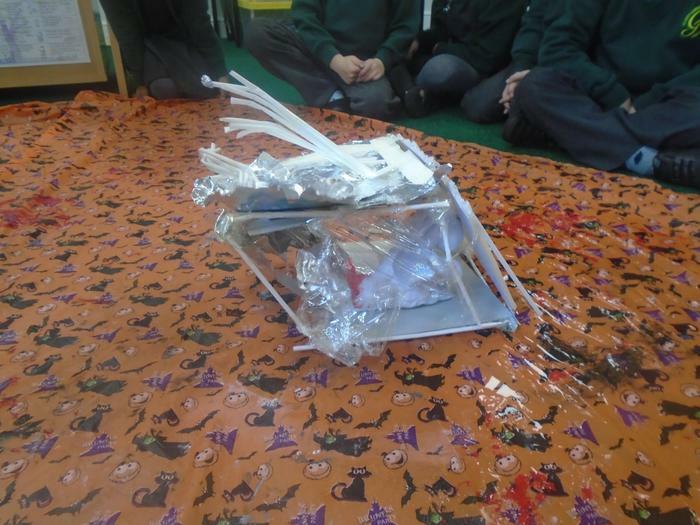 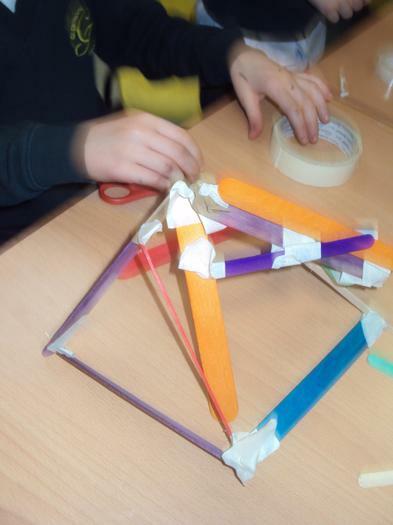 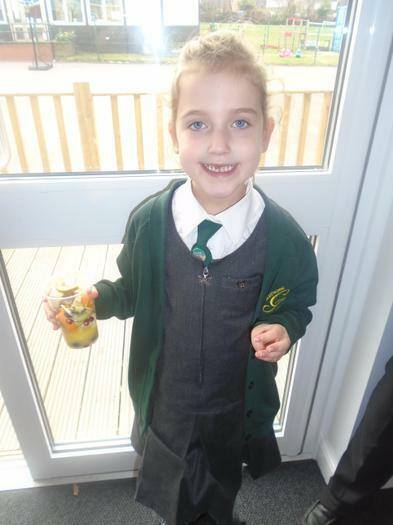 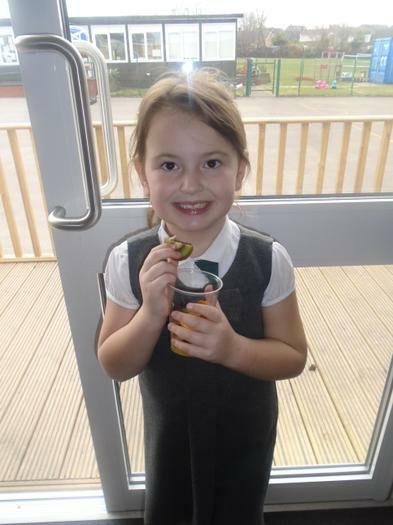 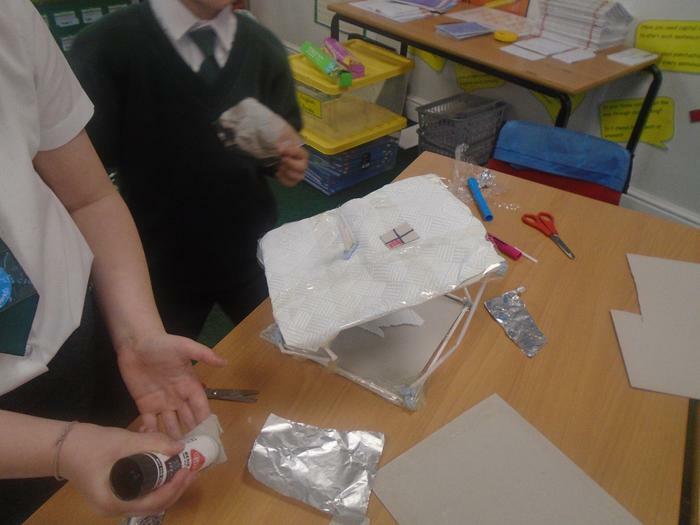 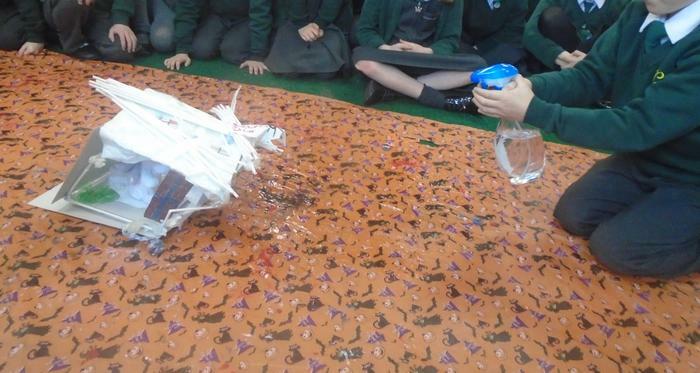 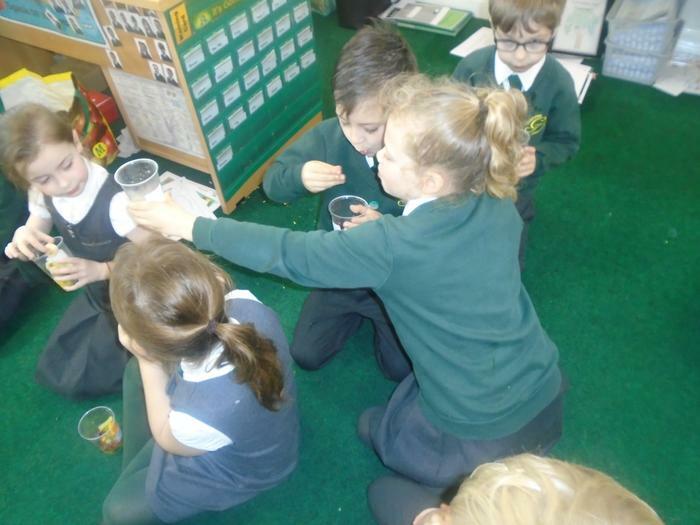 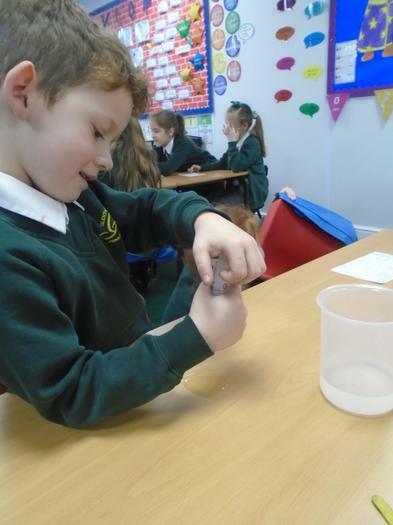 We tested our houses to see if they were waterproof, strong and safe. 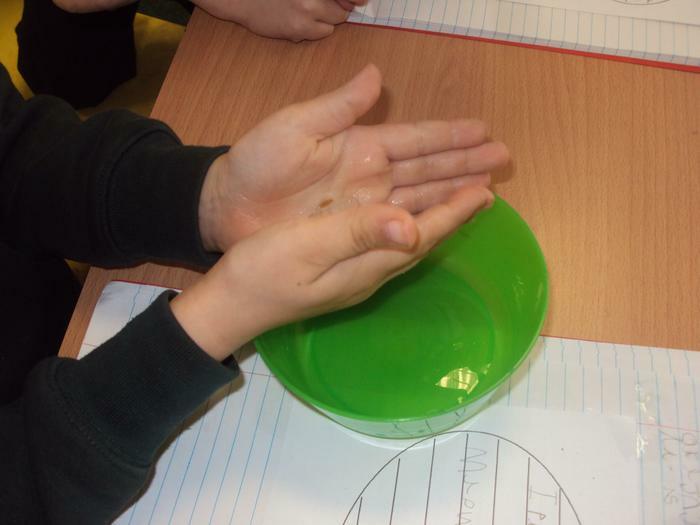 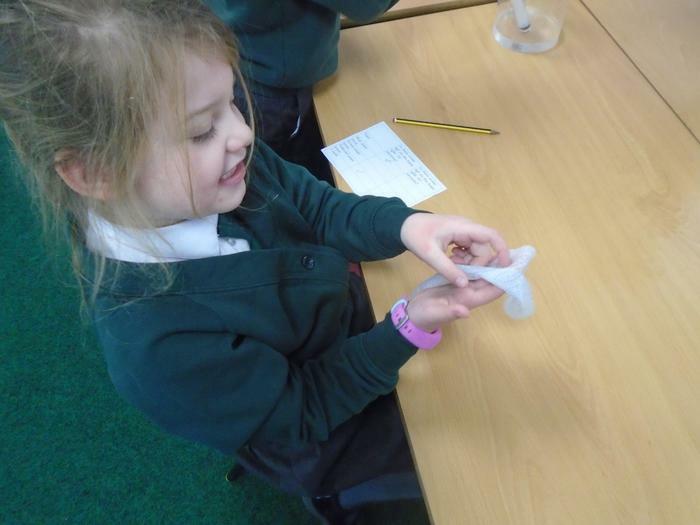 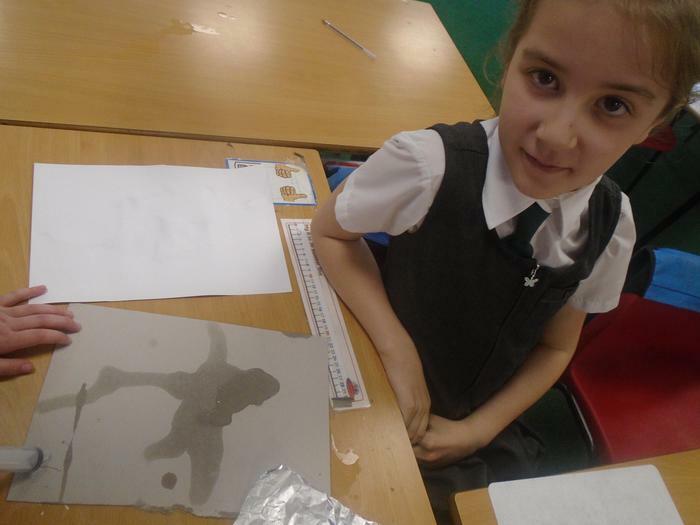 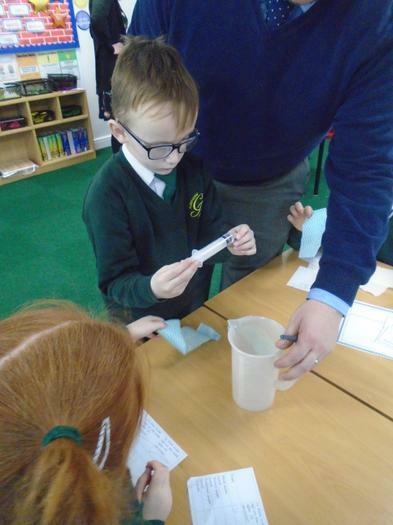 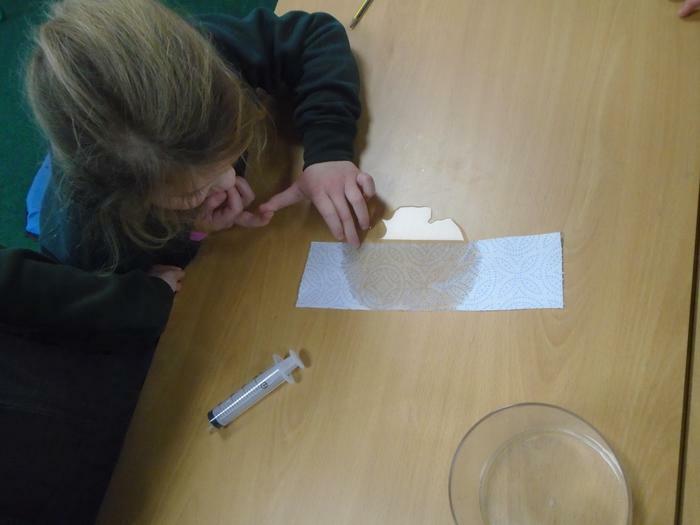 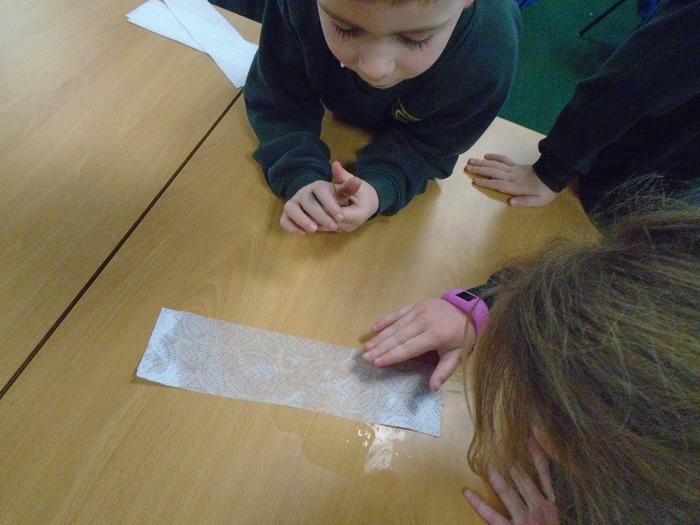 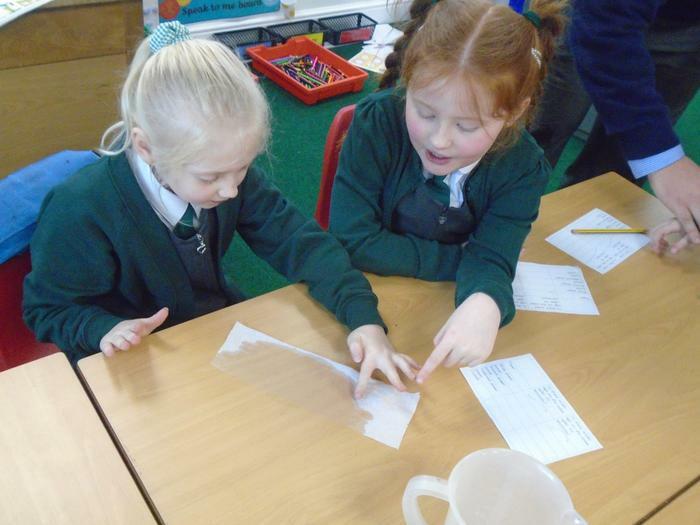 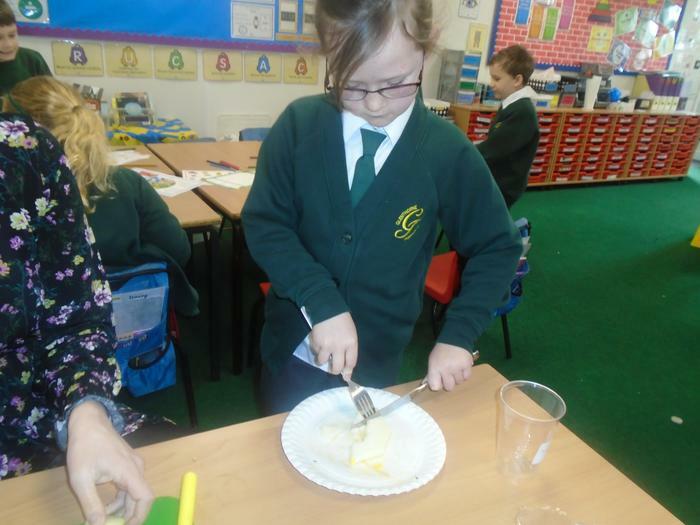 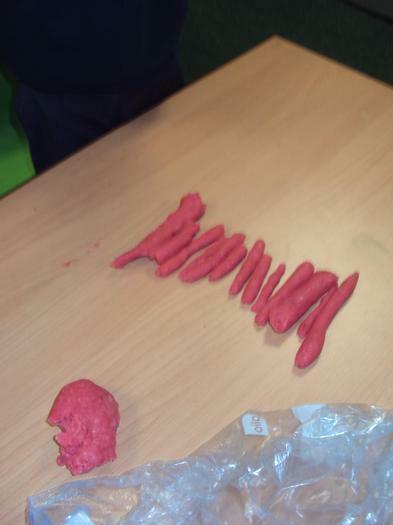 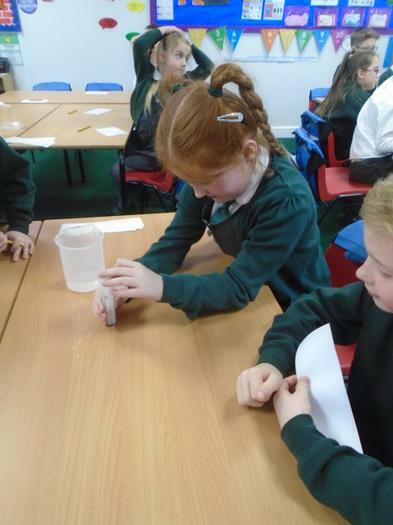 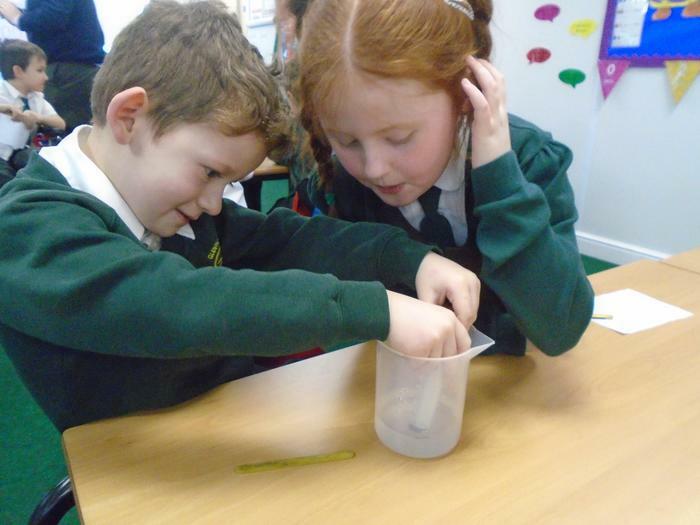 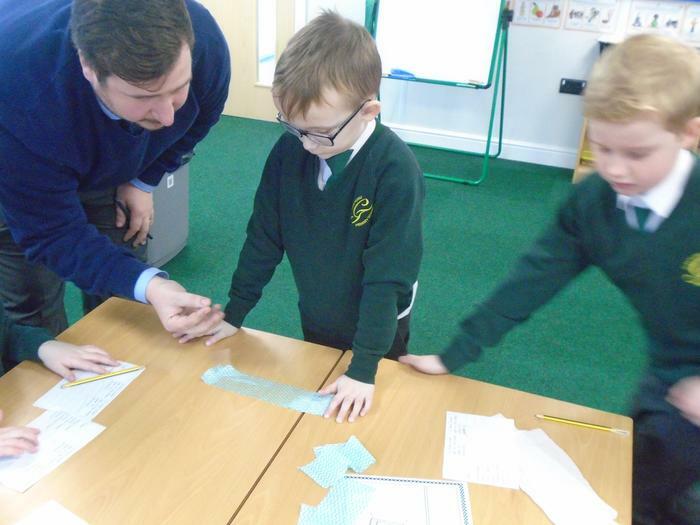 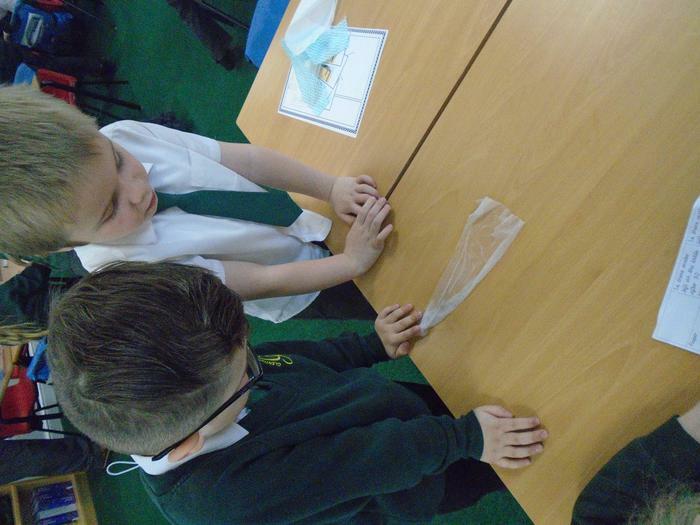 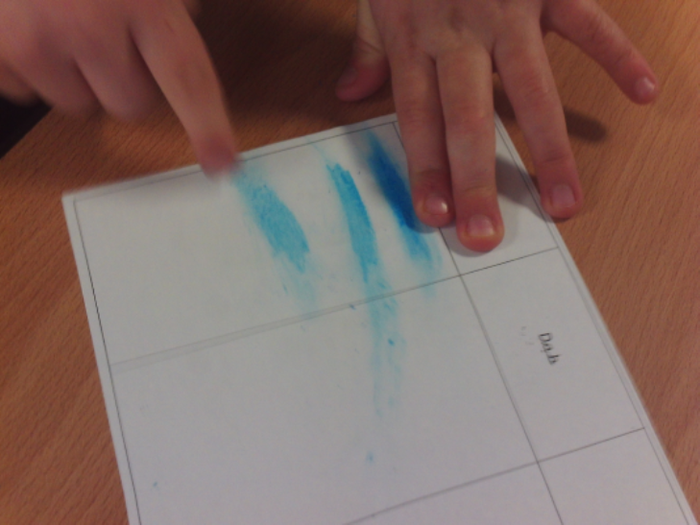 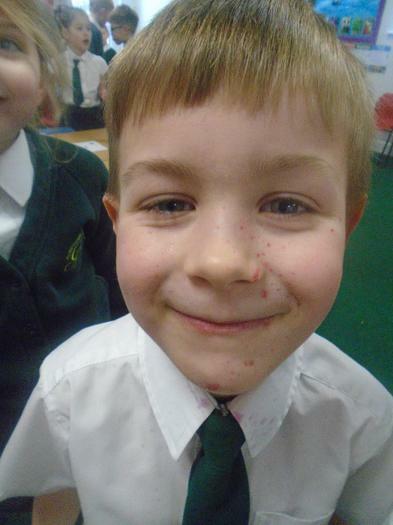 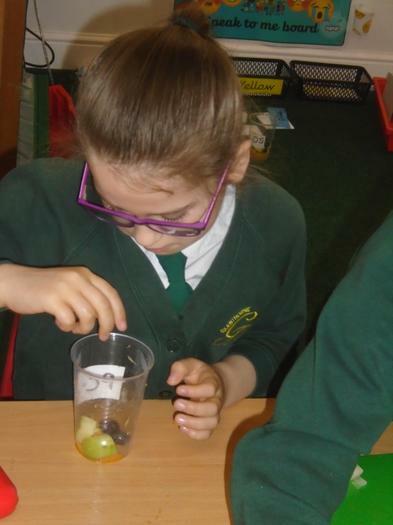 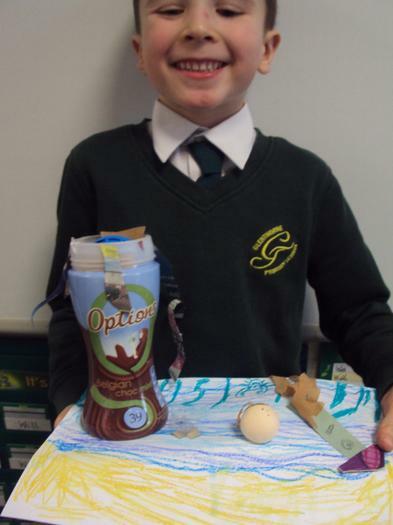 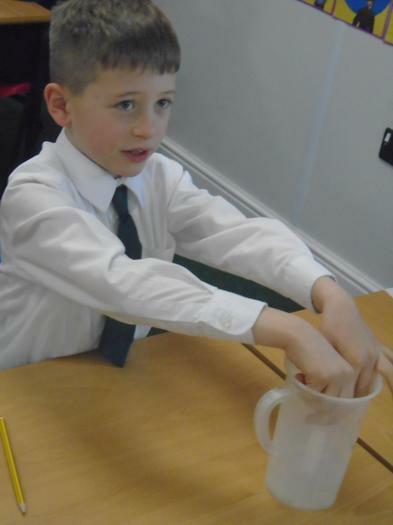 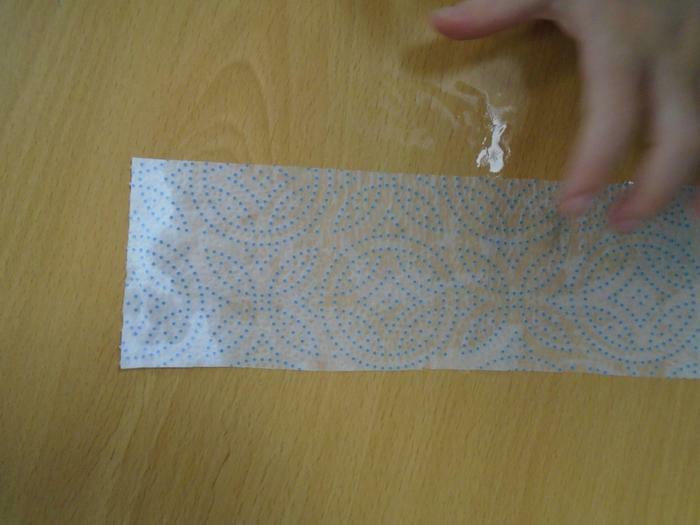 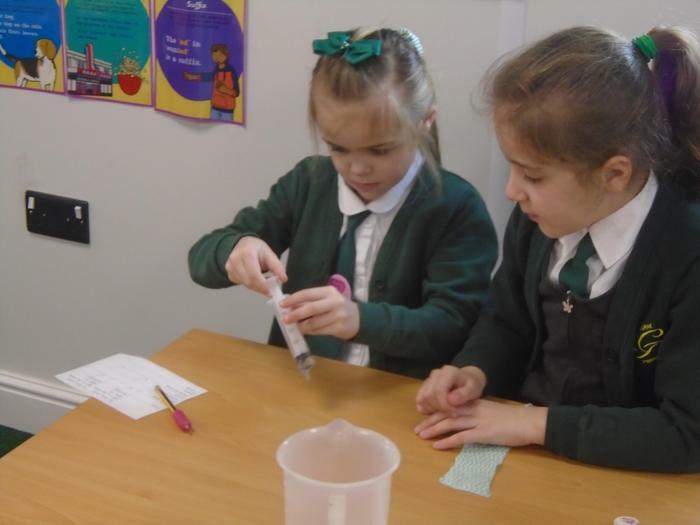 In Year 2 we tested how absorbent different materials are in a fair test and explored the properties of materials. 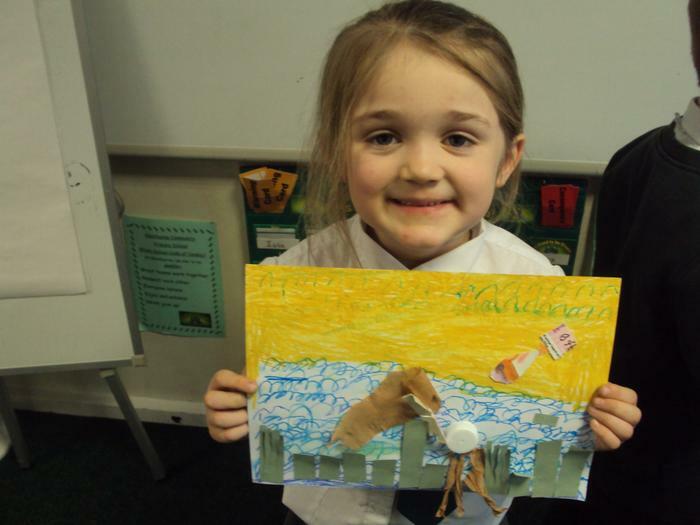 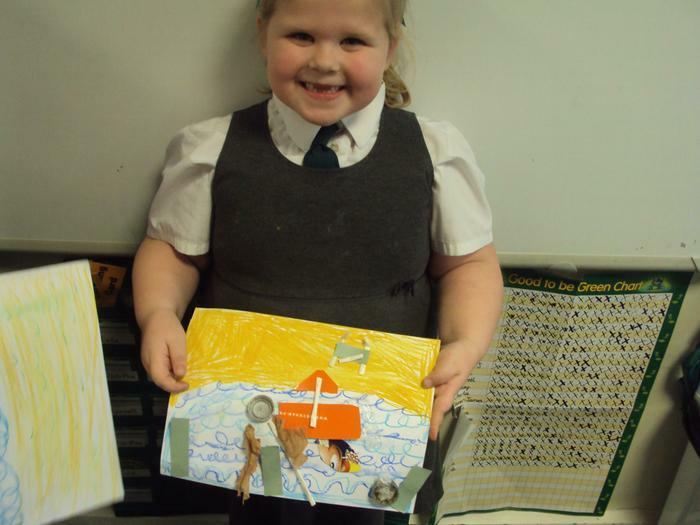 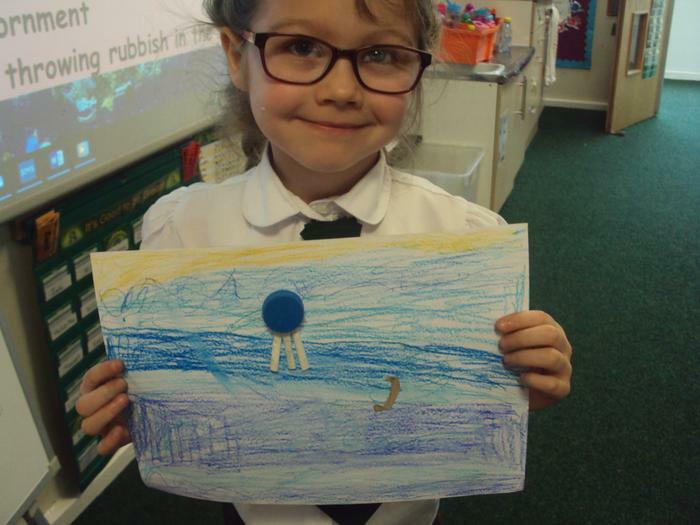 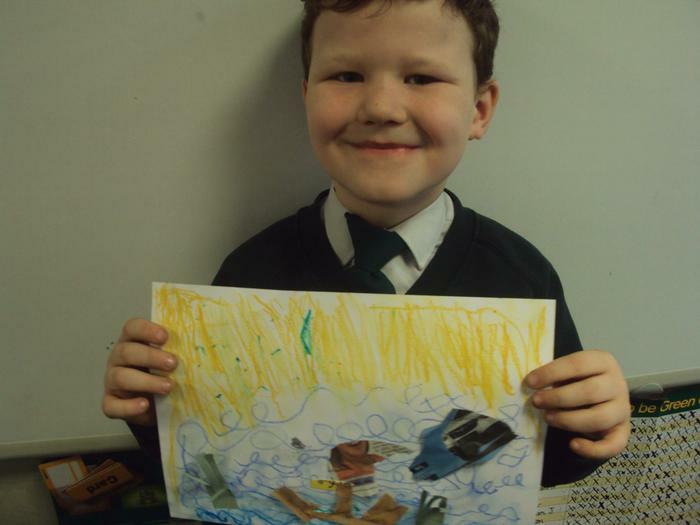 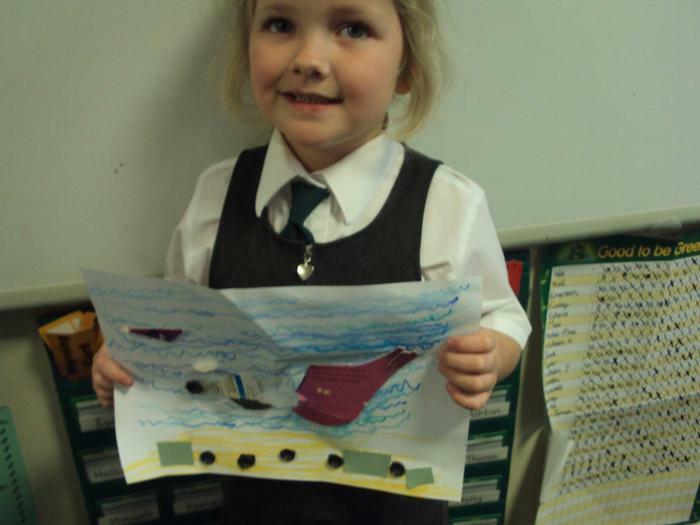 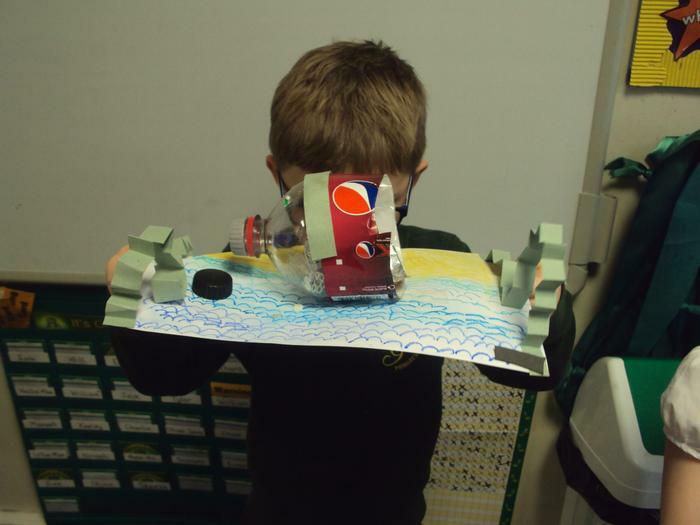 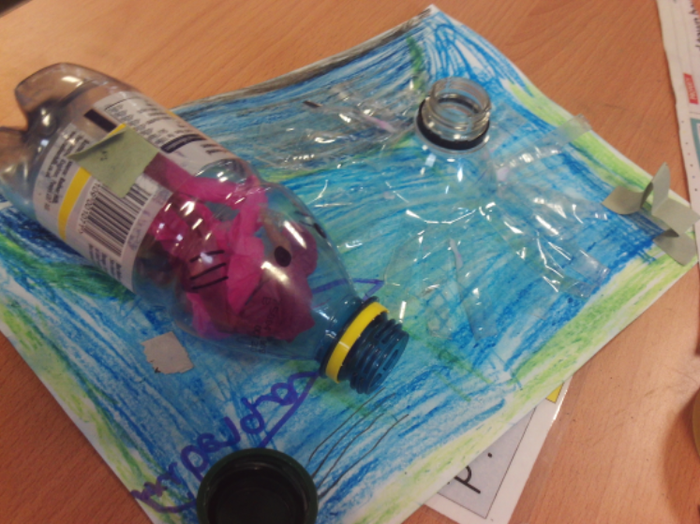 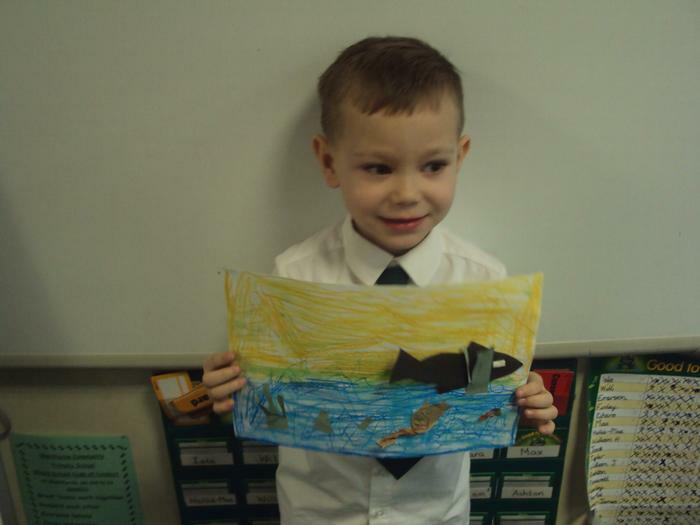 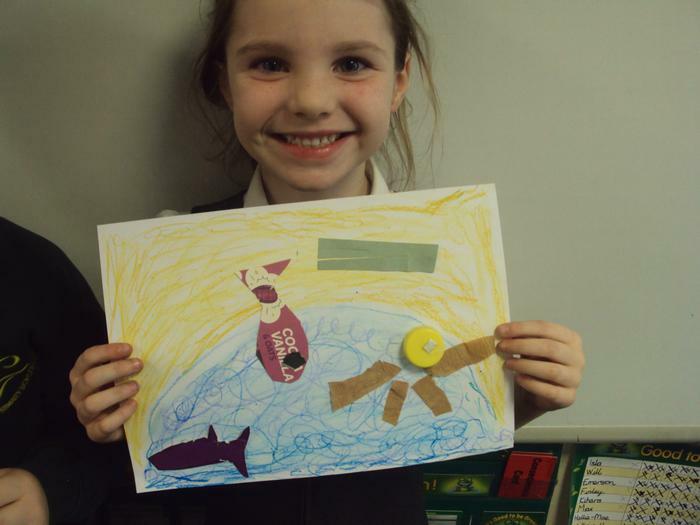 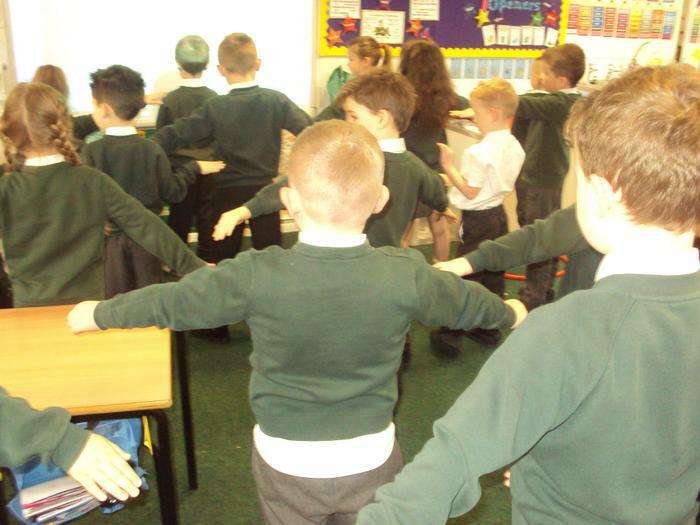 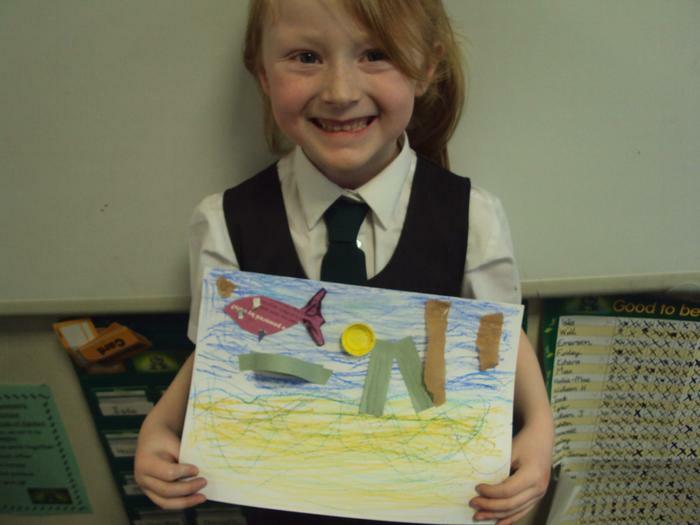 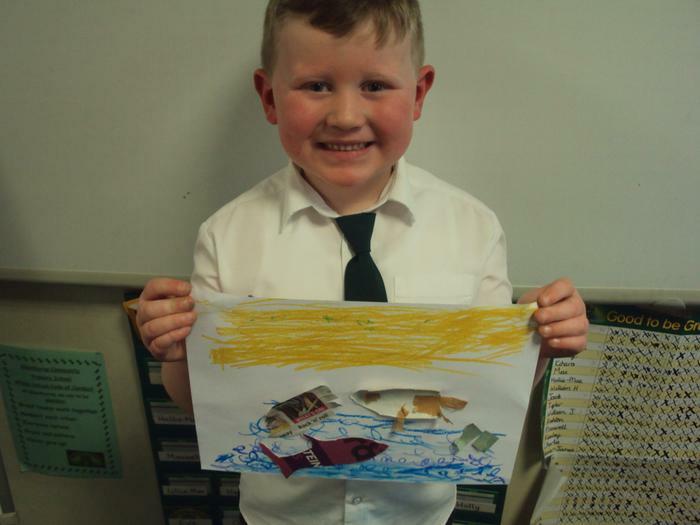 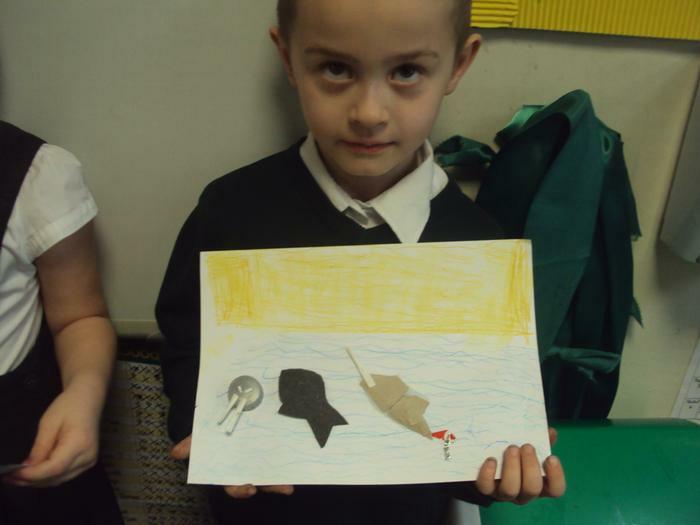 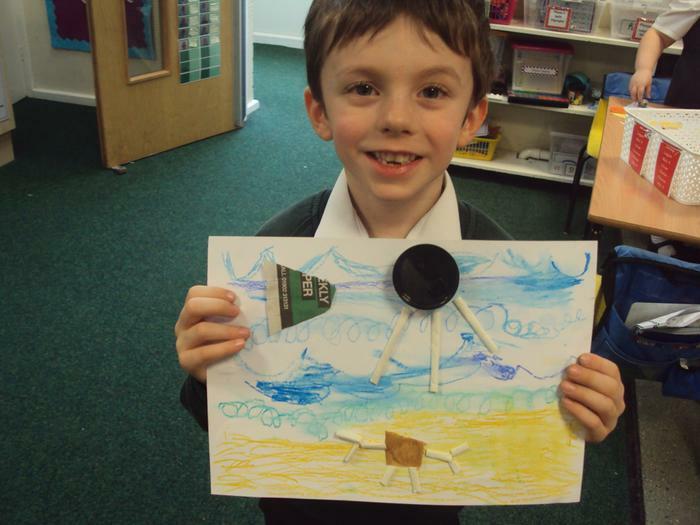 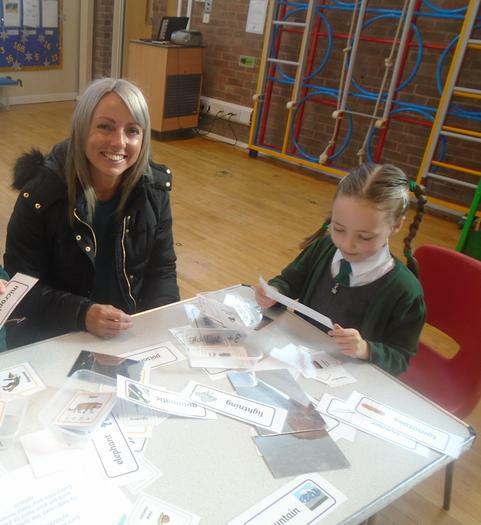 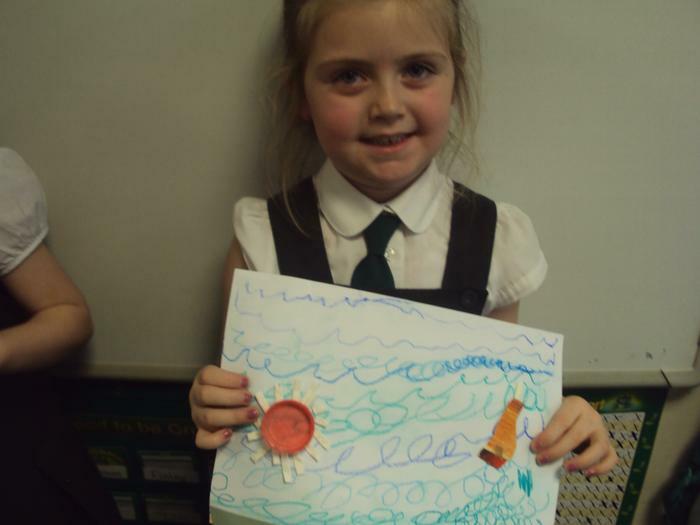 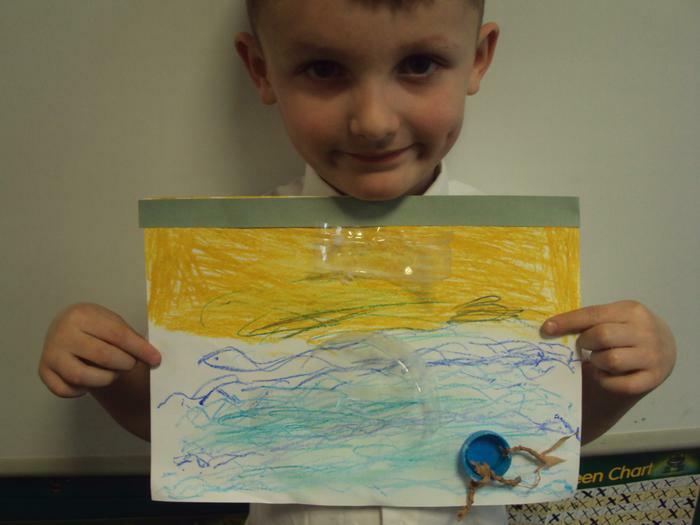 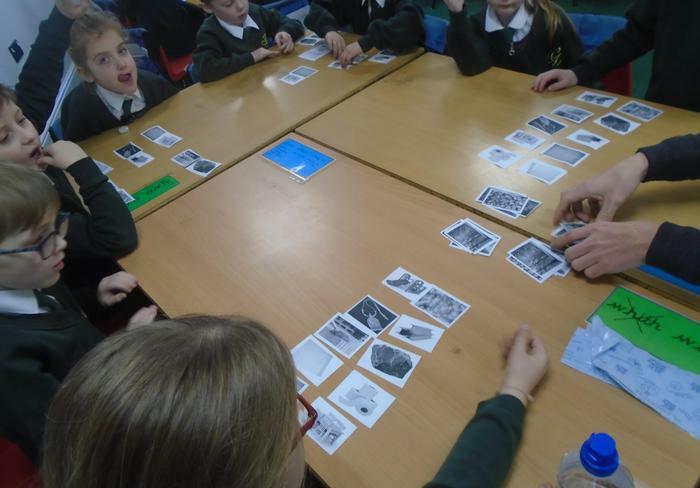 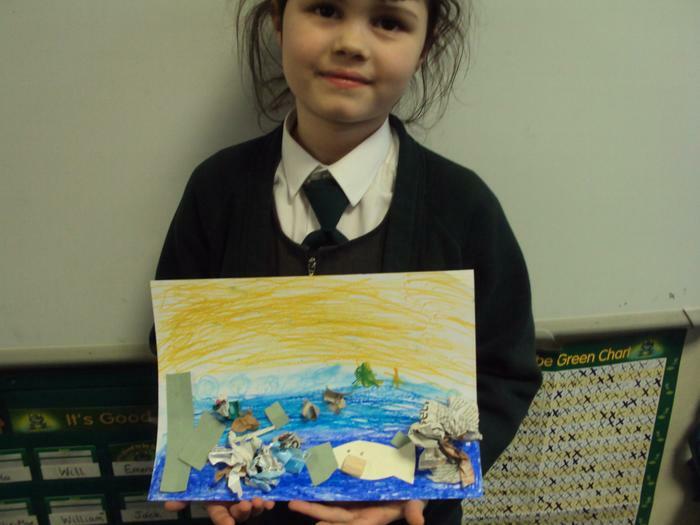 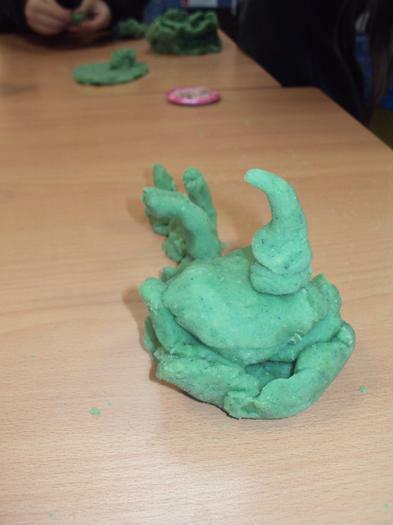 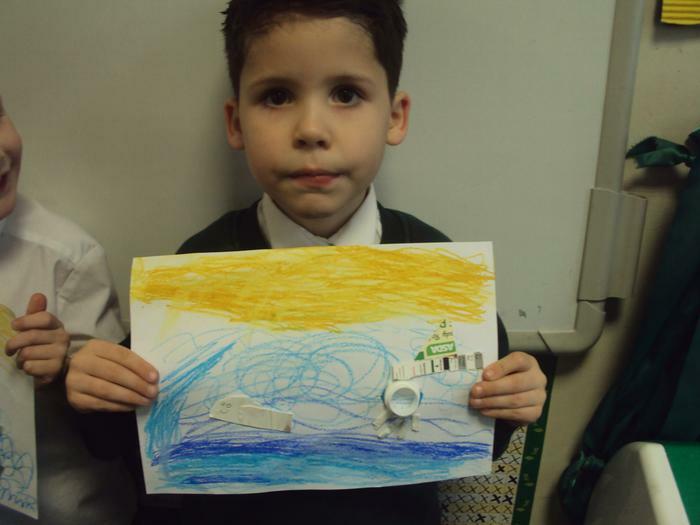 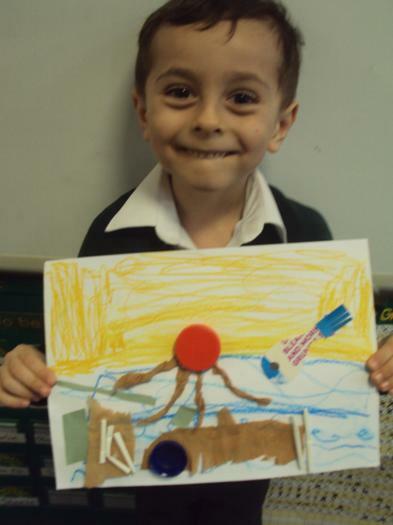 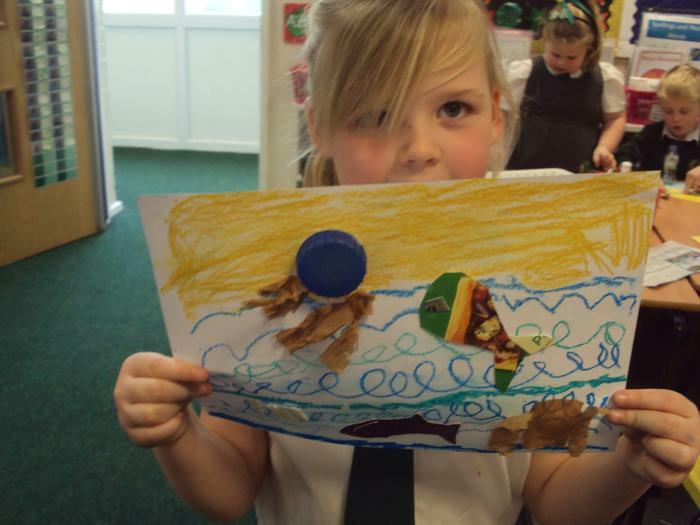 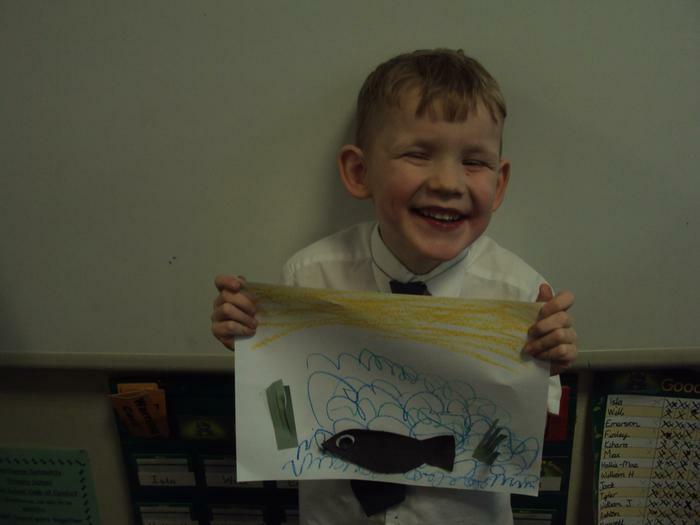 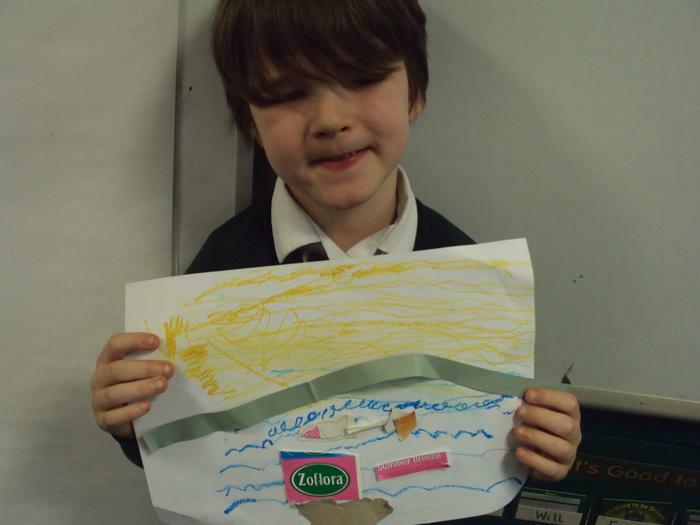 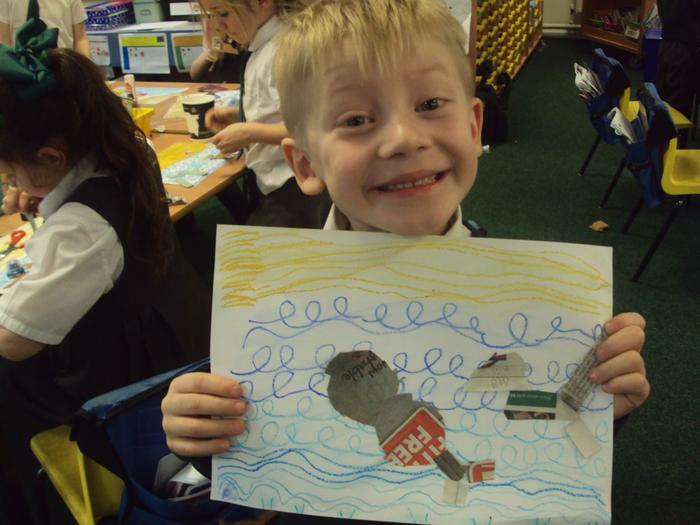 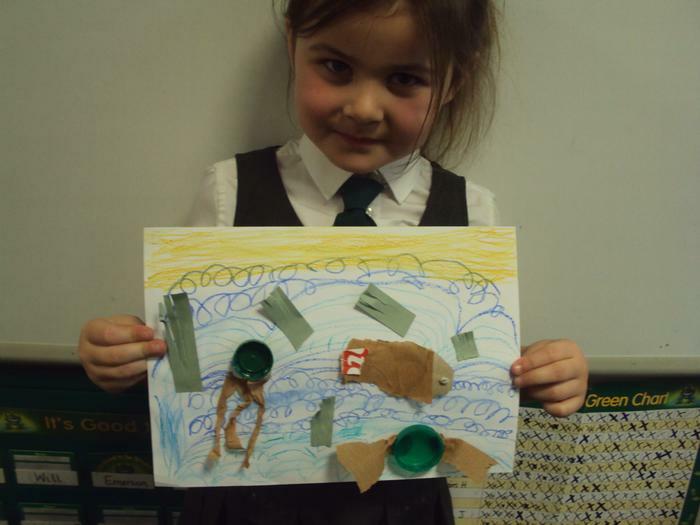 During our topic lessons we have been exploring the world's oceans.